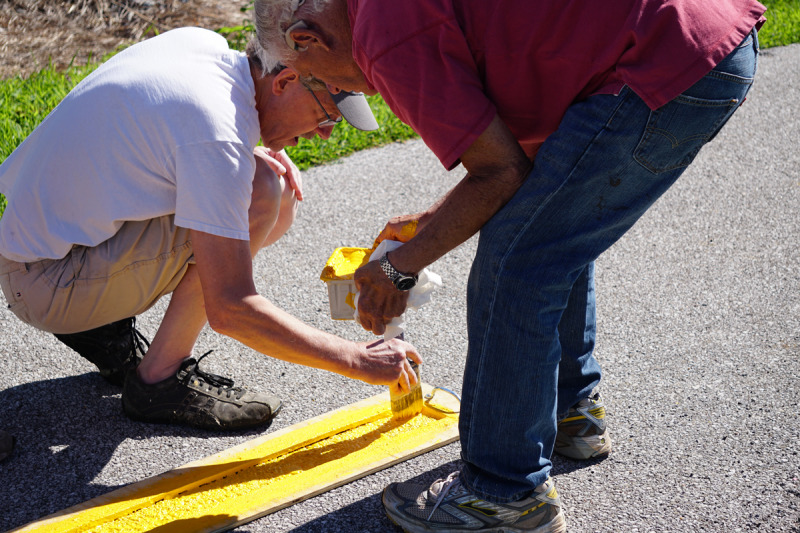 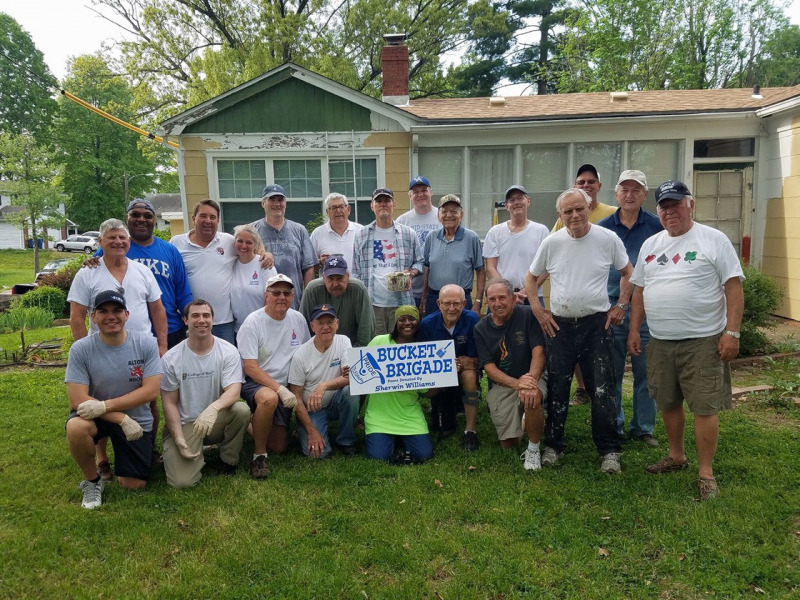 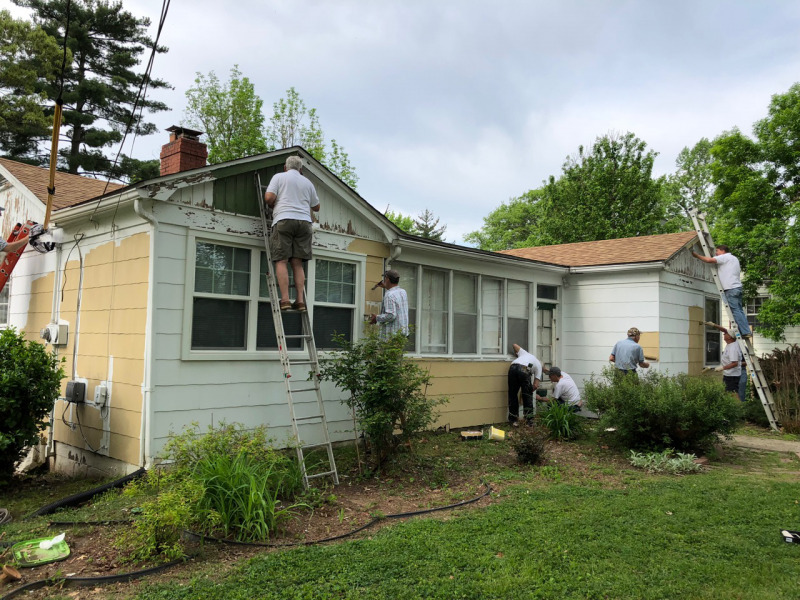 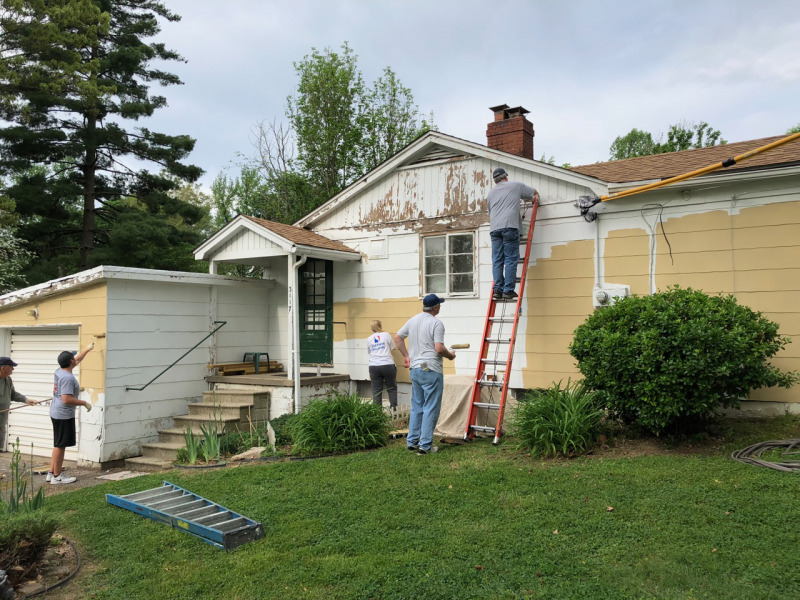 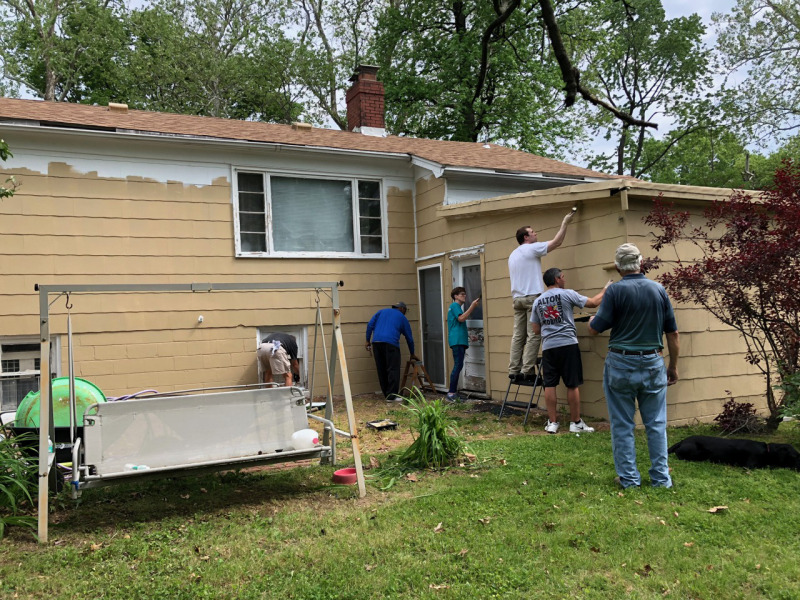 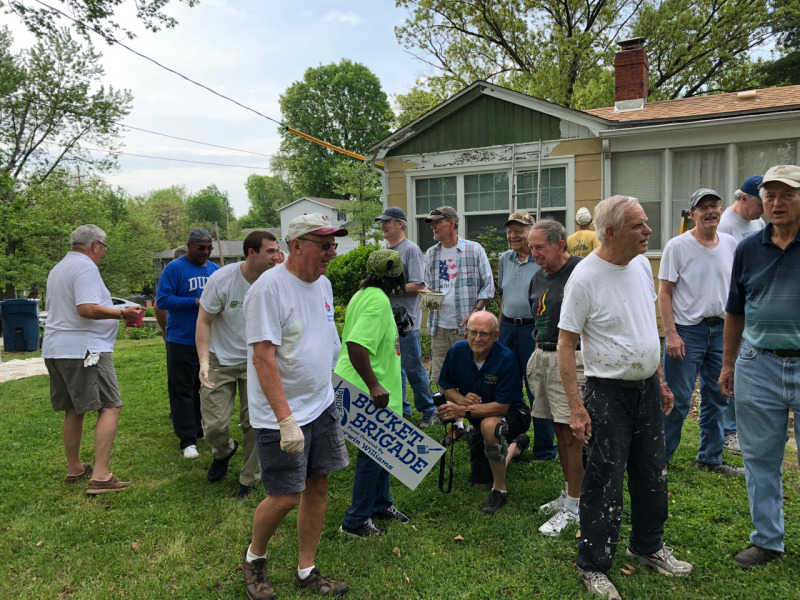 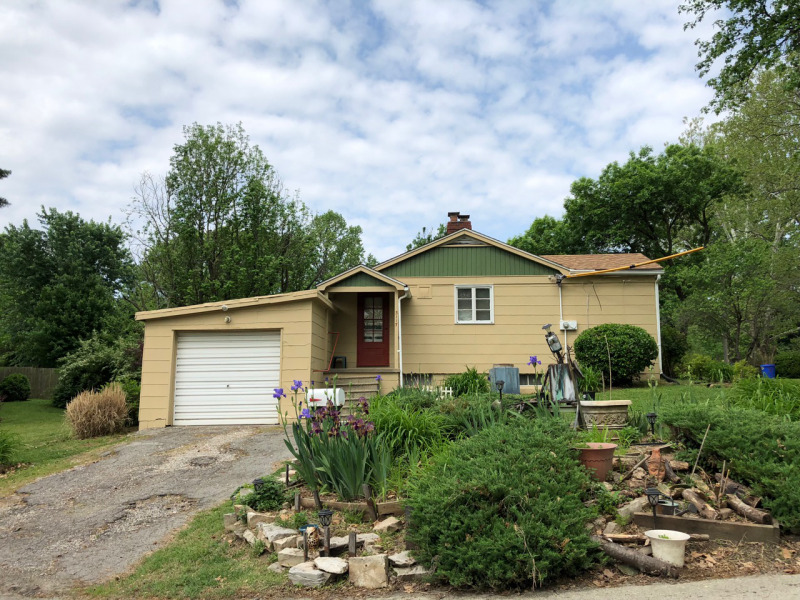 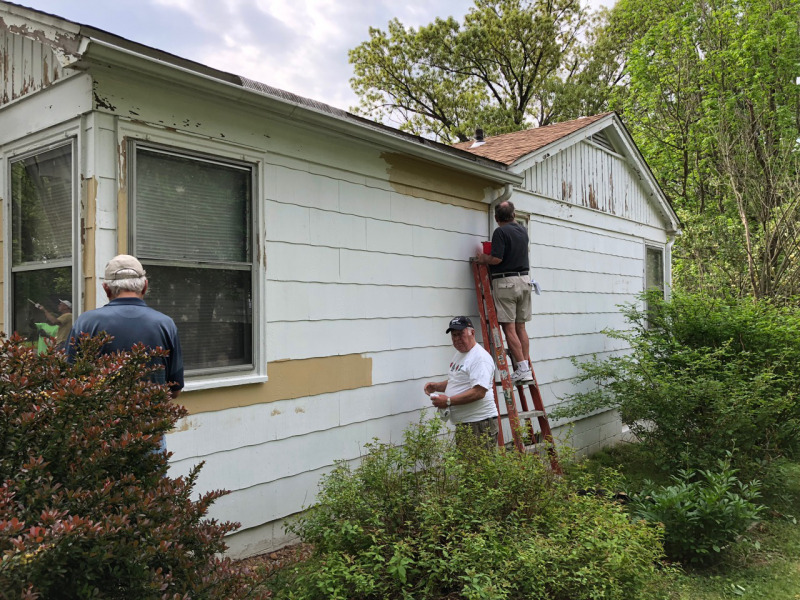 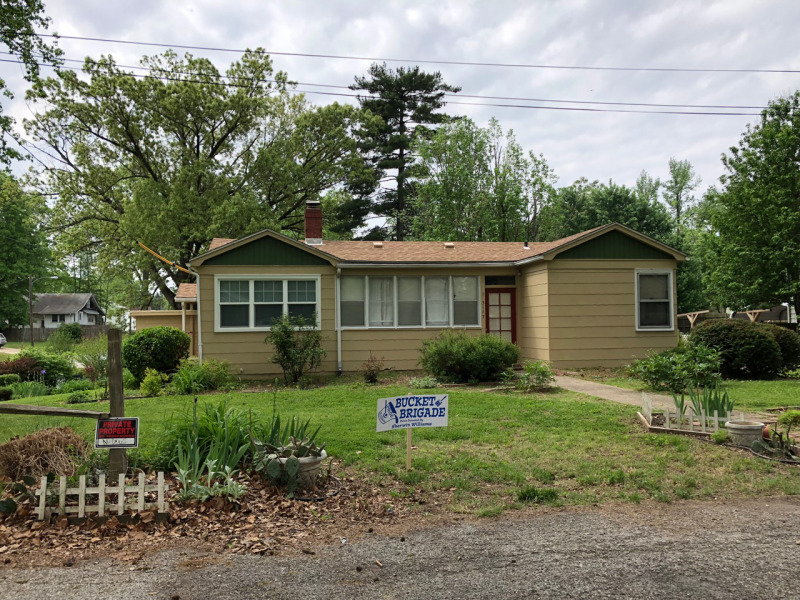 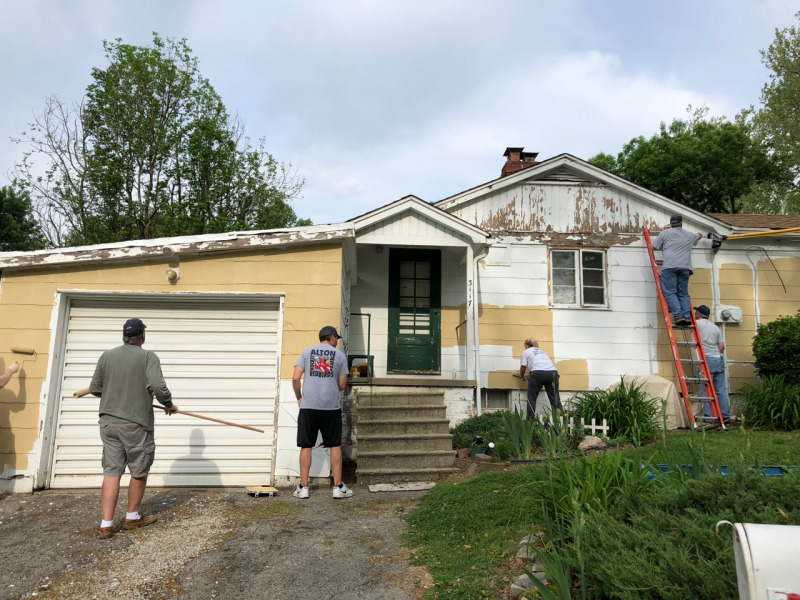 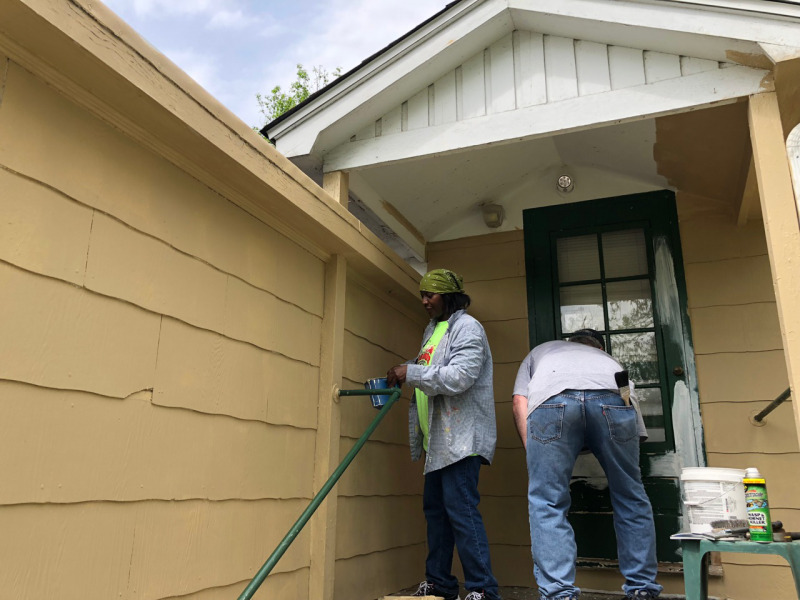 On Saturday, May 12, 2018, 20 members of the Rotary Club of Alton-Godfrey gathered at 3117 Ray Street in Alton to paint the house as part of this year's Bucket Brigade. 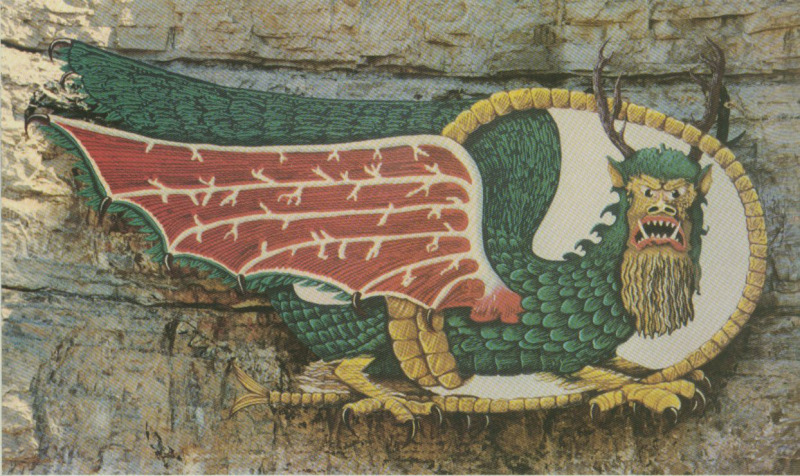 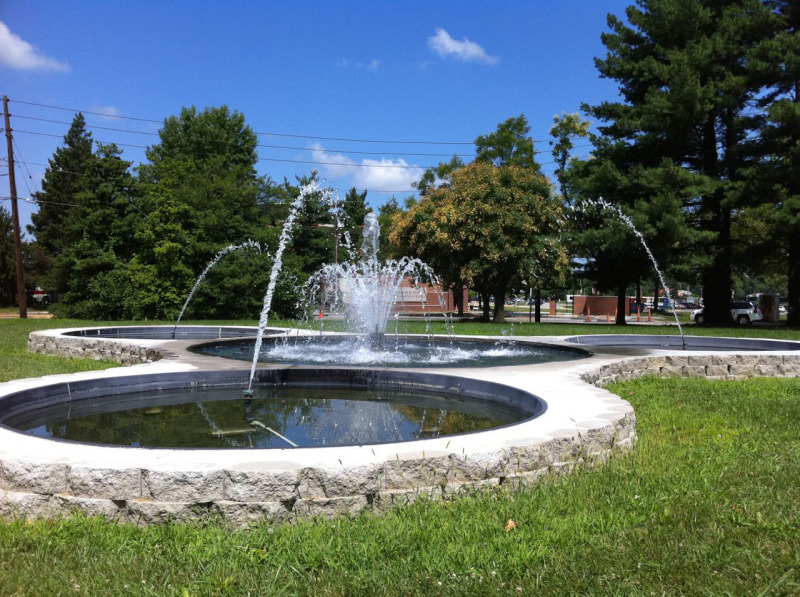 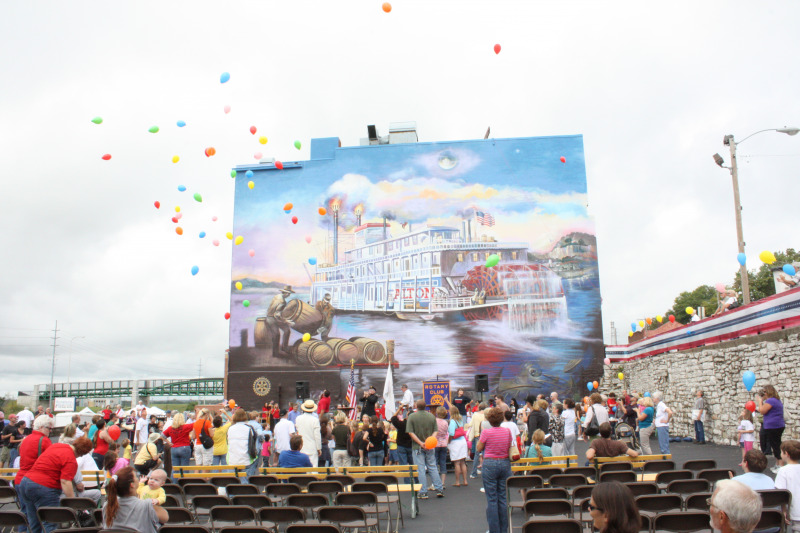 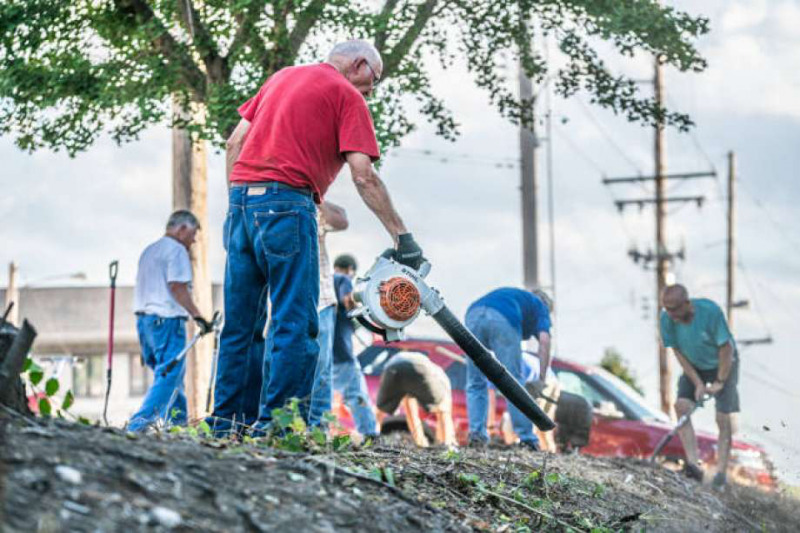 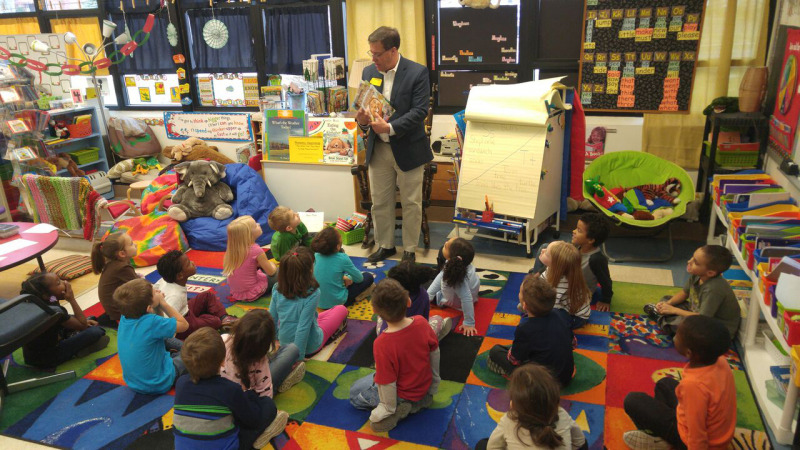 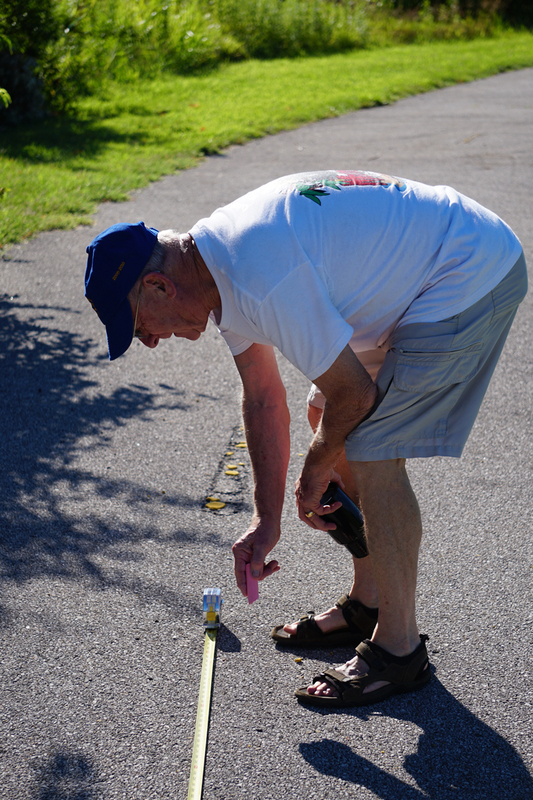 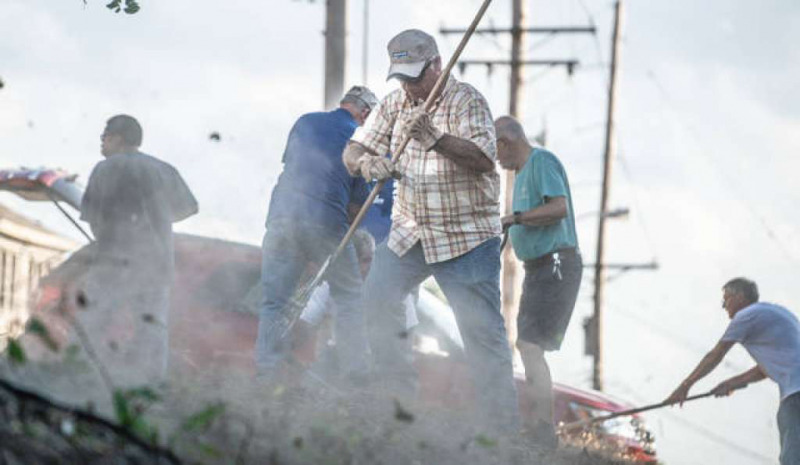 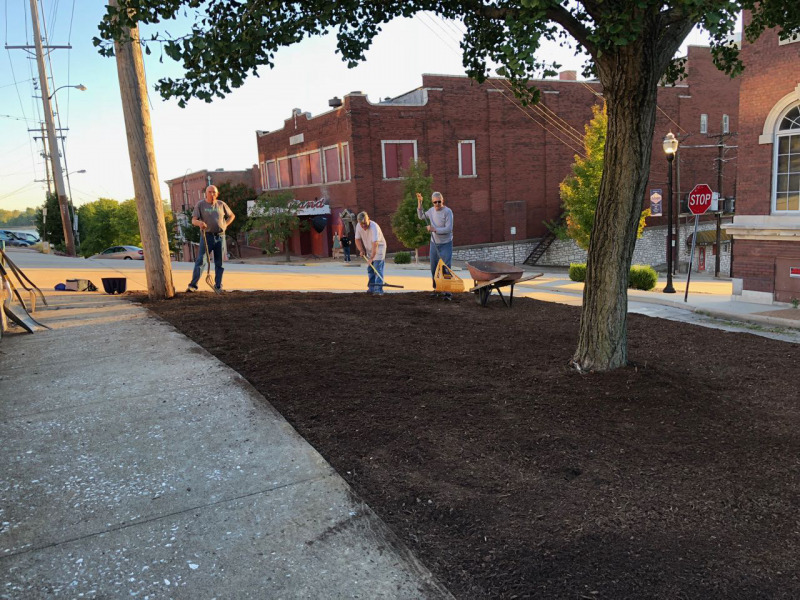 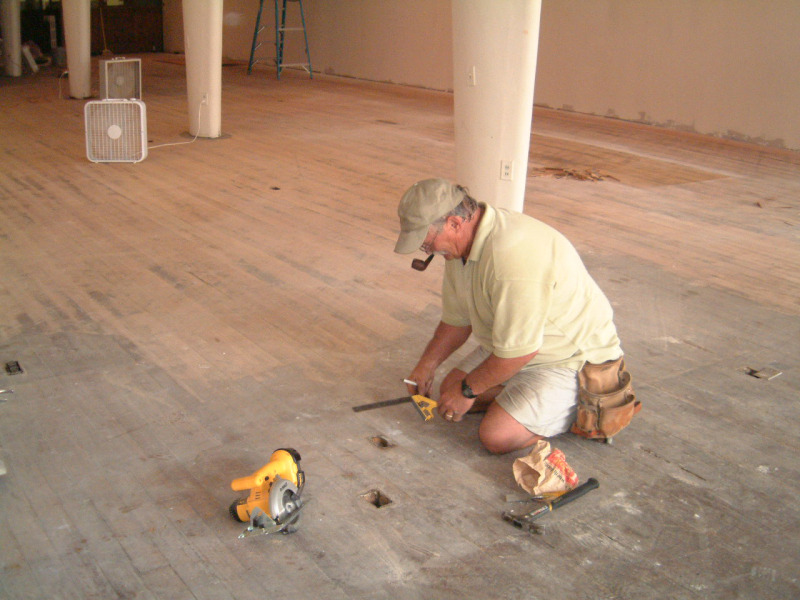 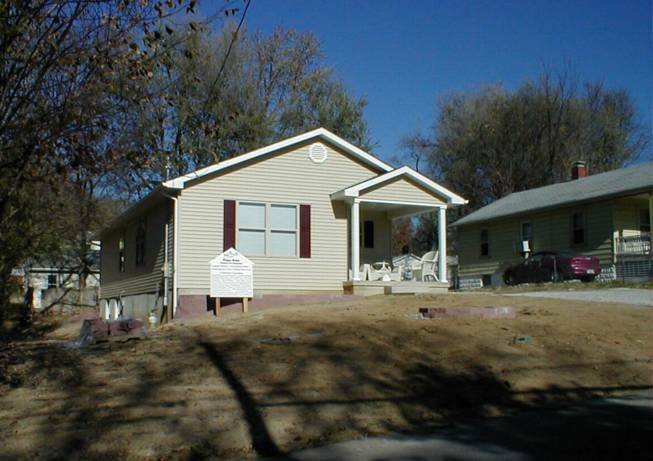 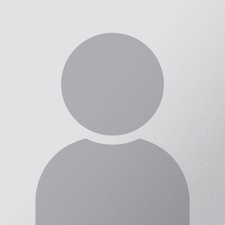 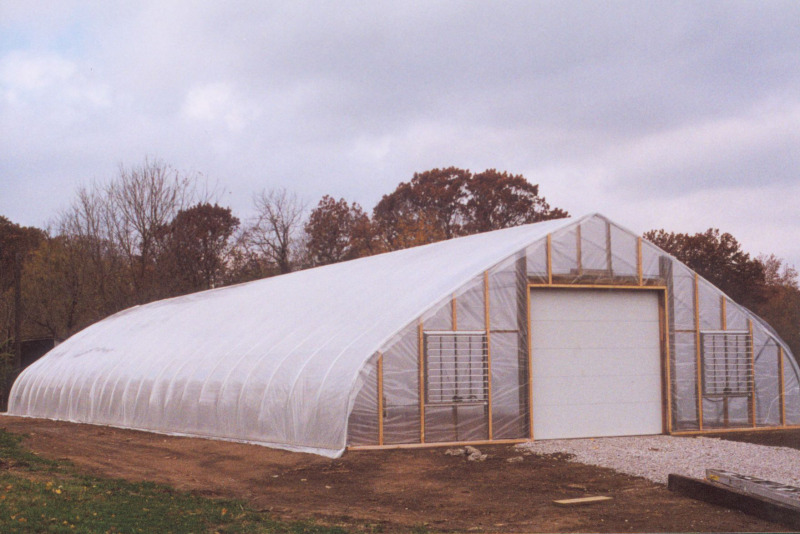 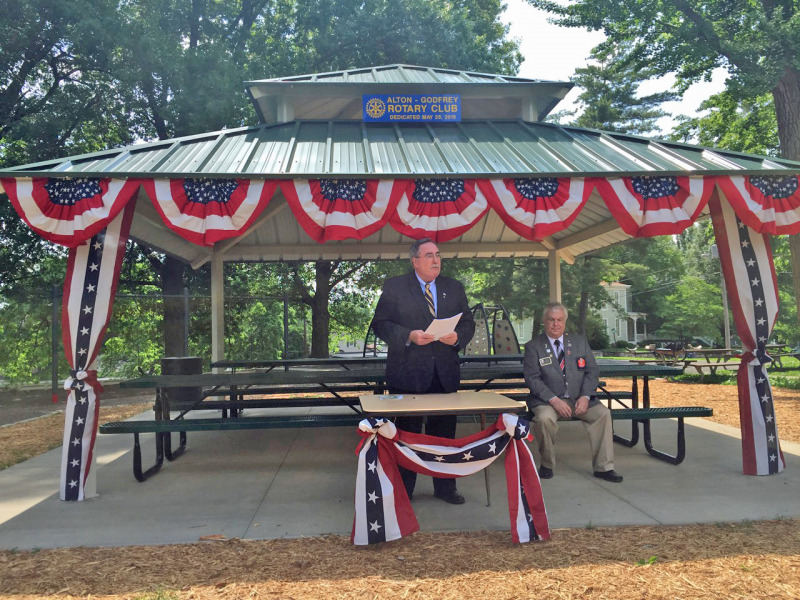 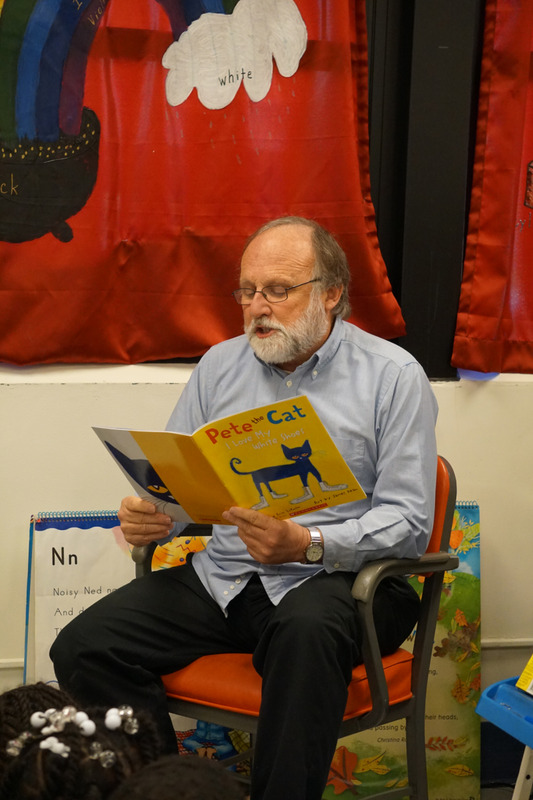 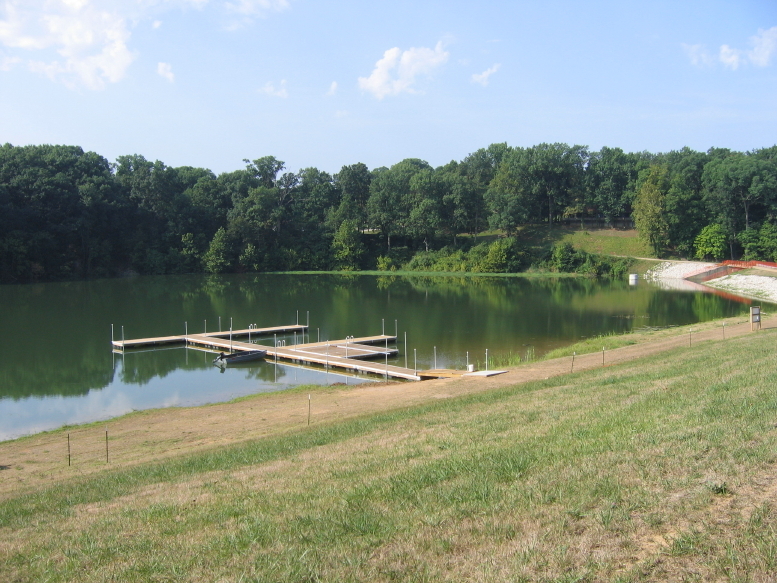 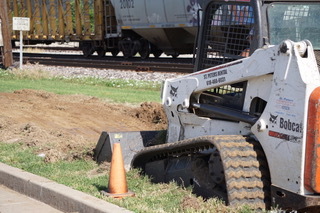 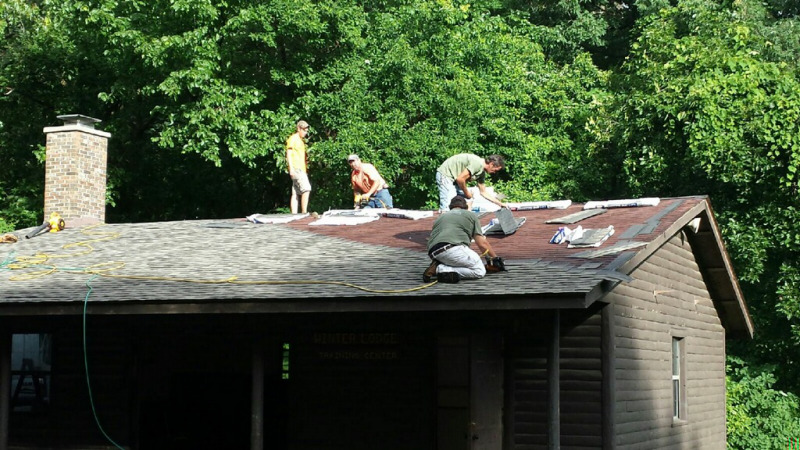 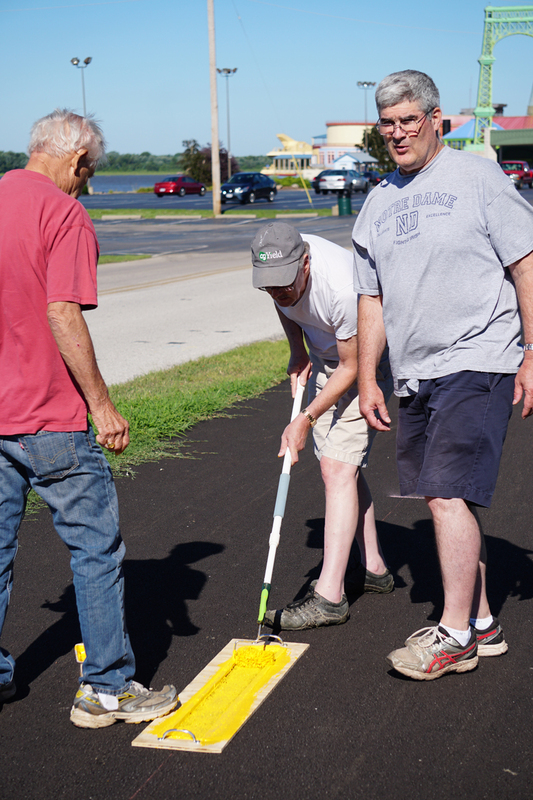 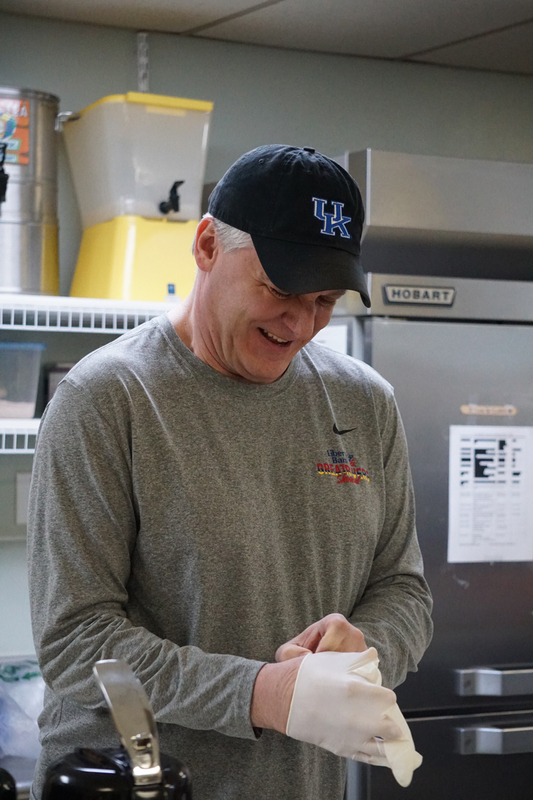 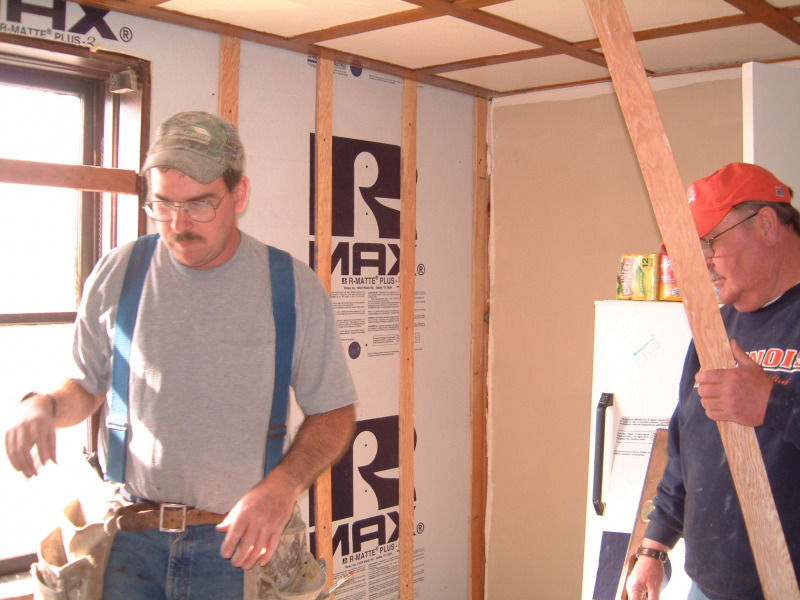 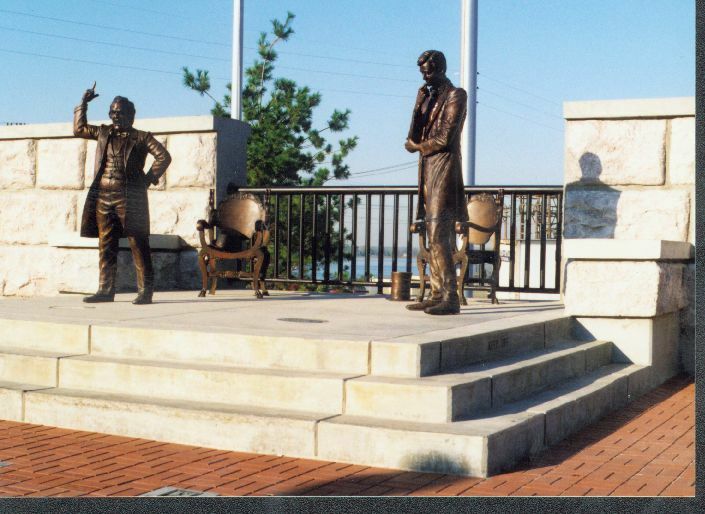 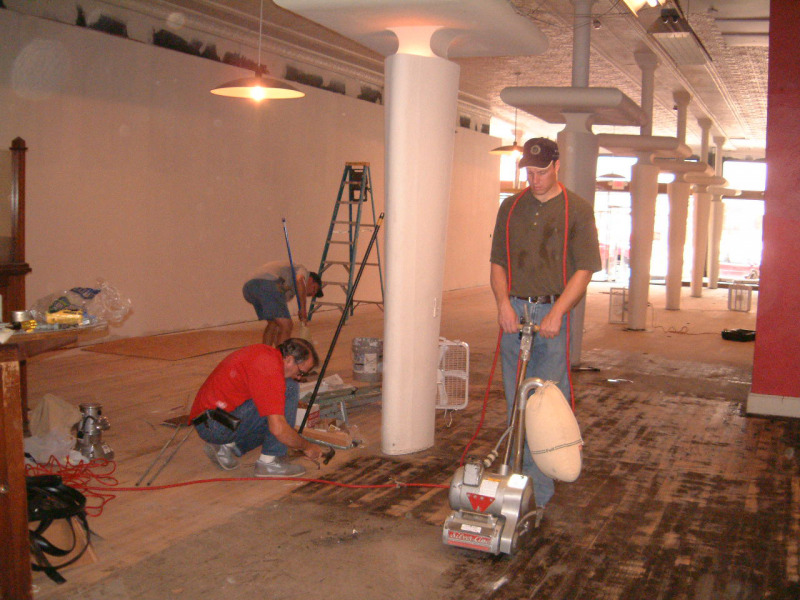 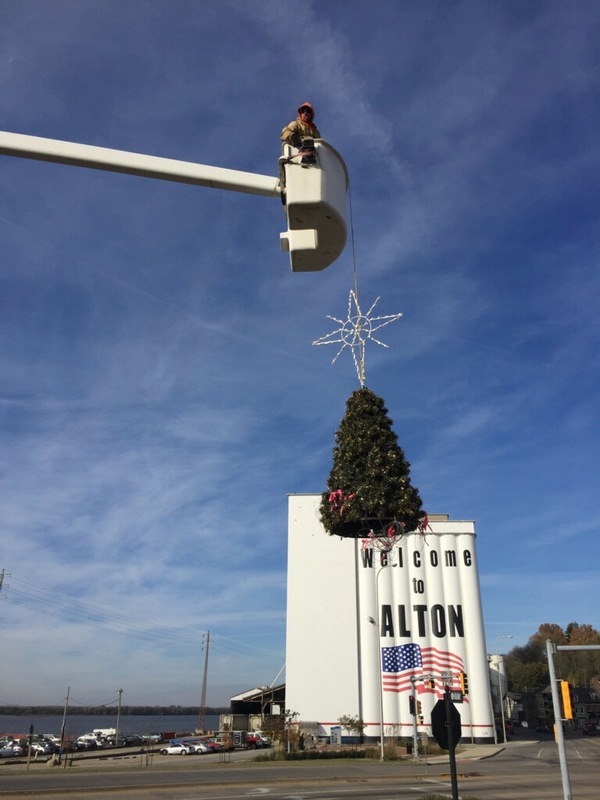 These are photos of projects conducted in the Alton and Godfrey communities. 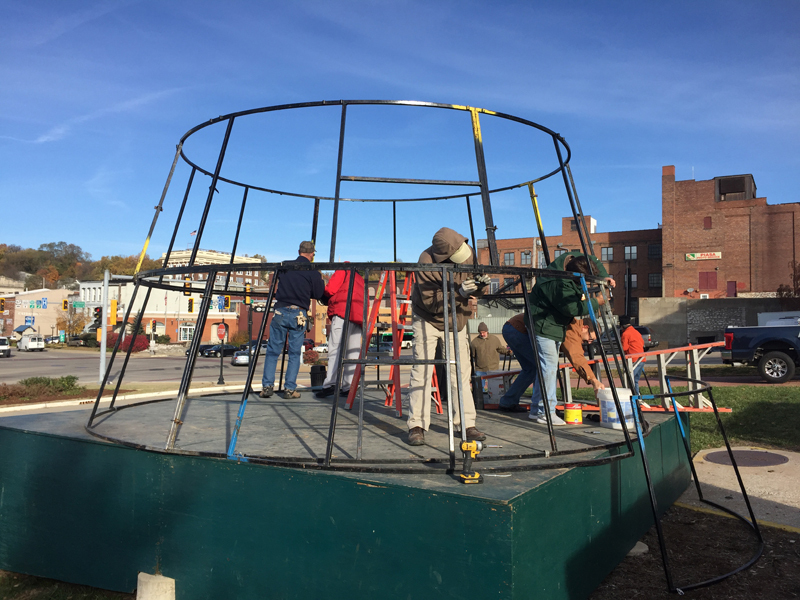 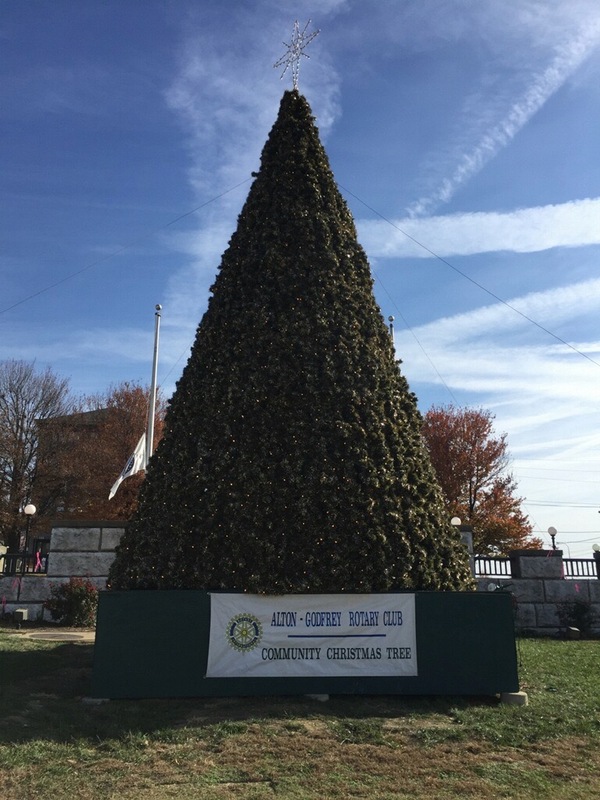 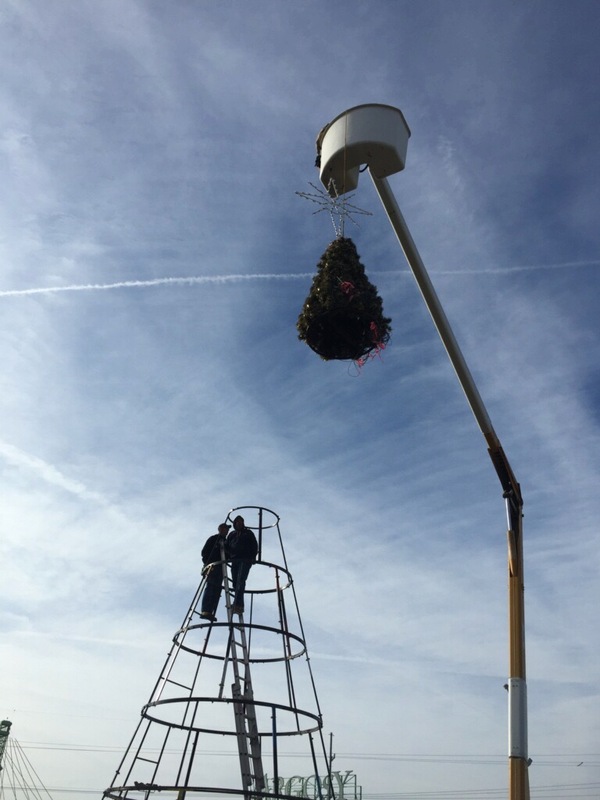 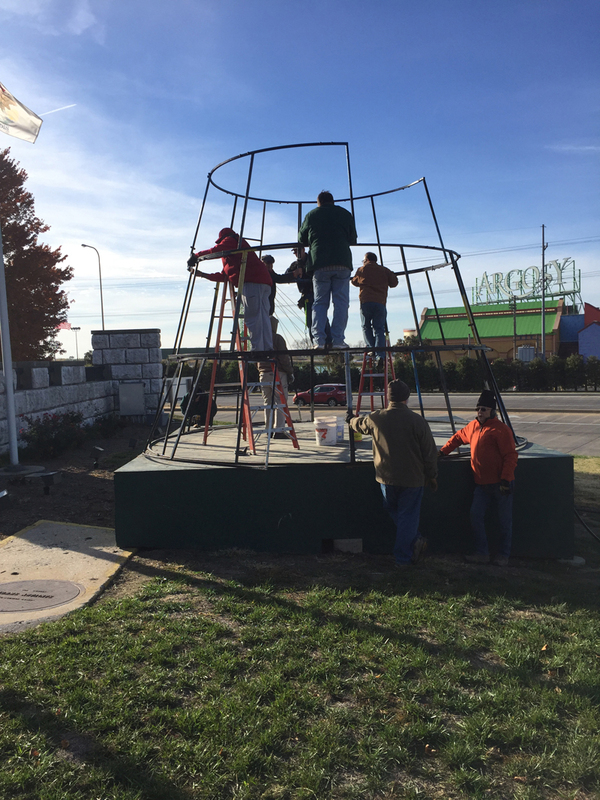 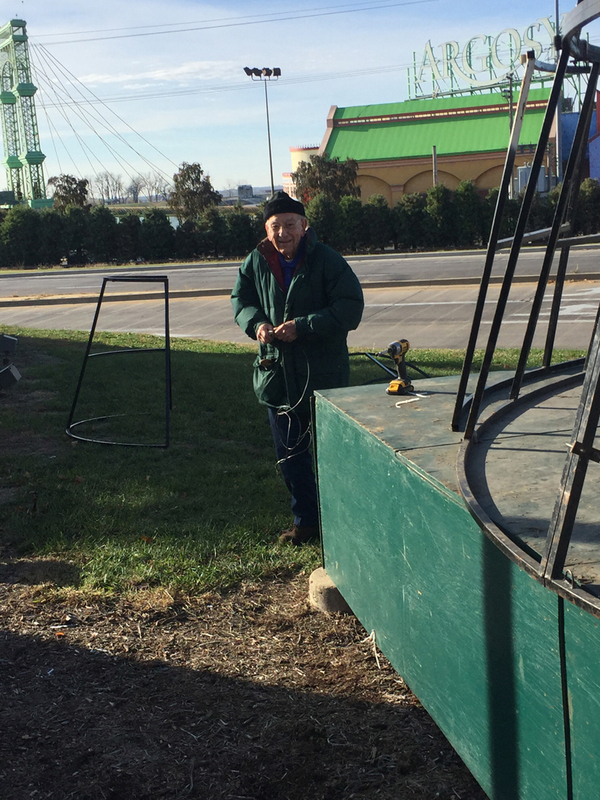 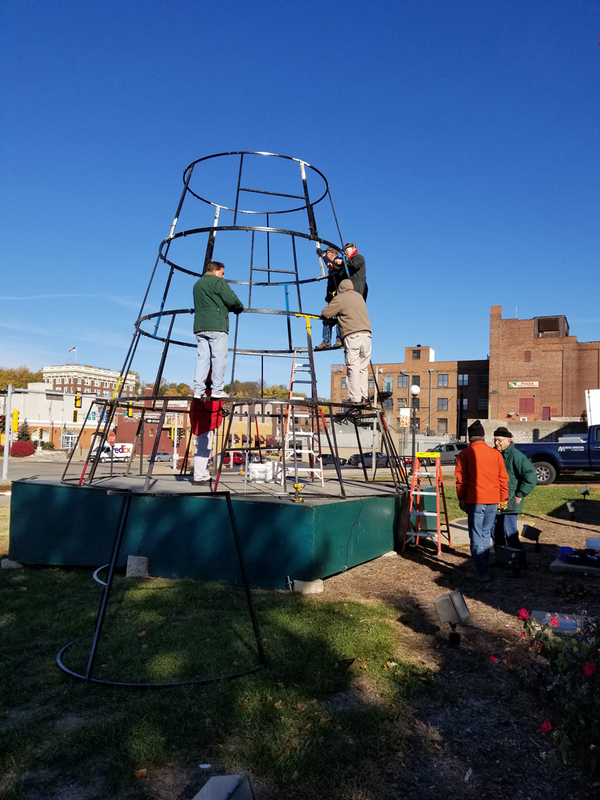 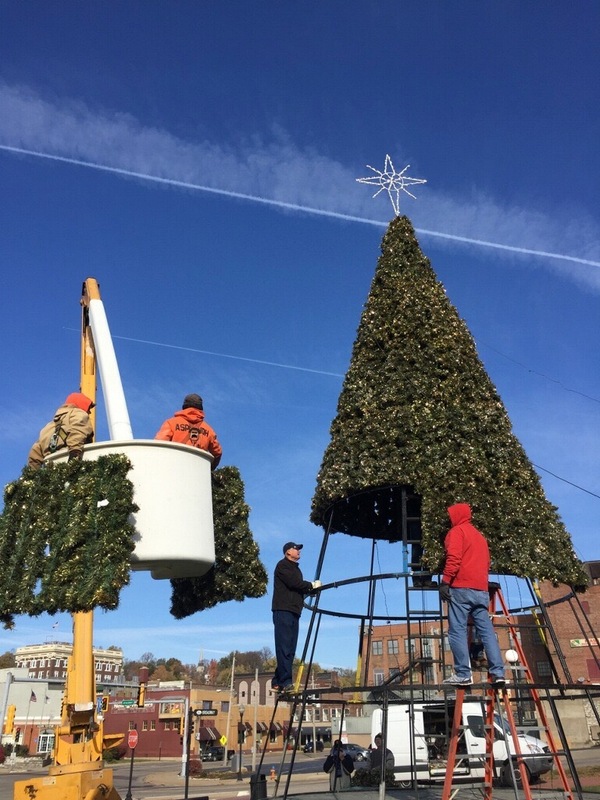 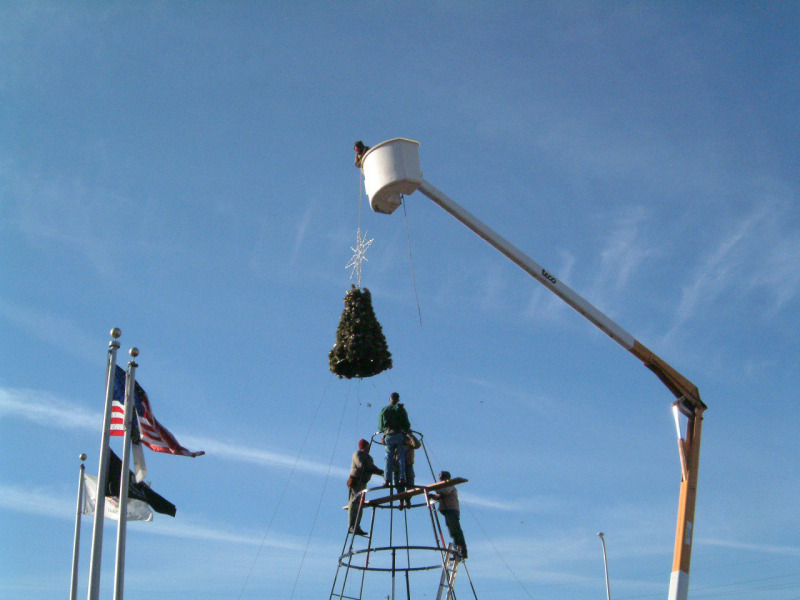 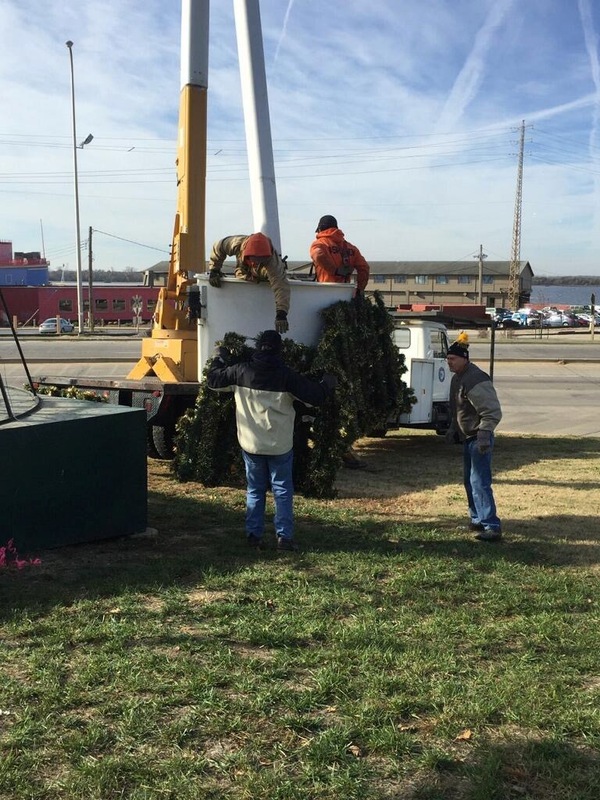 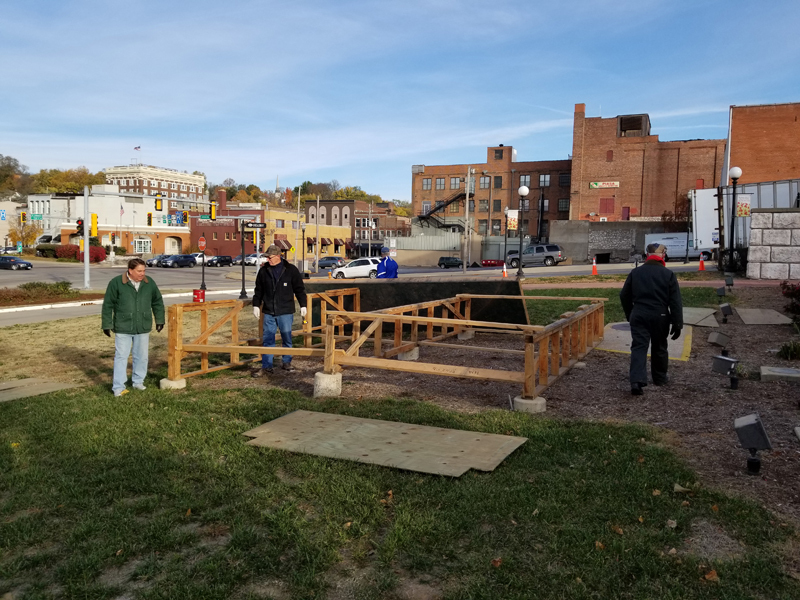 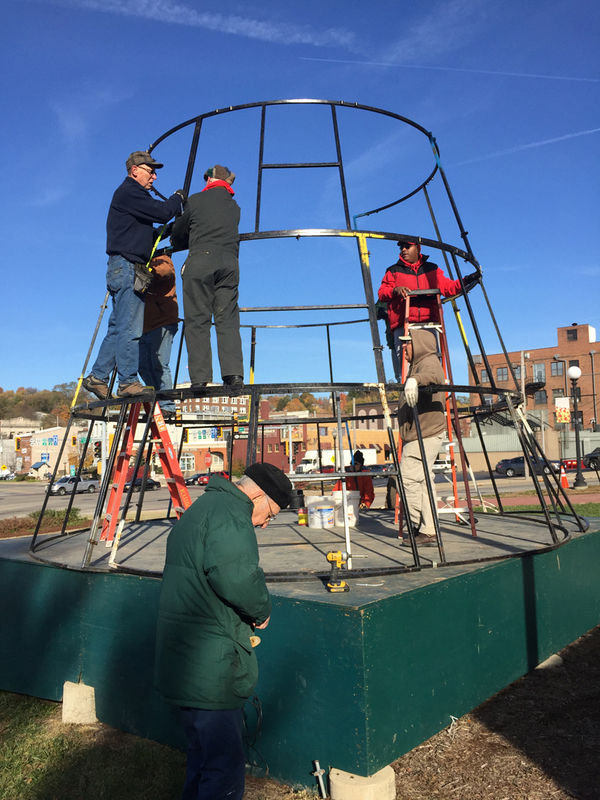 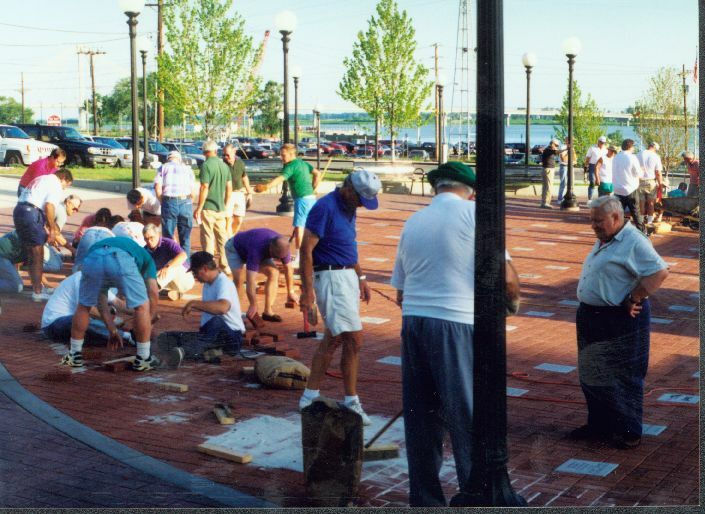 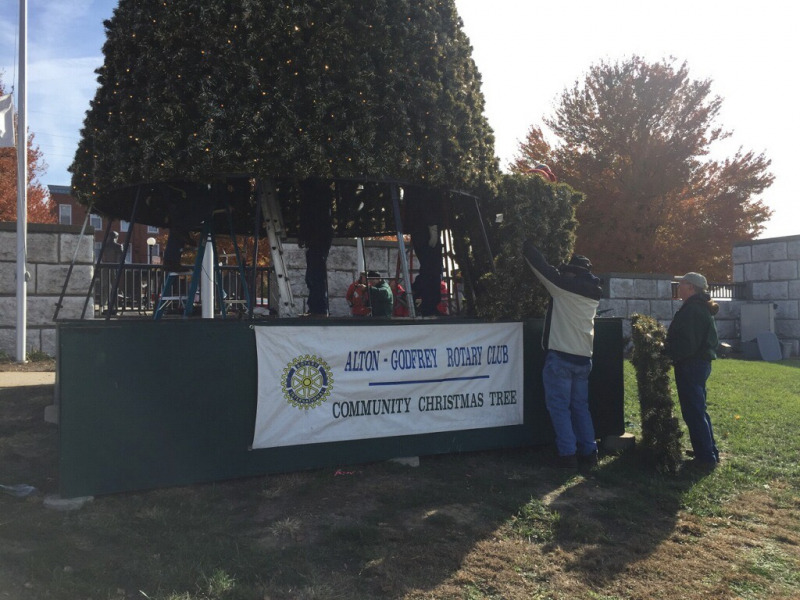 The Alton-Godfrey Rotary Club annually constructs the Community Christmas Tree at Lincoln Douglas Square in Alton, IL. 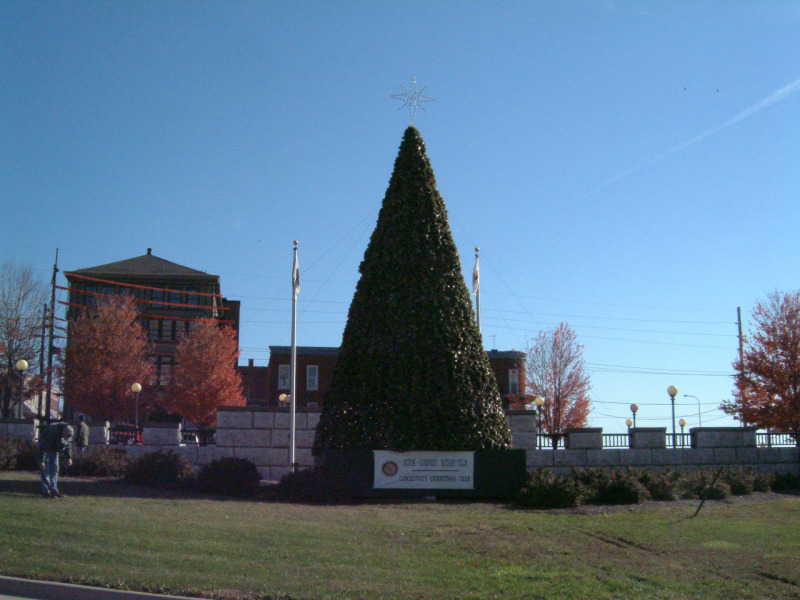 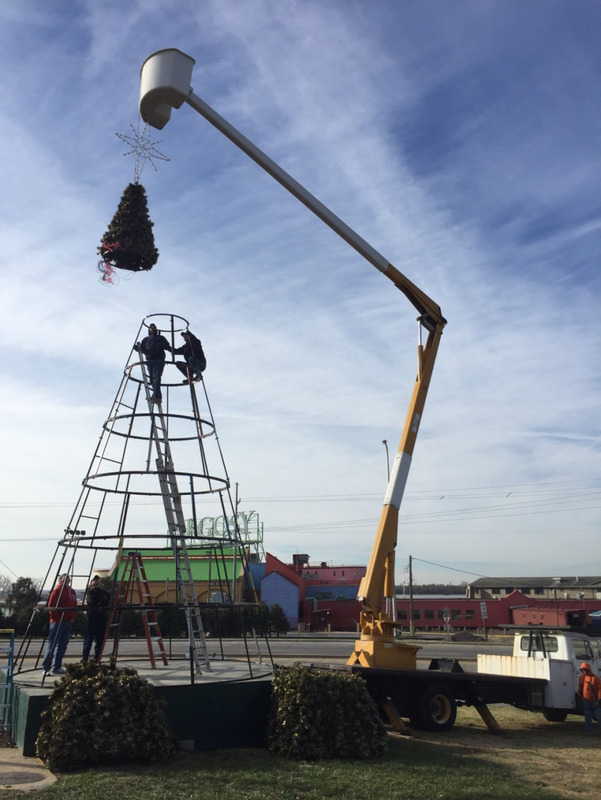 The tree lighting ceremony will be held on Friday at 6:00 to begin the Christmas season in the Riverbend area. 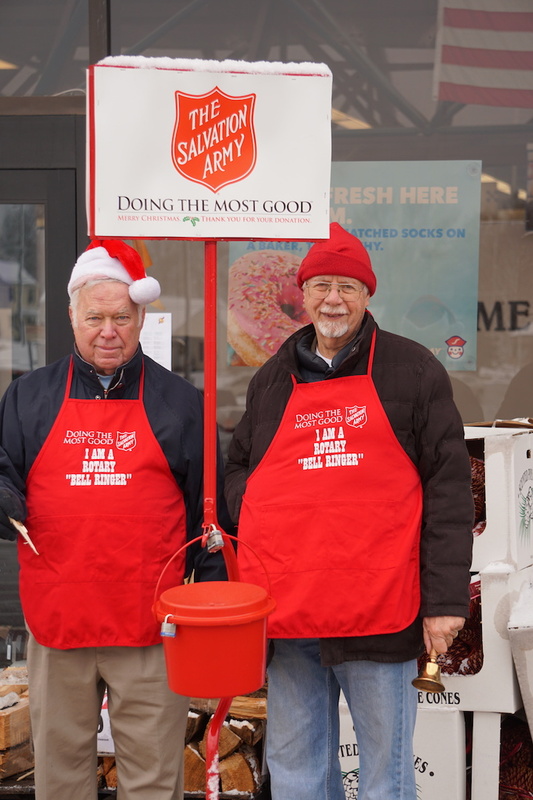 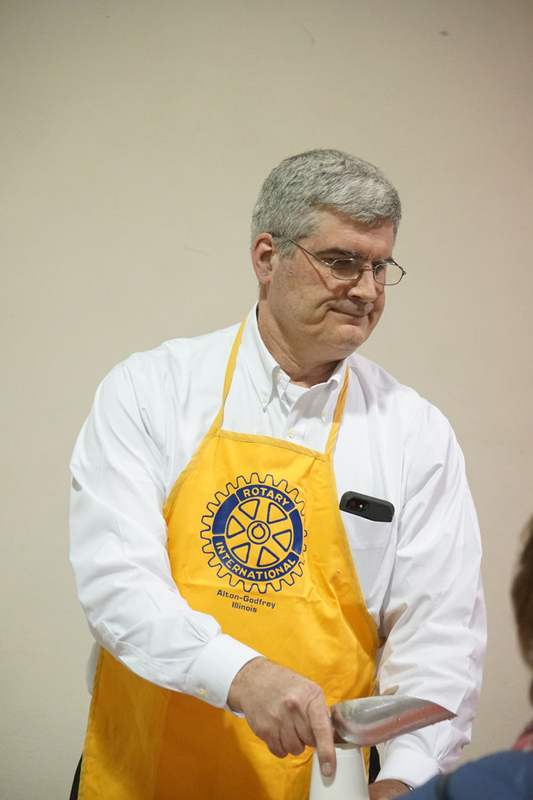 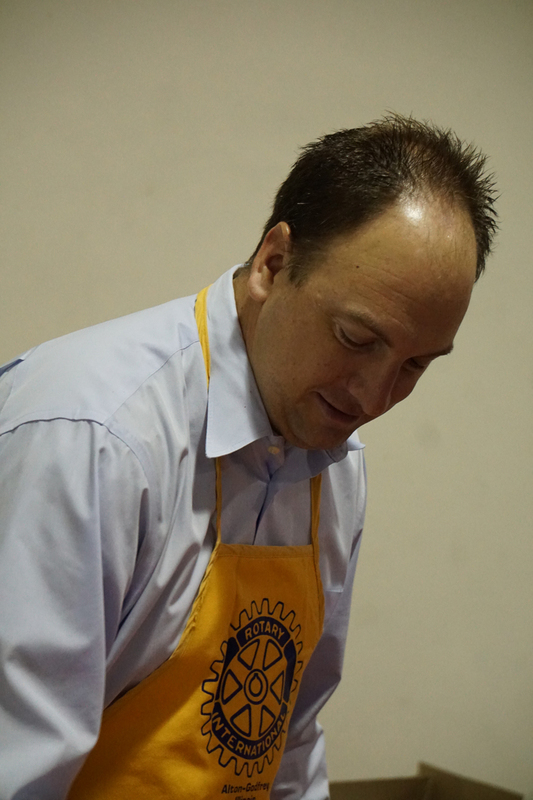 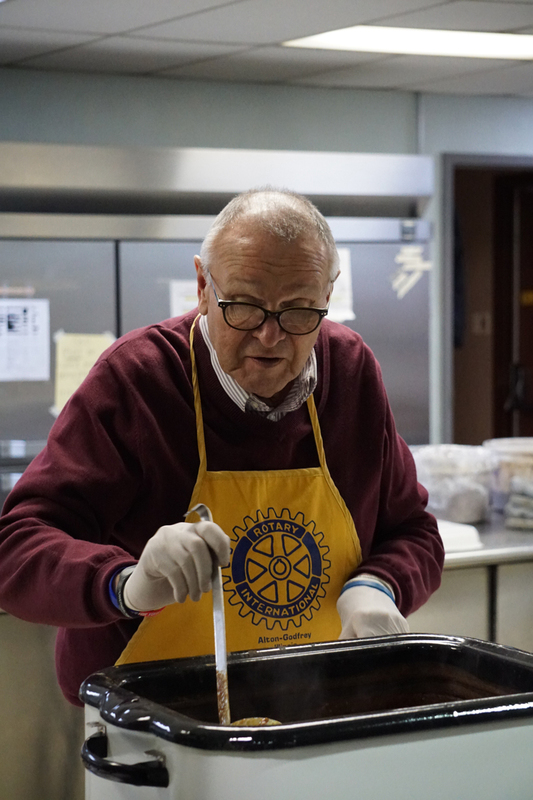 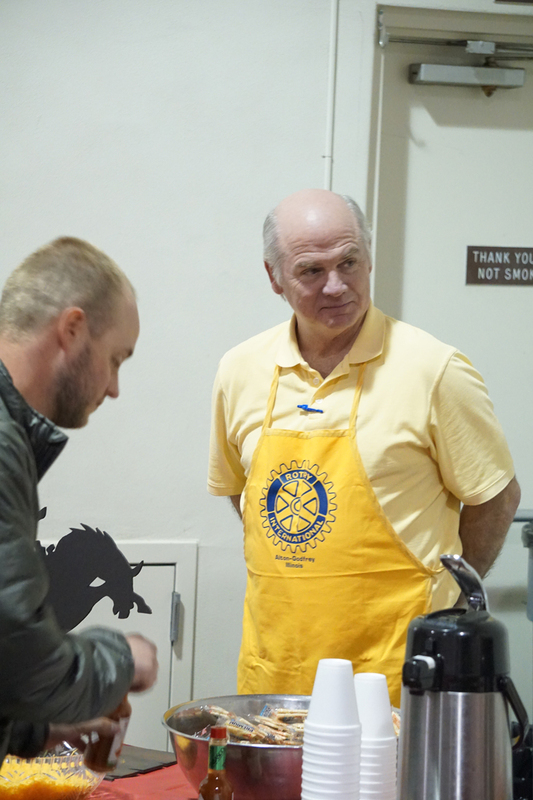 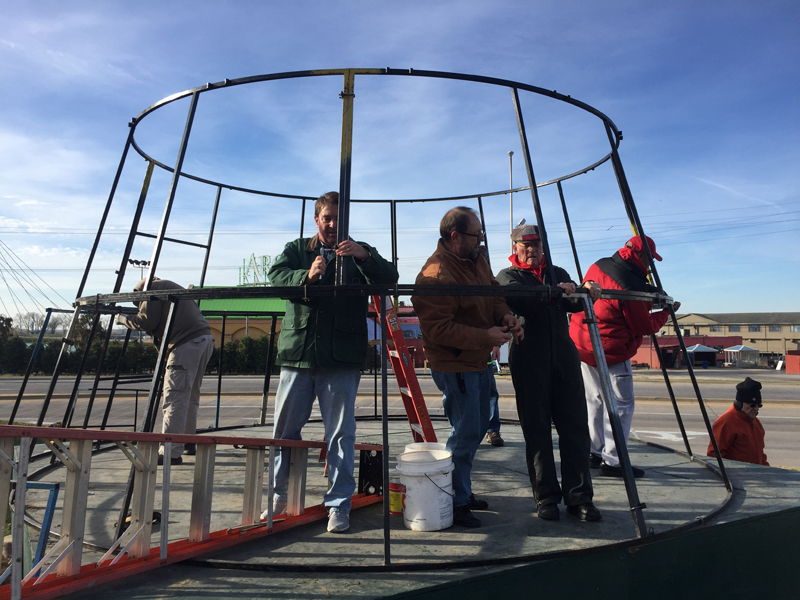 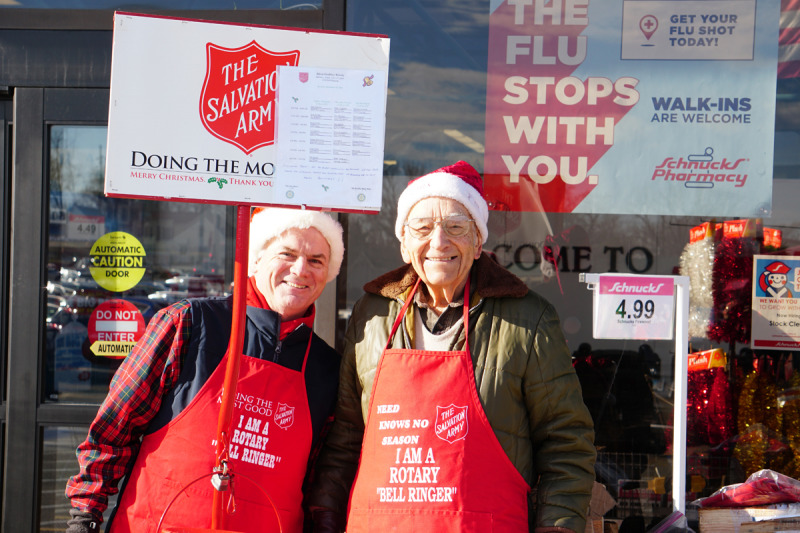 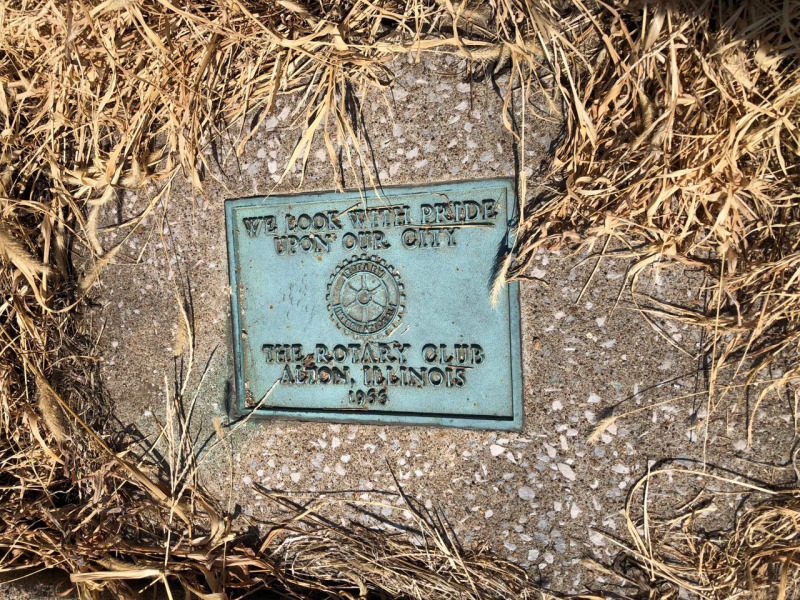 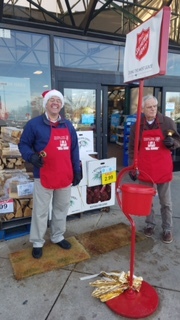 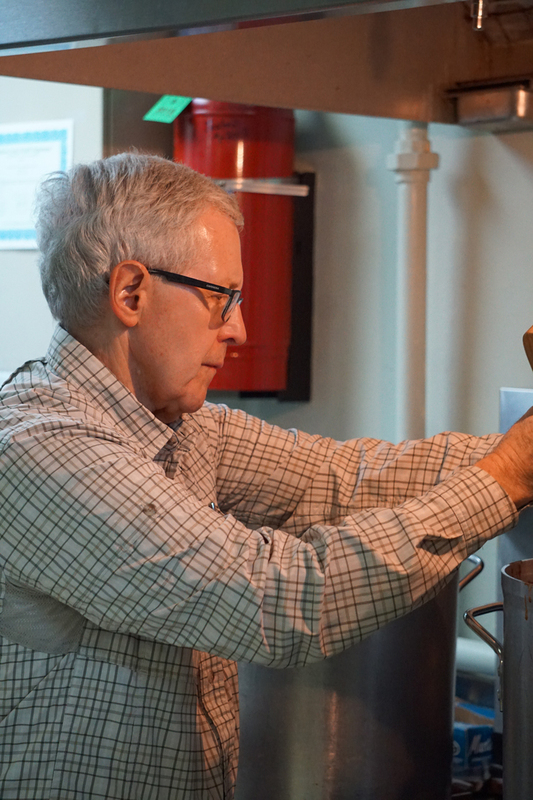 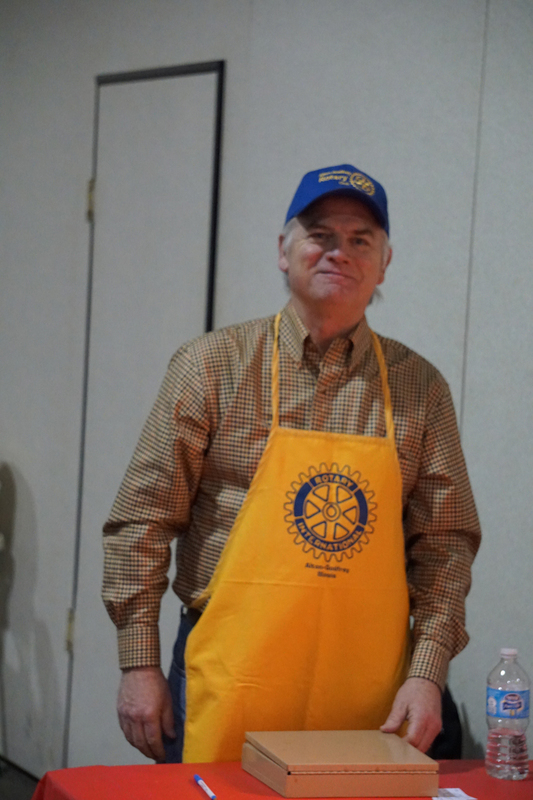 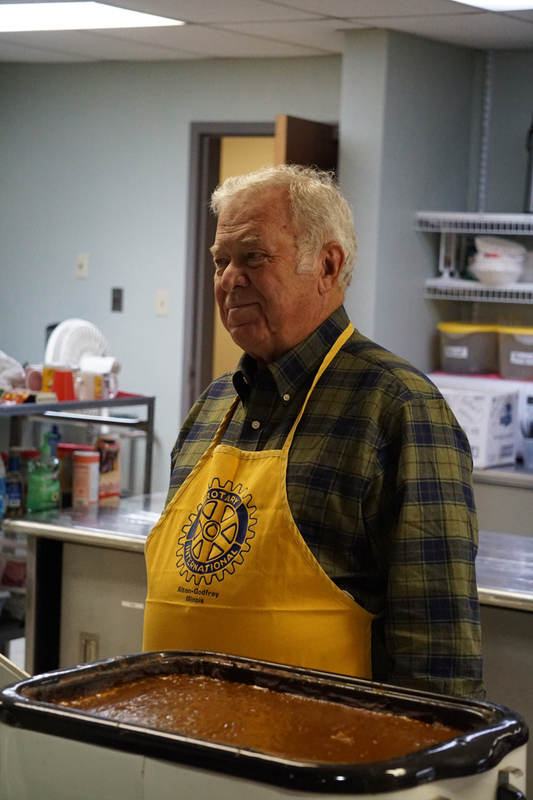 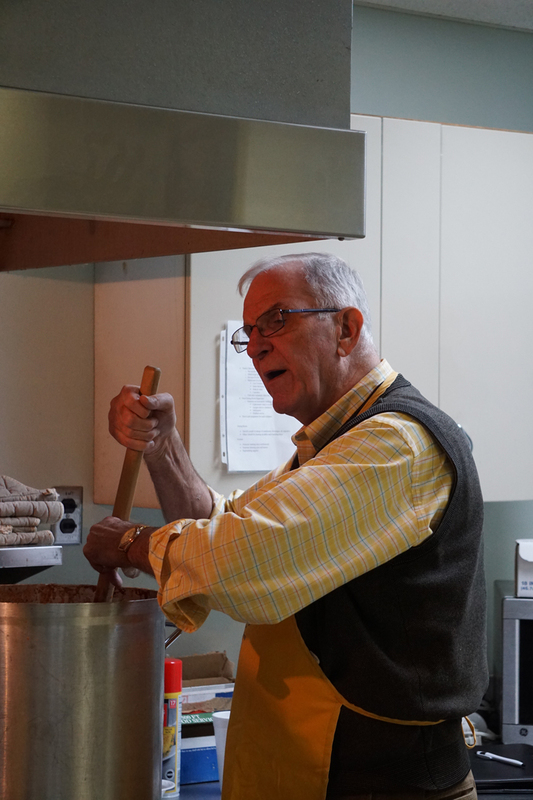 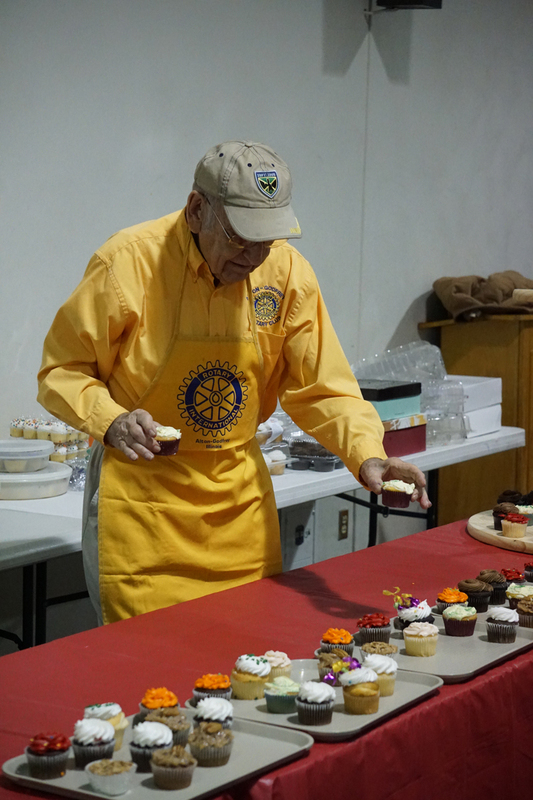 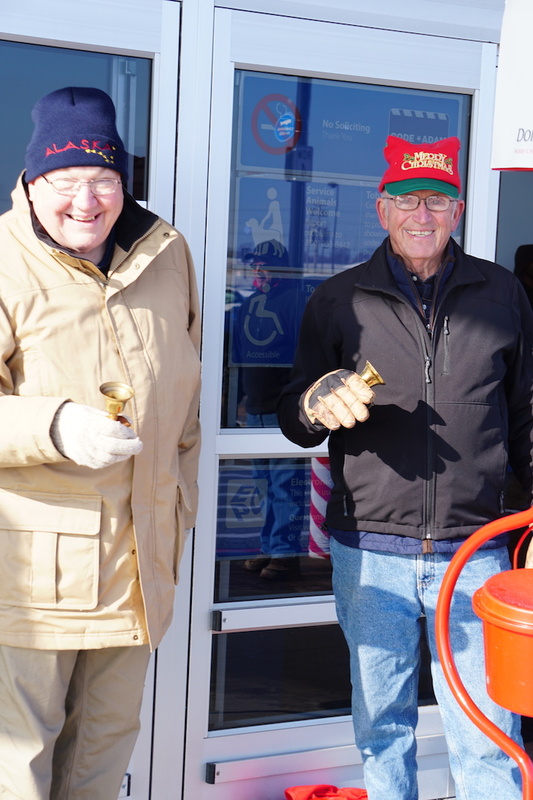 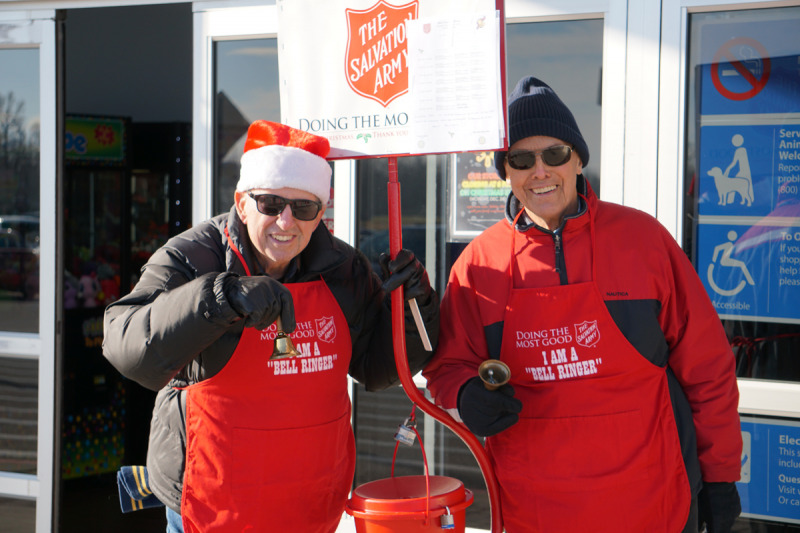 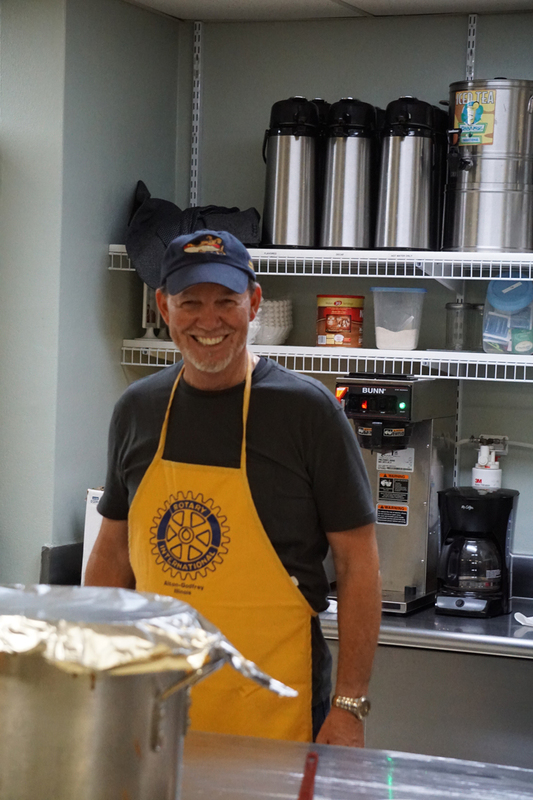 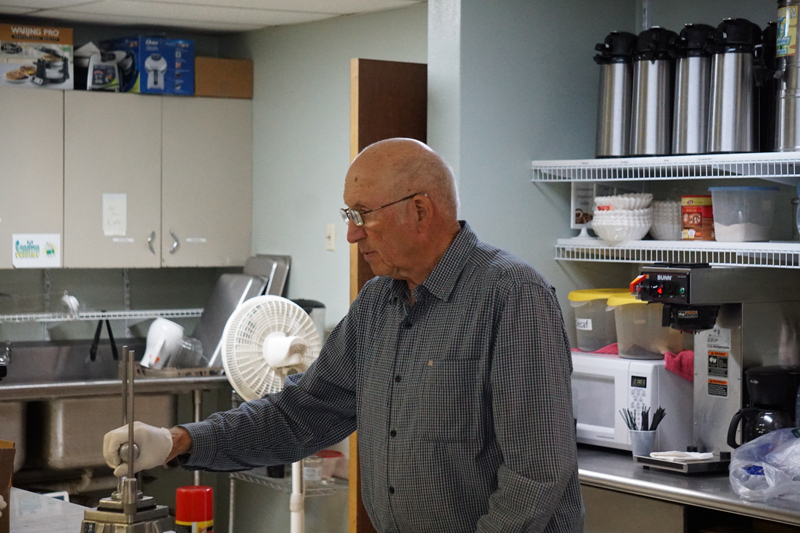 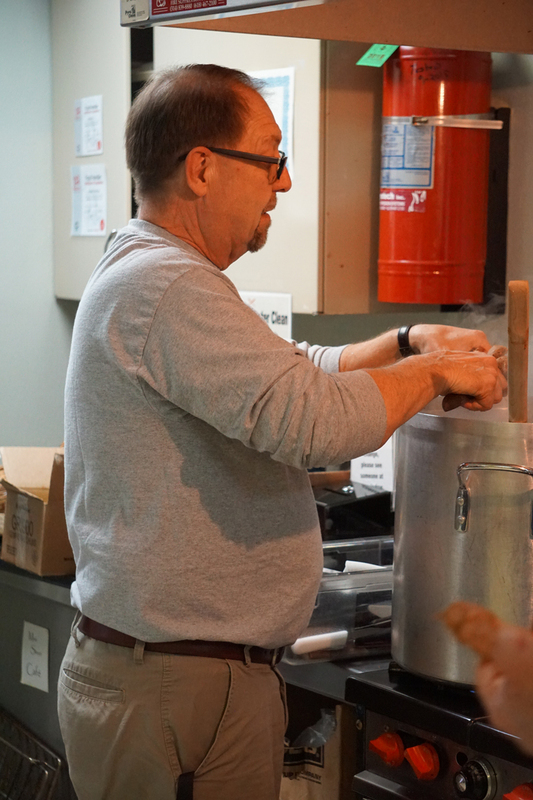 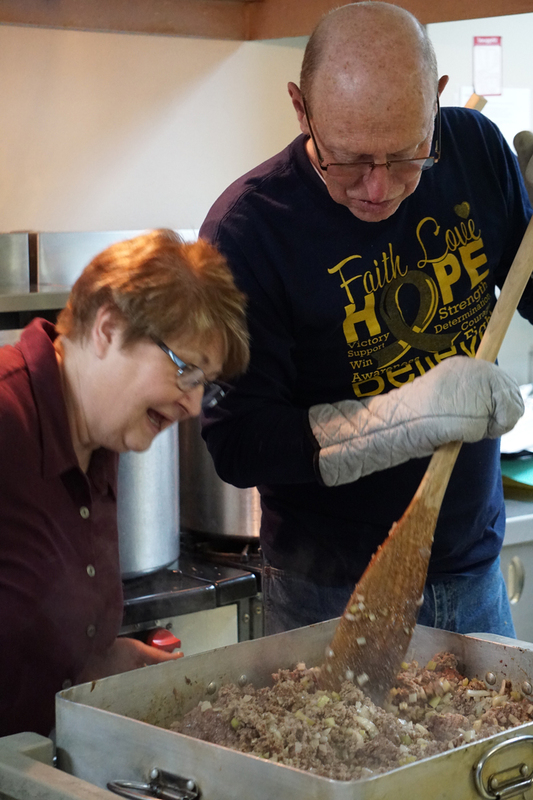 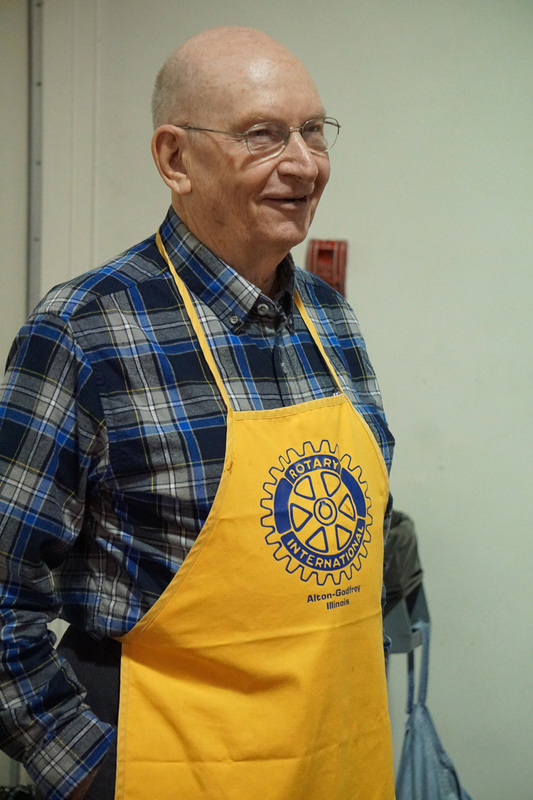 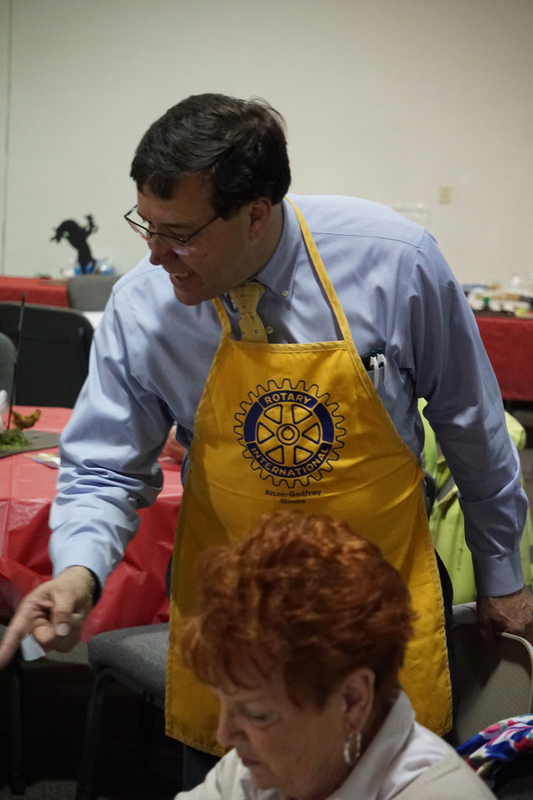 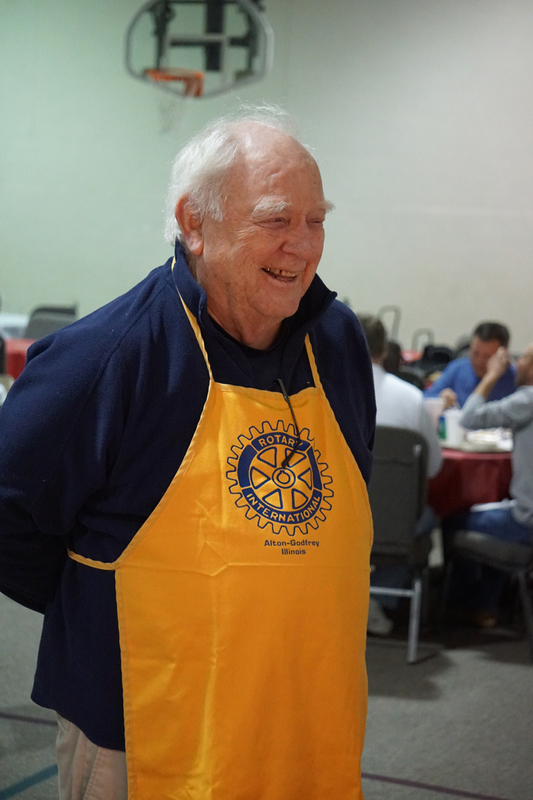 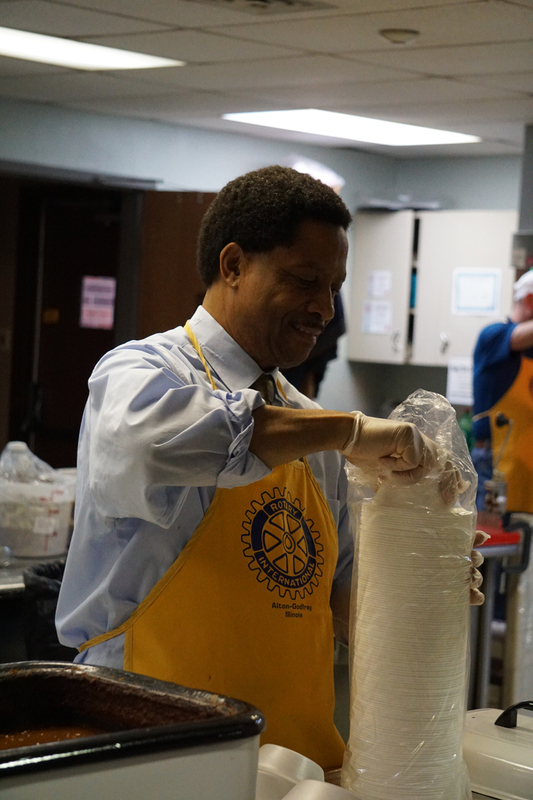 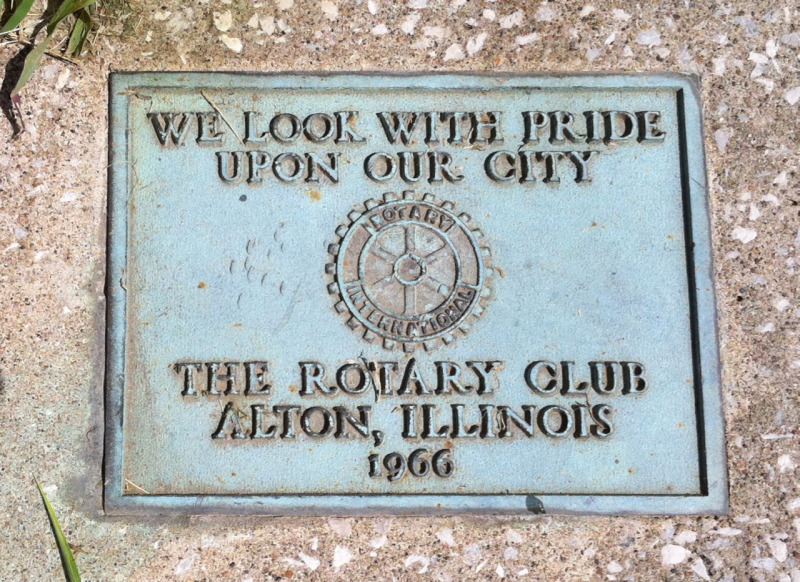 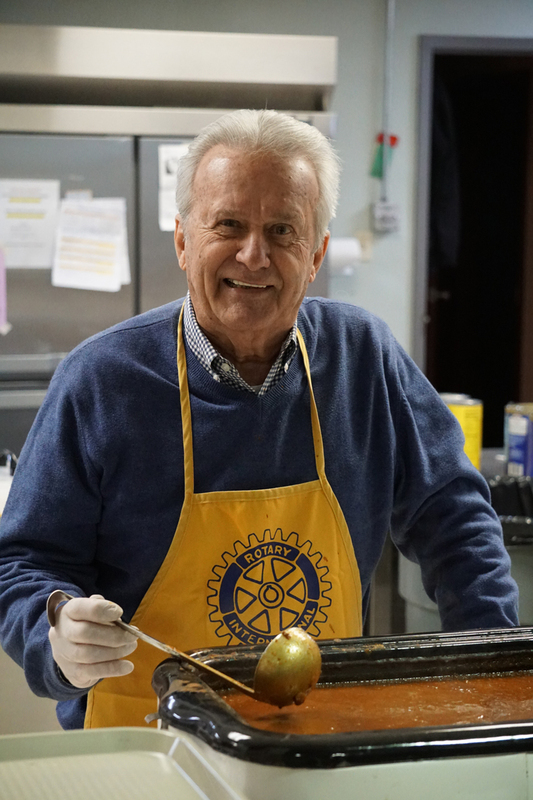 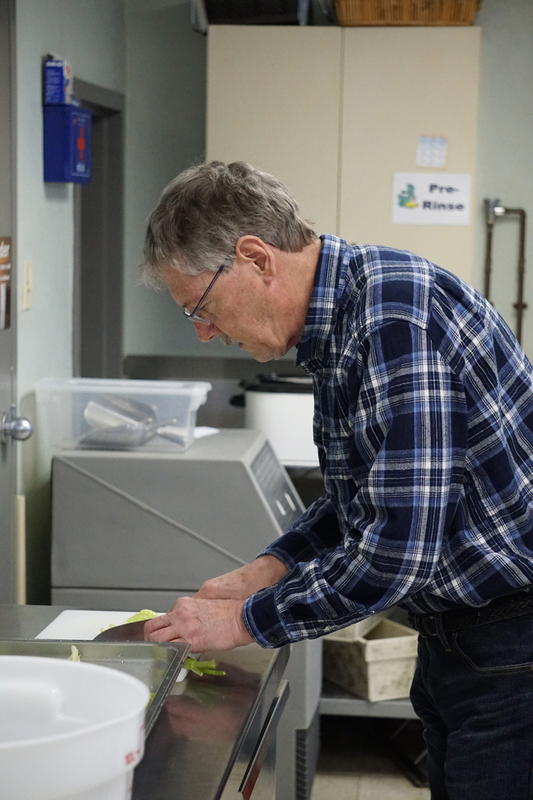 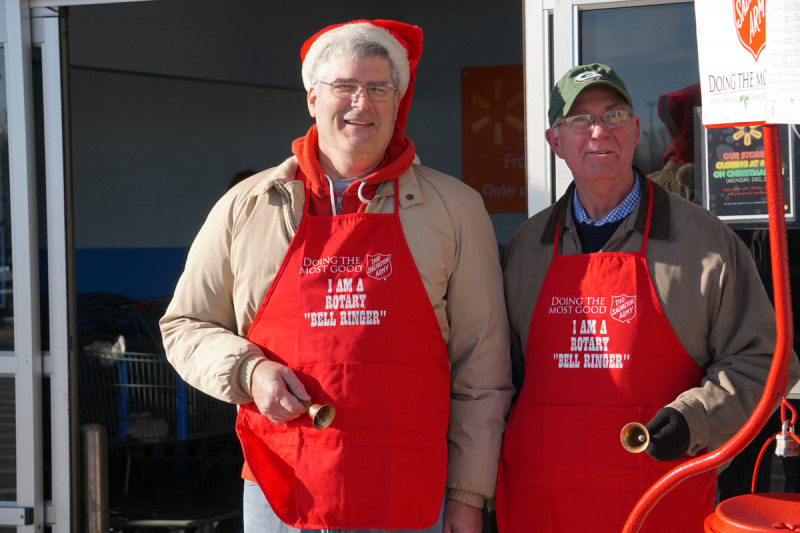 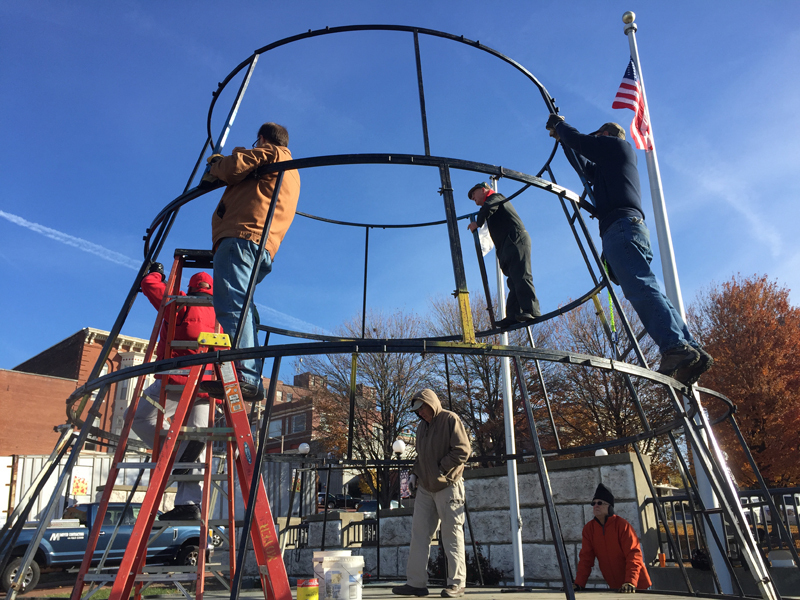 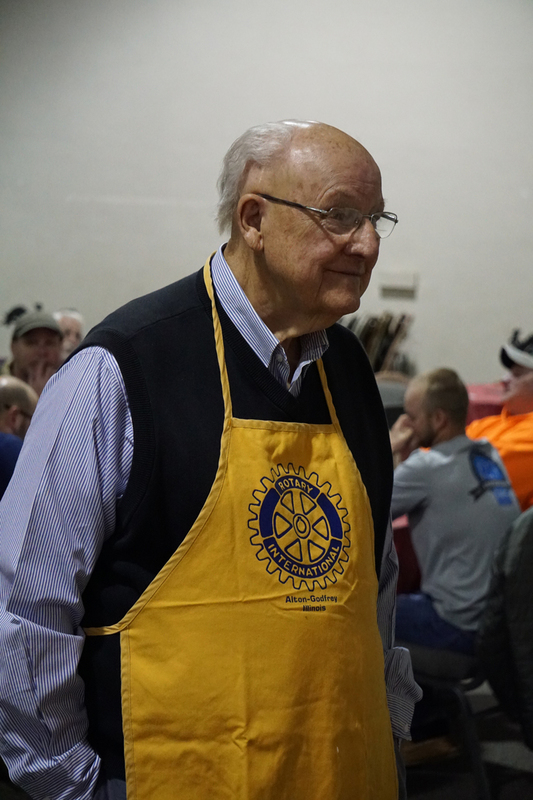 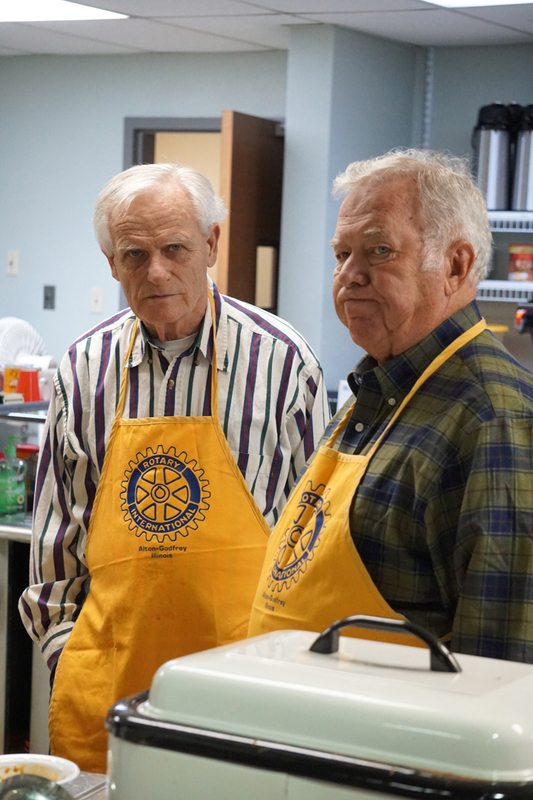 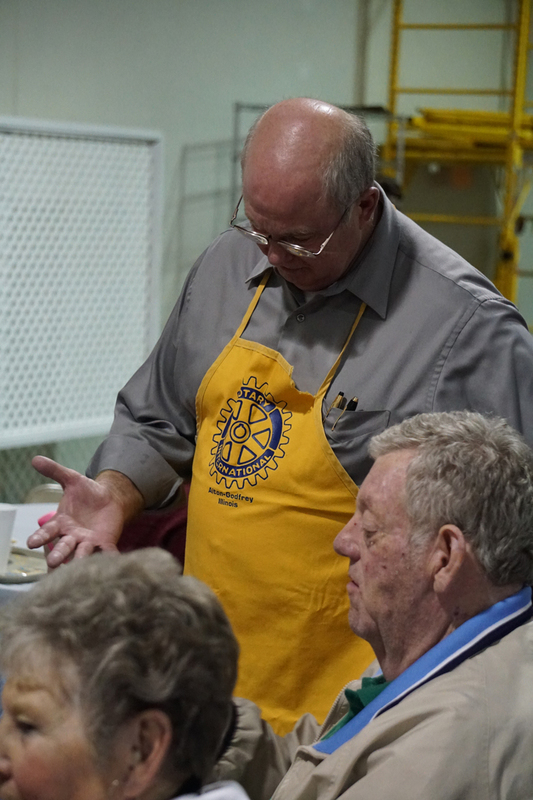 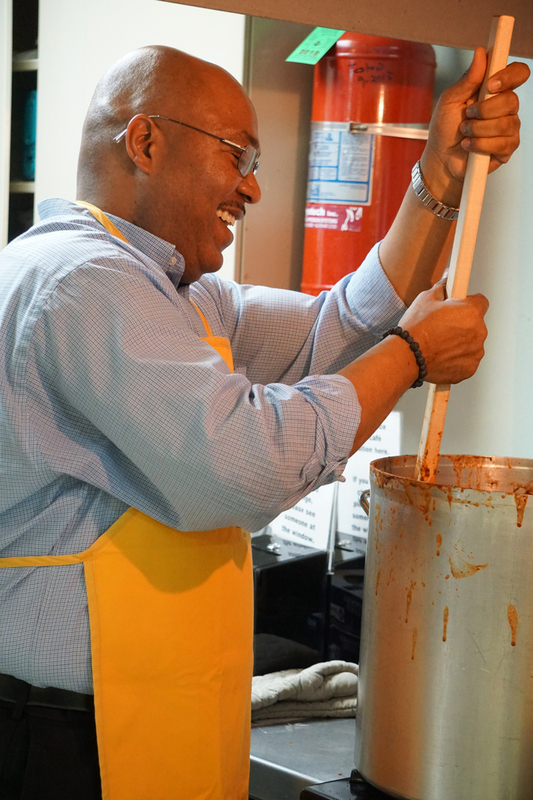 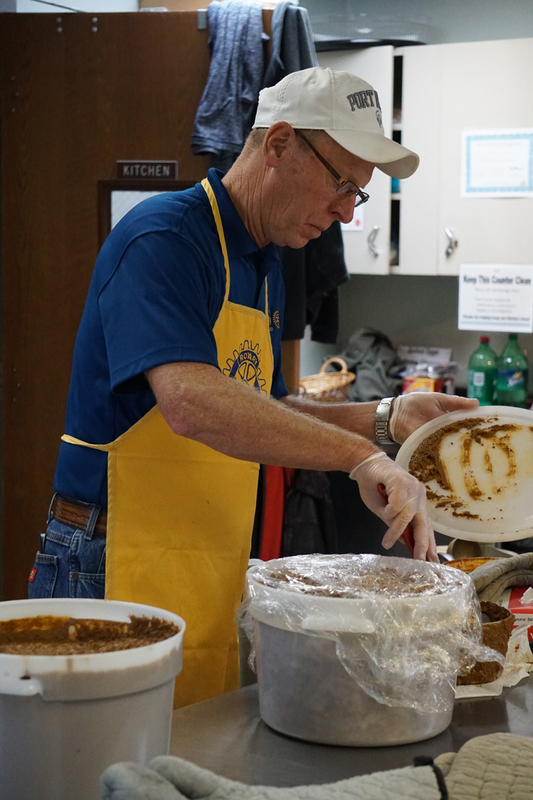 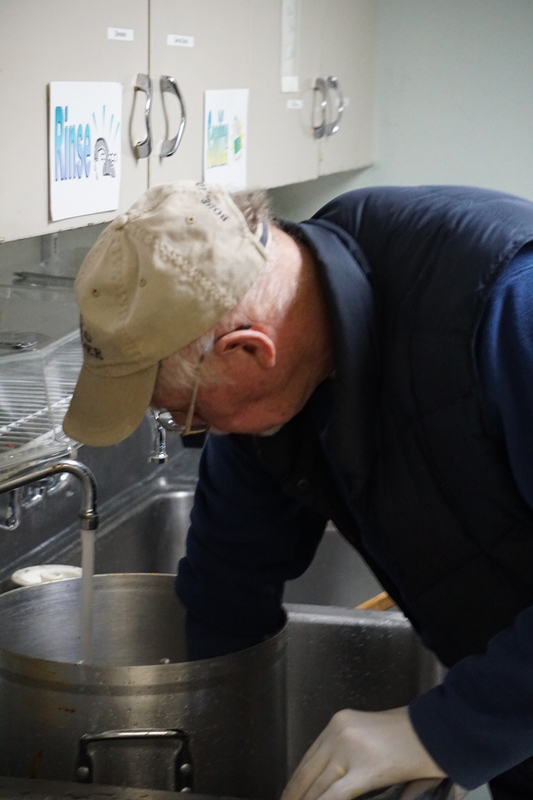 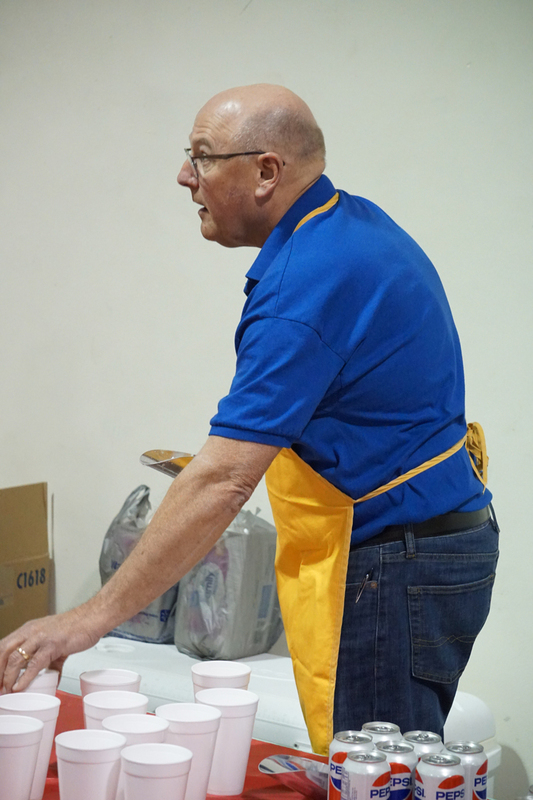 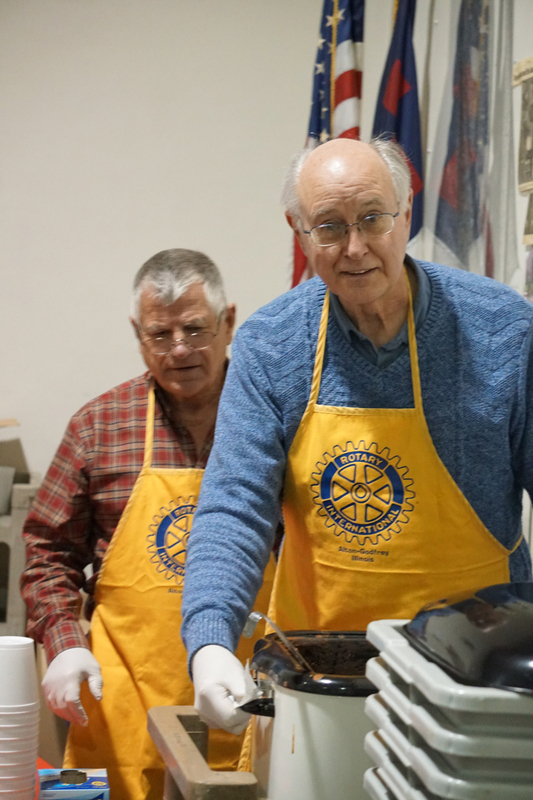 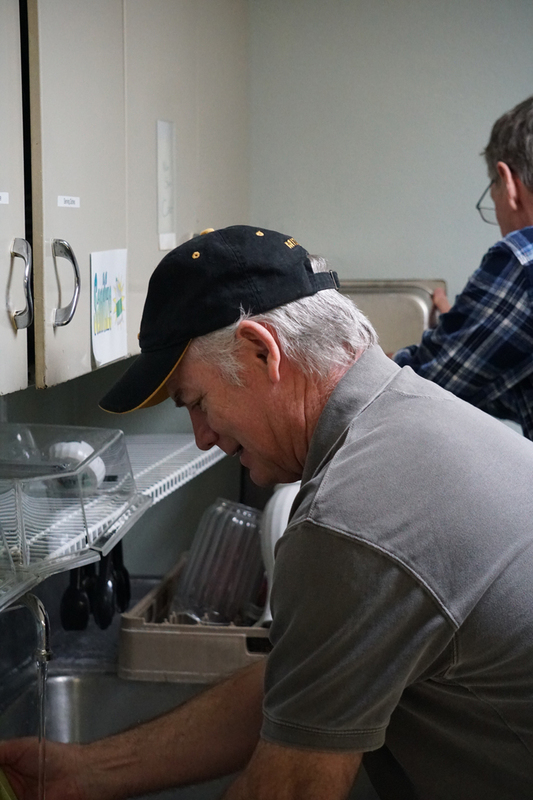 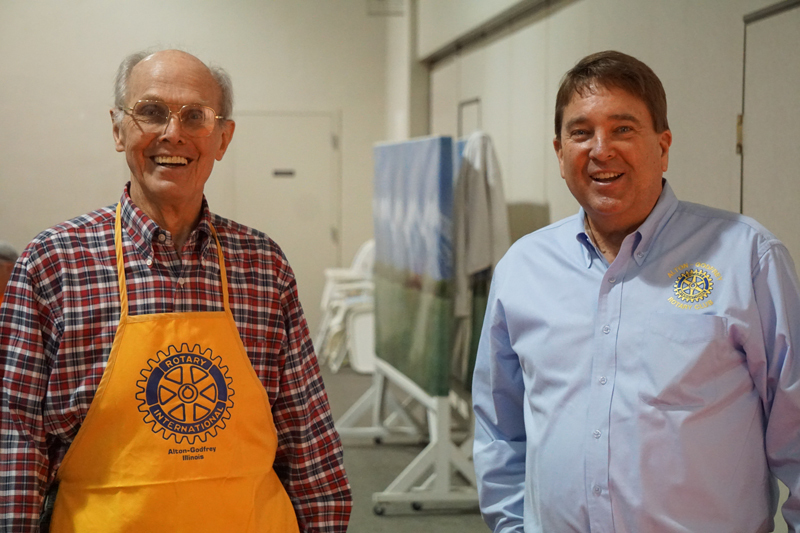 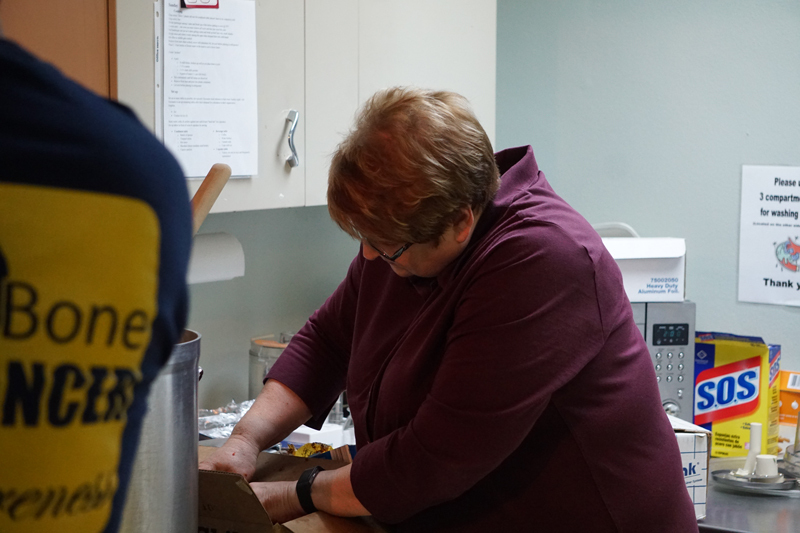 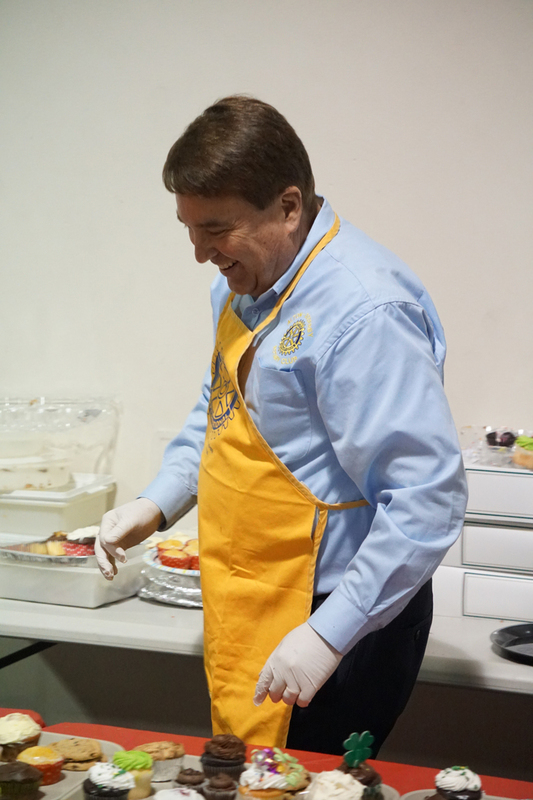 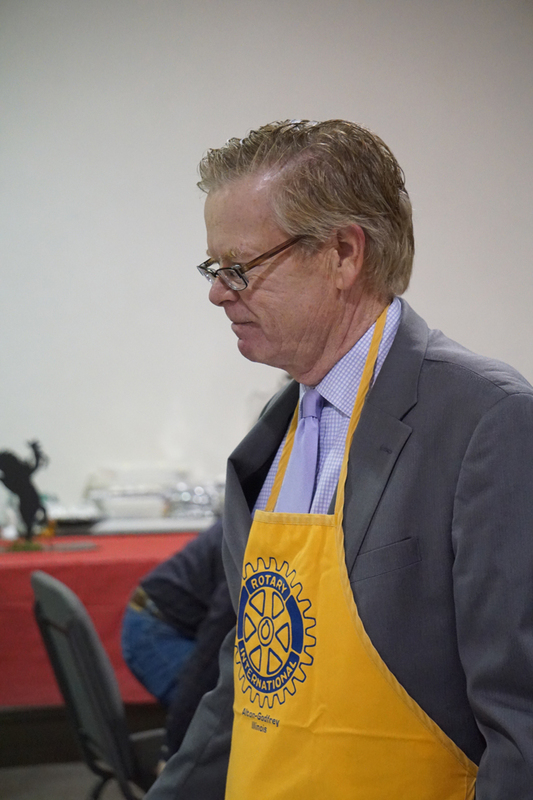 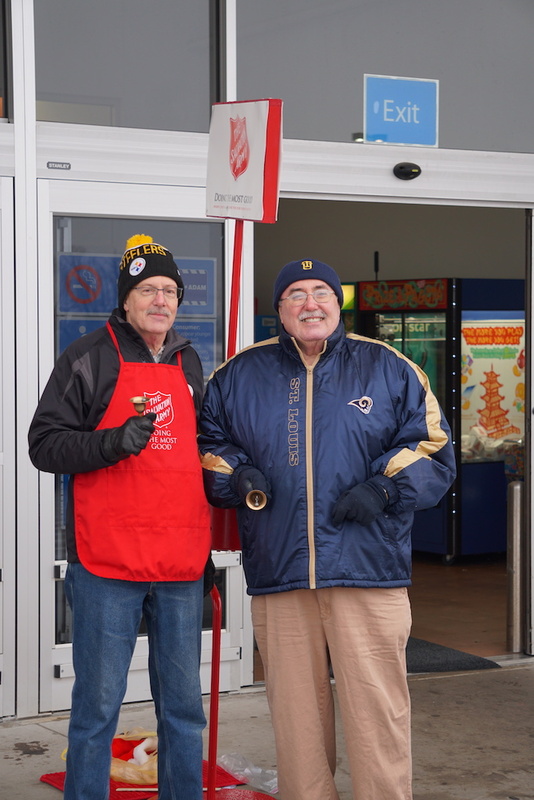 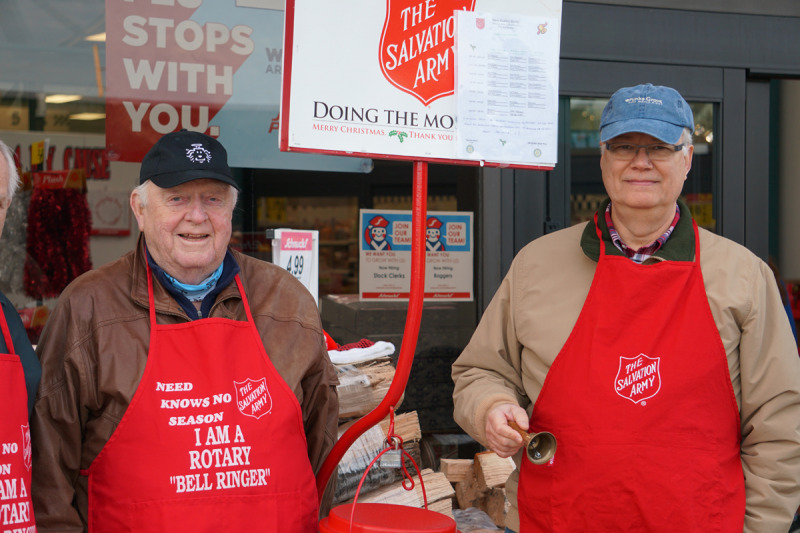 The Alton Godfrey Rotary Club annually turns out to ring bells the Saturday before Christmas. 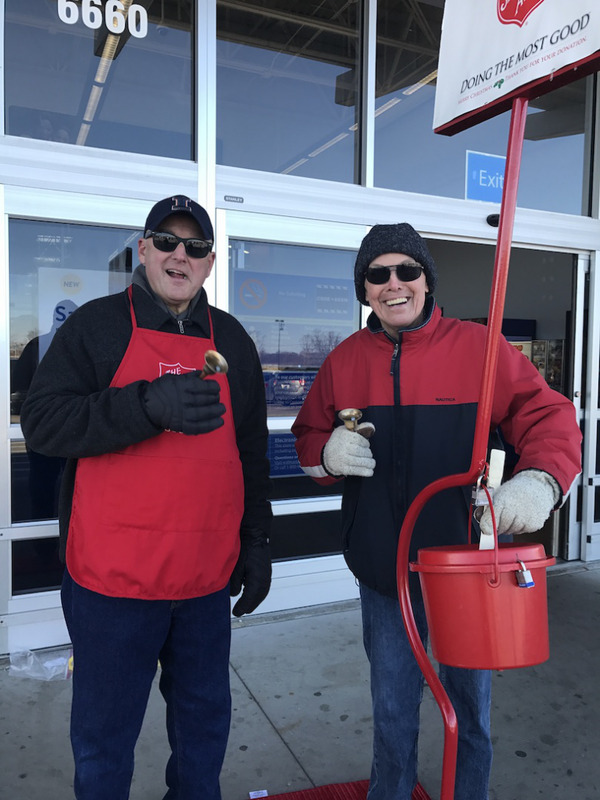 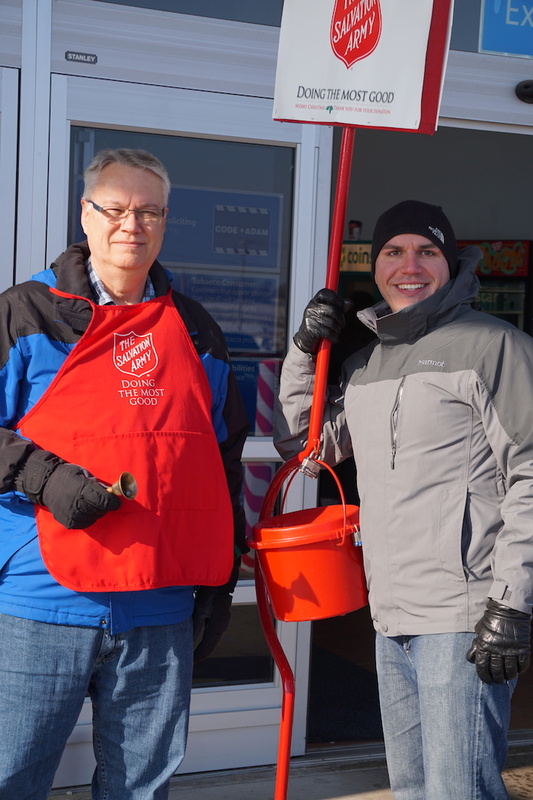 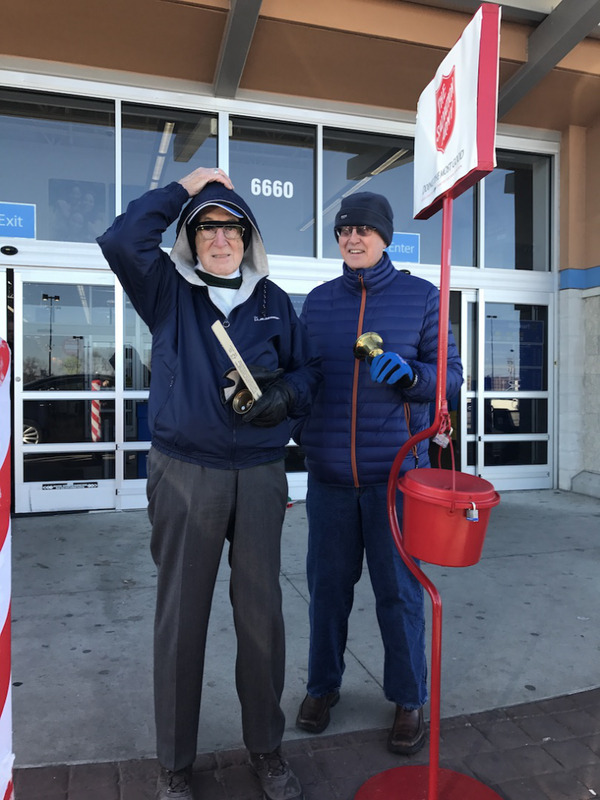 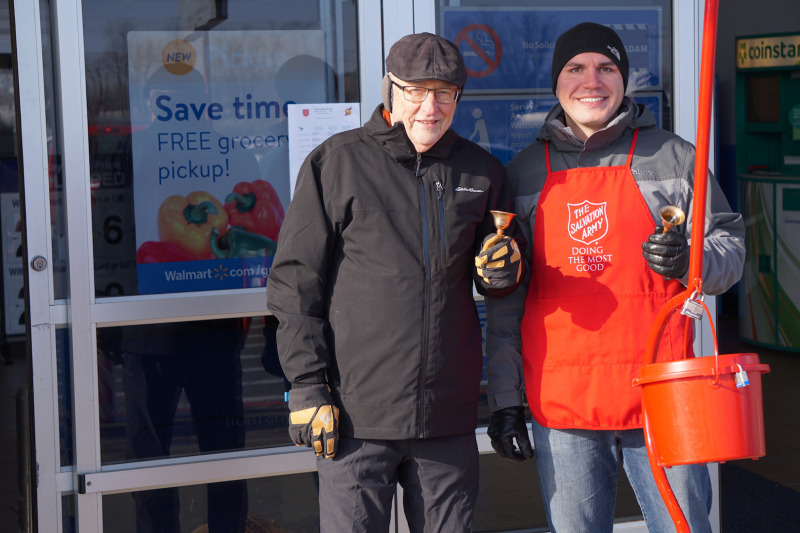 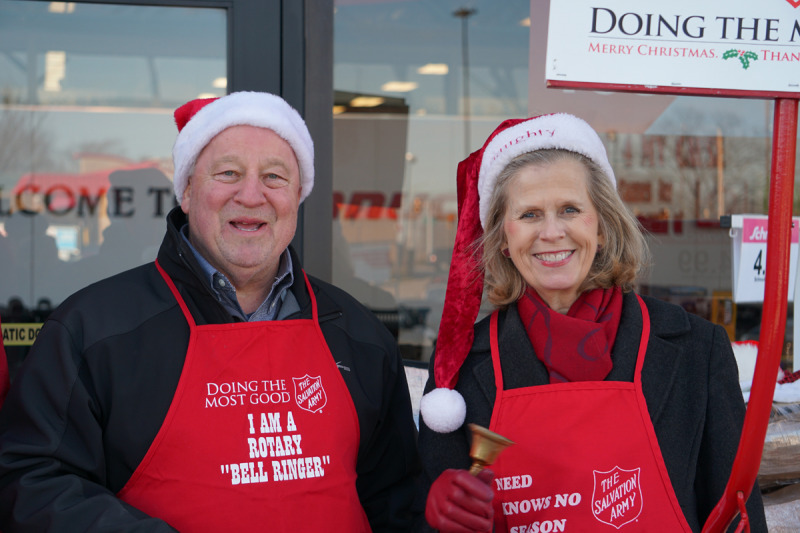 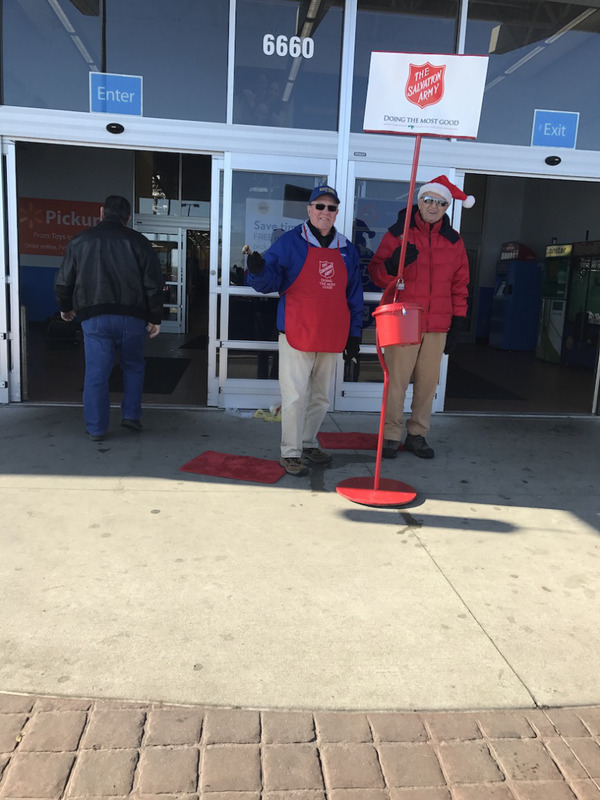 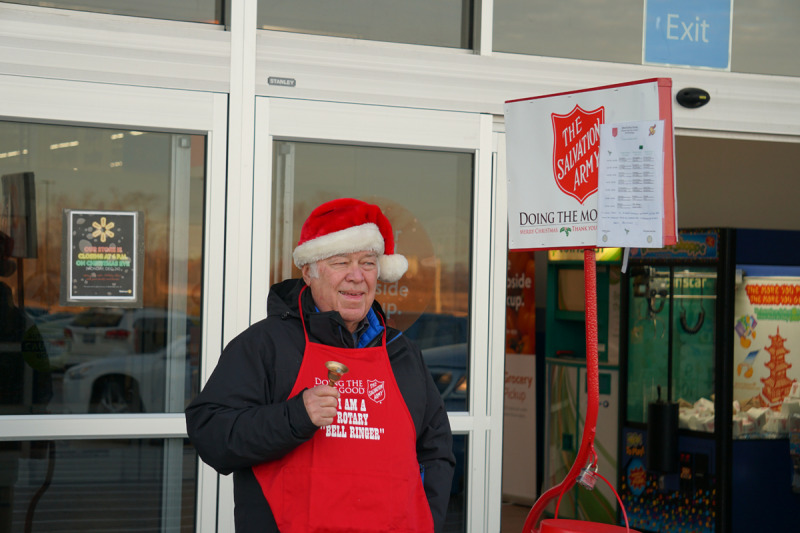 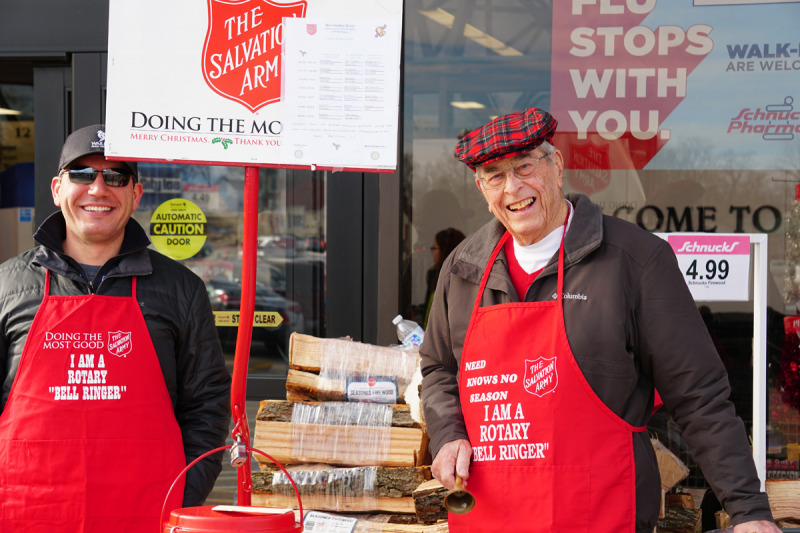 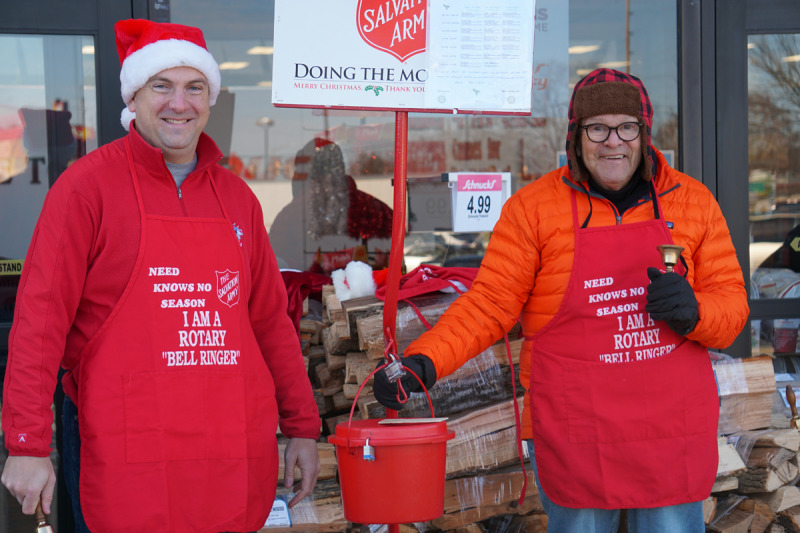 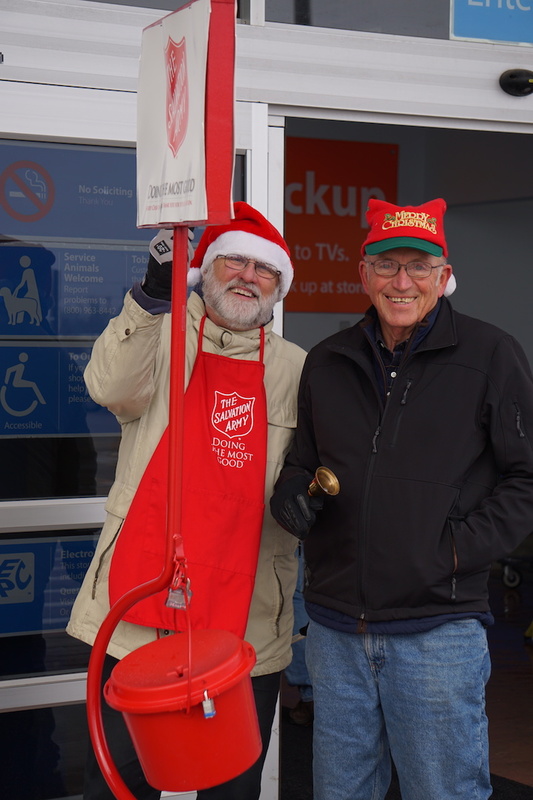 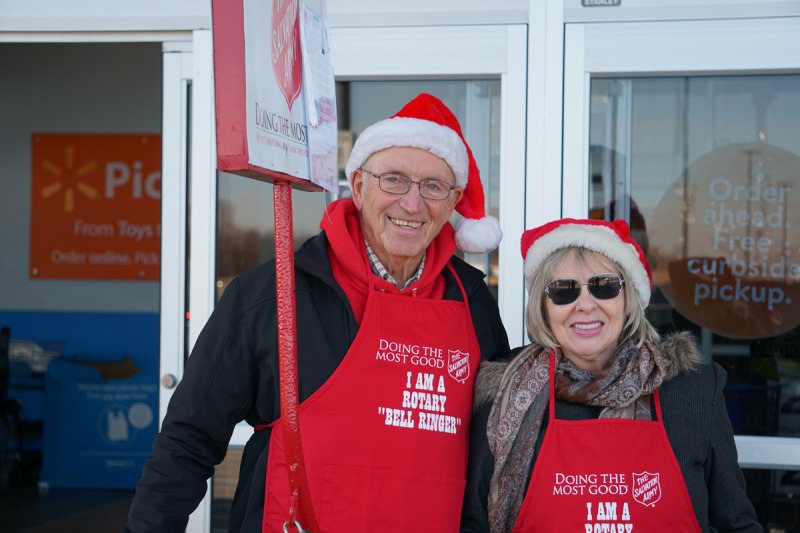 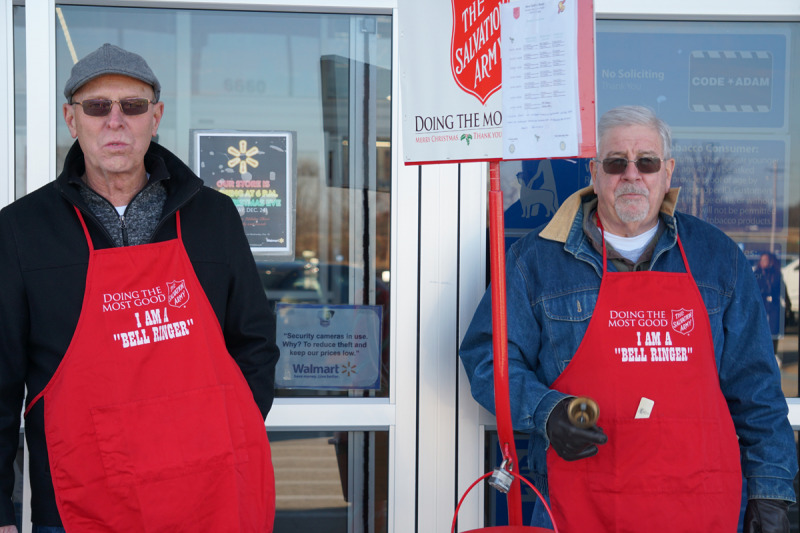 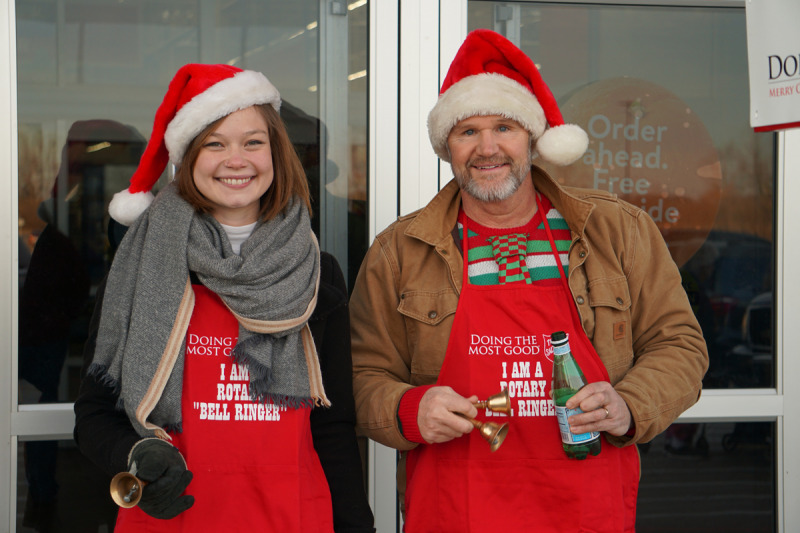 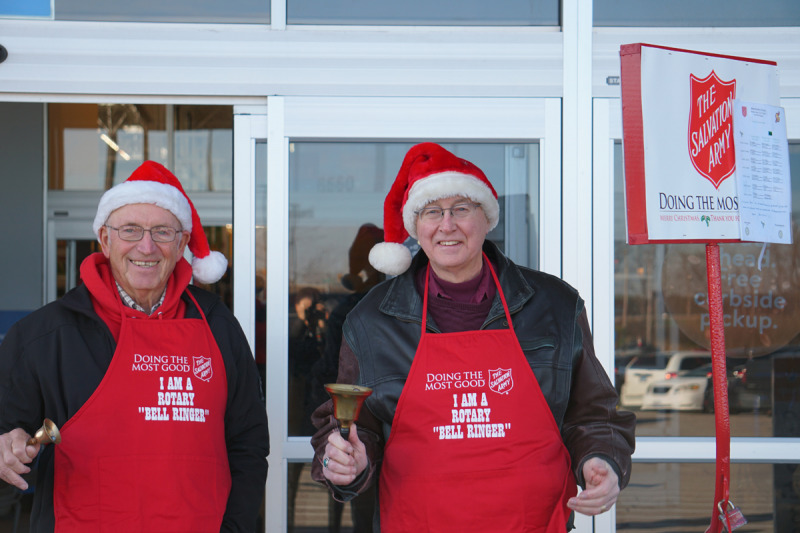 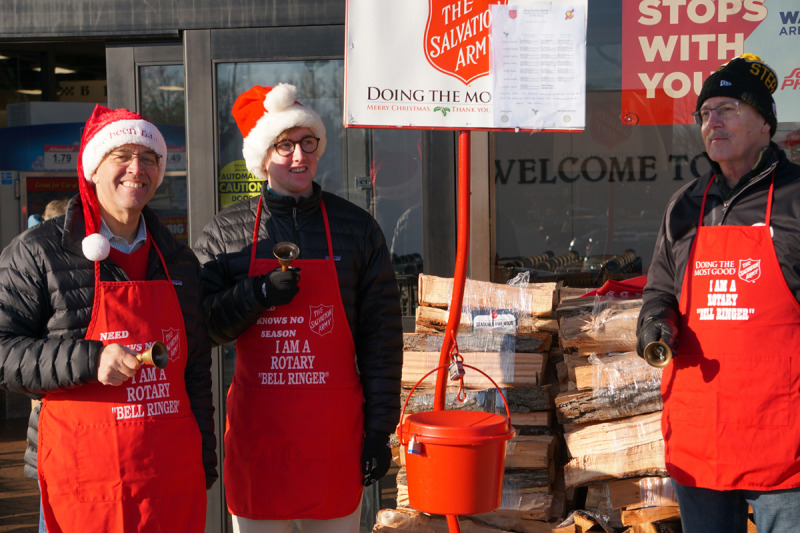 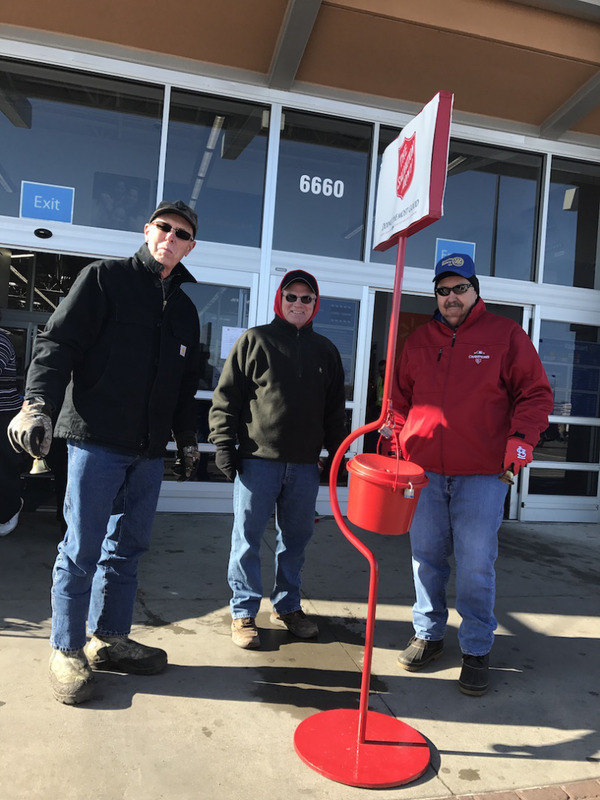 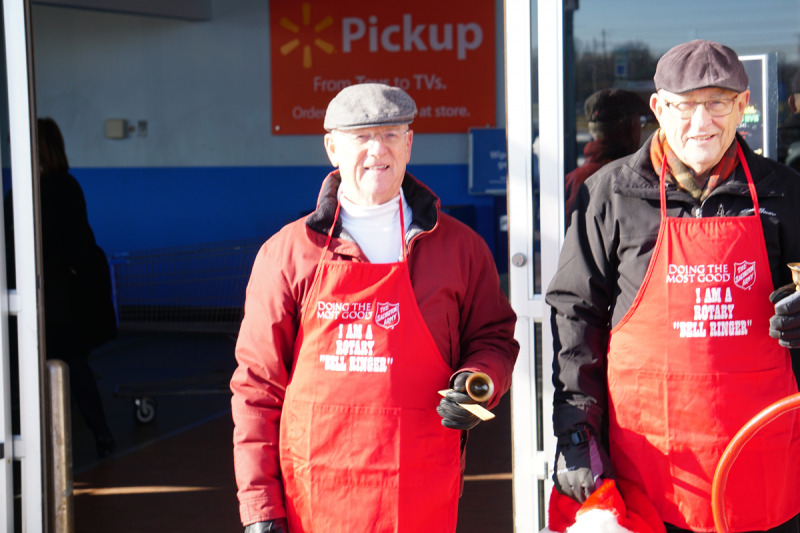 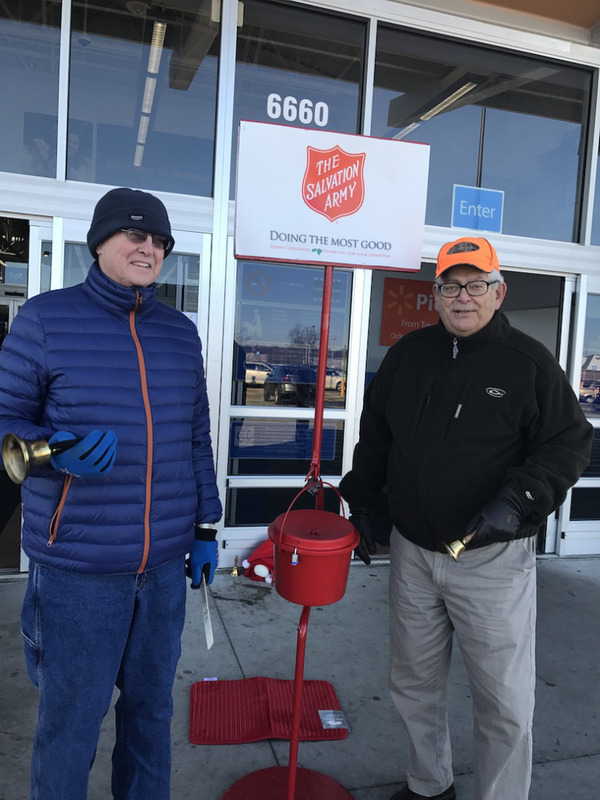 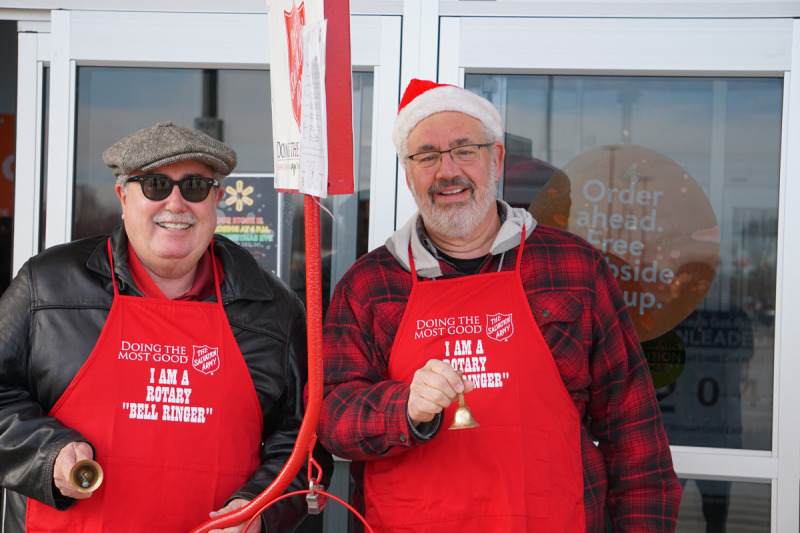 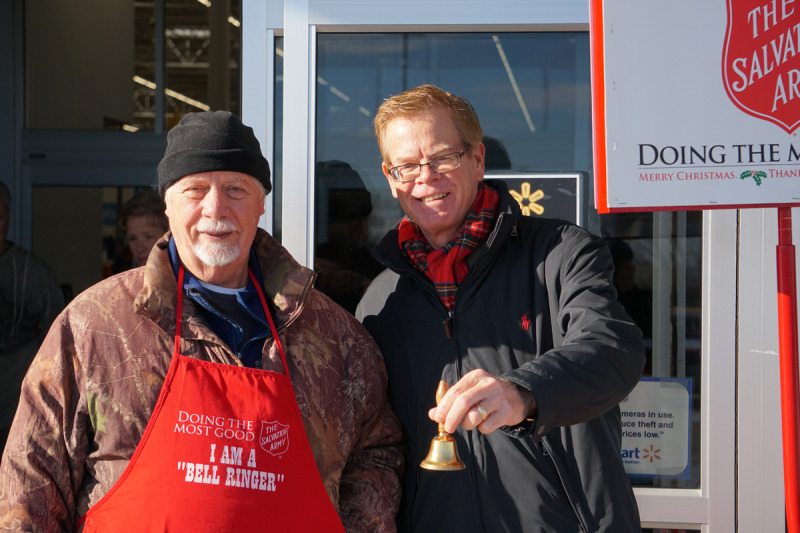 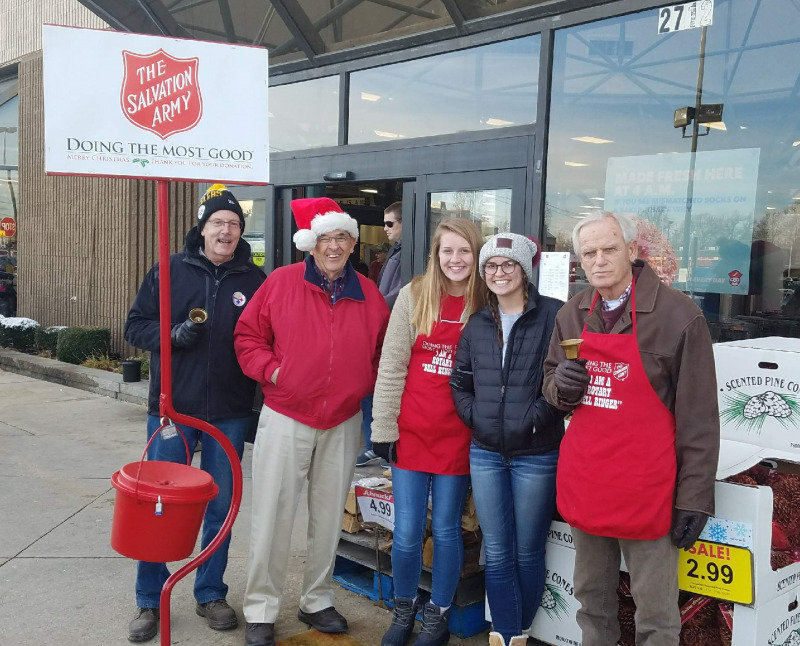 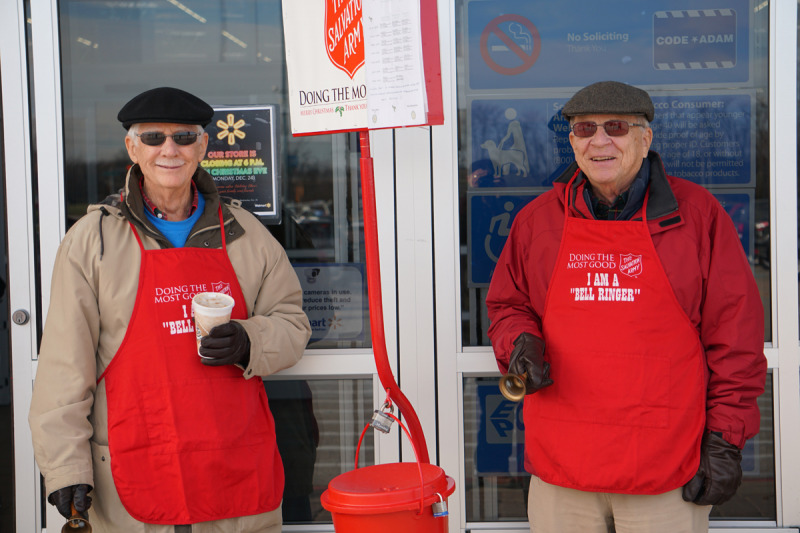 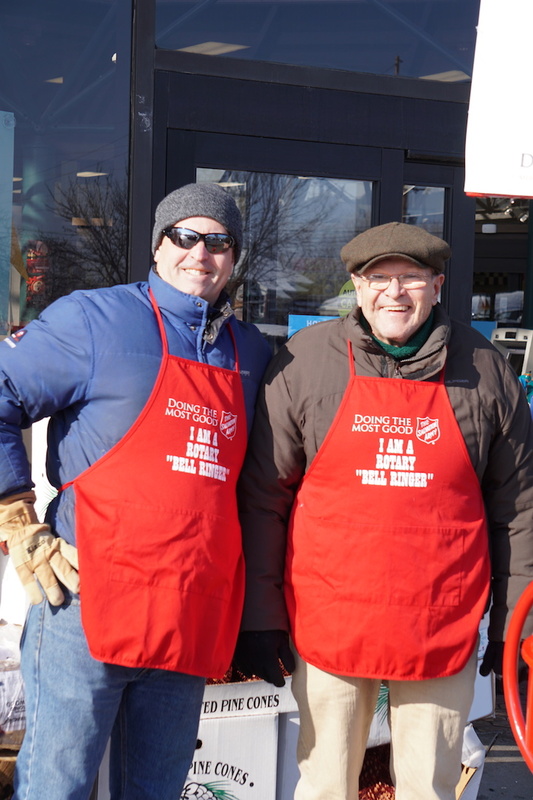 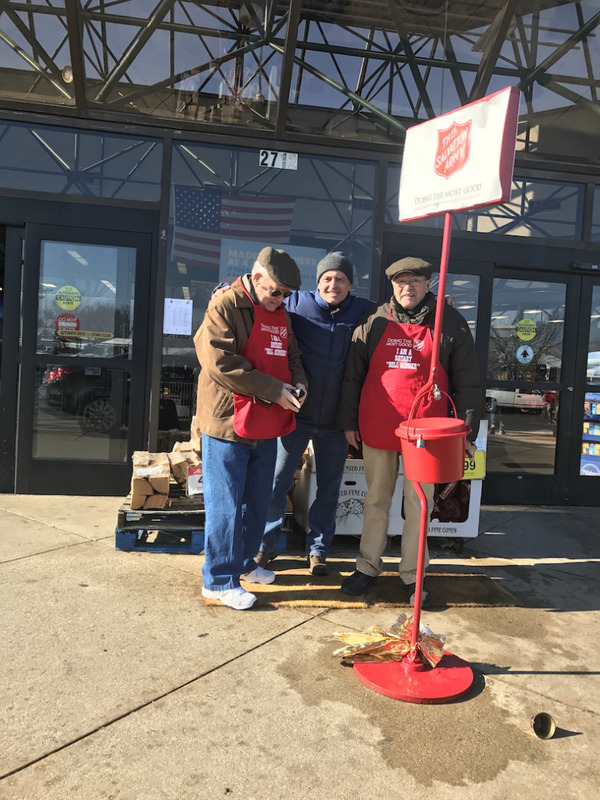 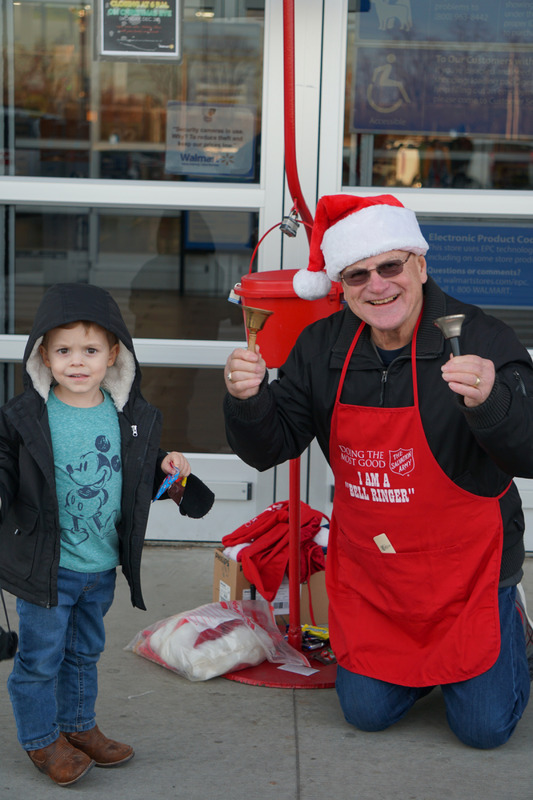 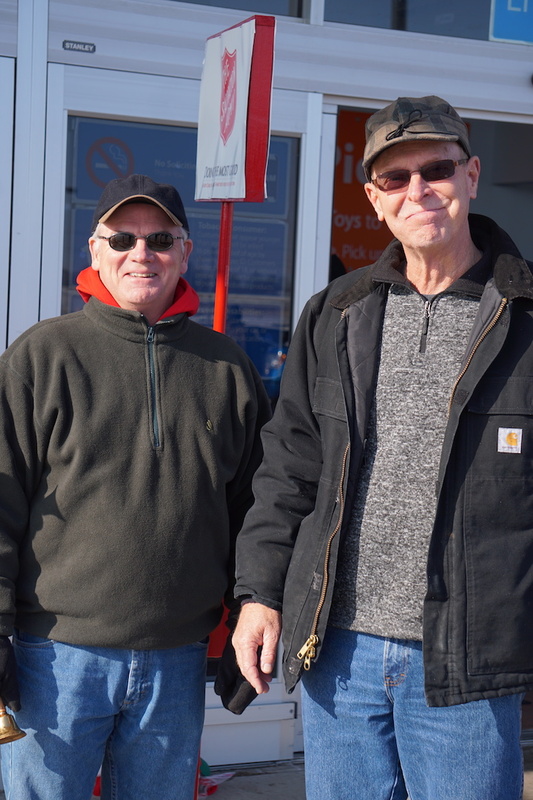 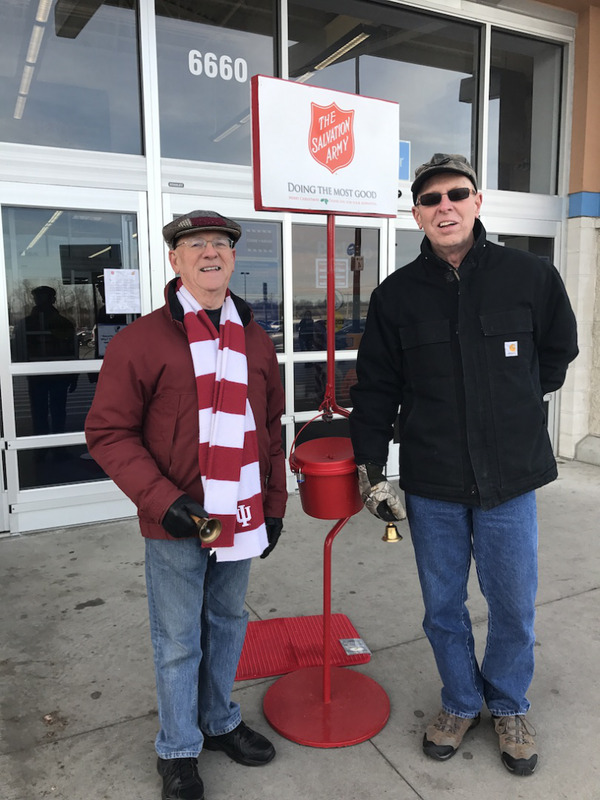 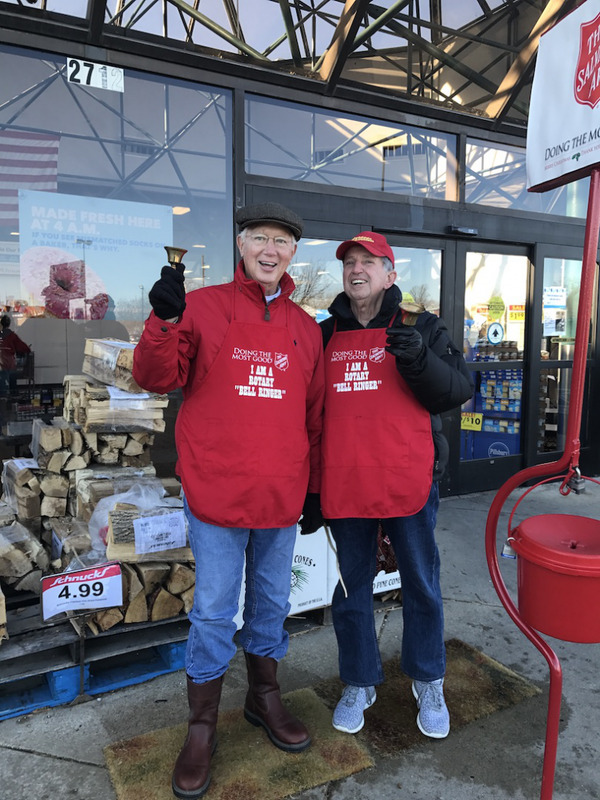 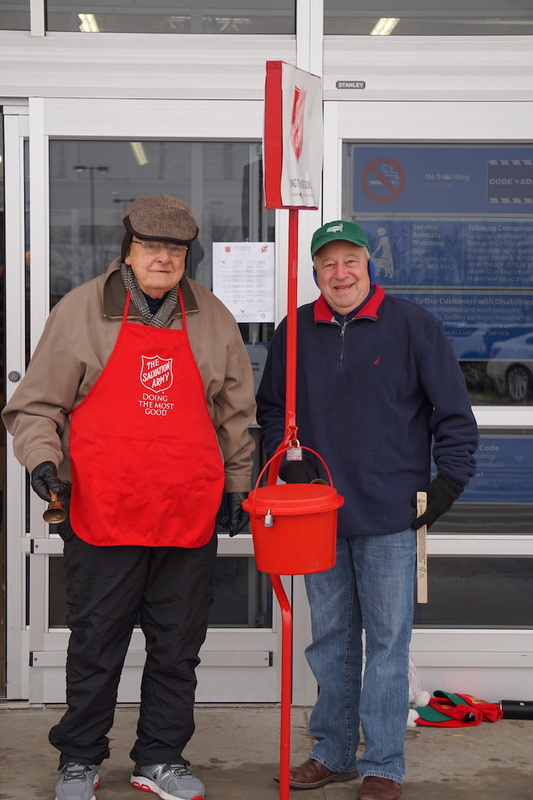 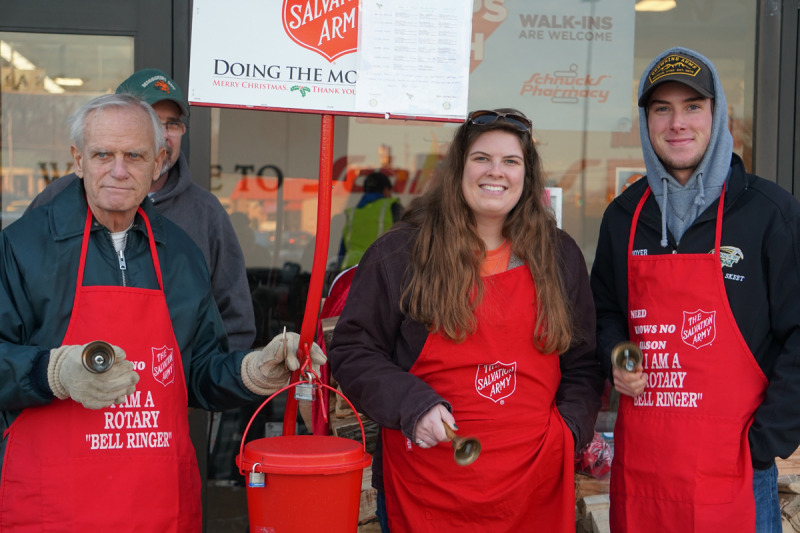 Club members ring bells at three locations in the community and traditionally the club brings in the largest daily donation for the Salvation Army Tree of Lights campaign. 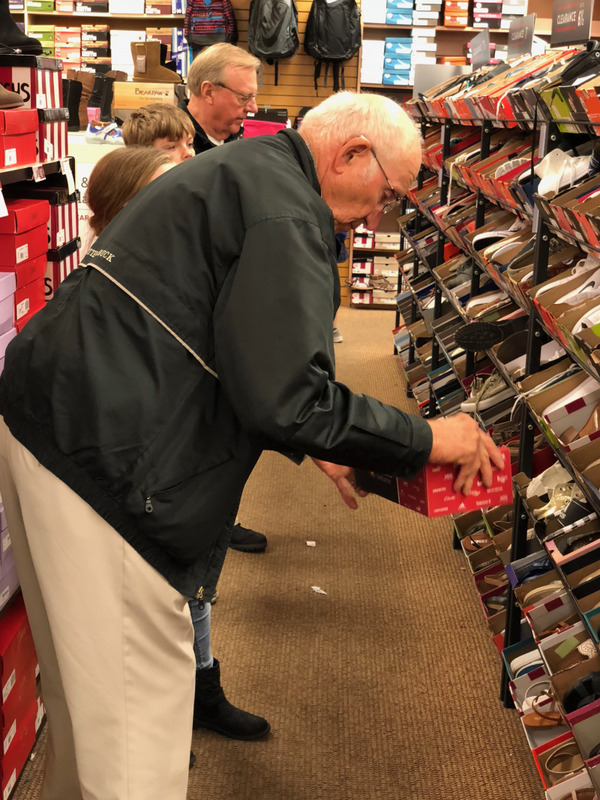 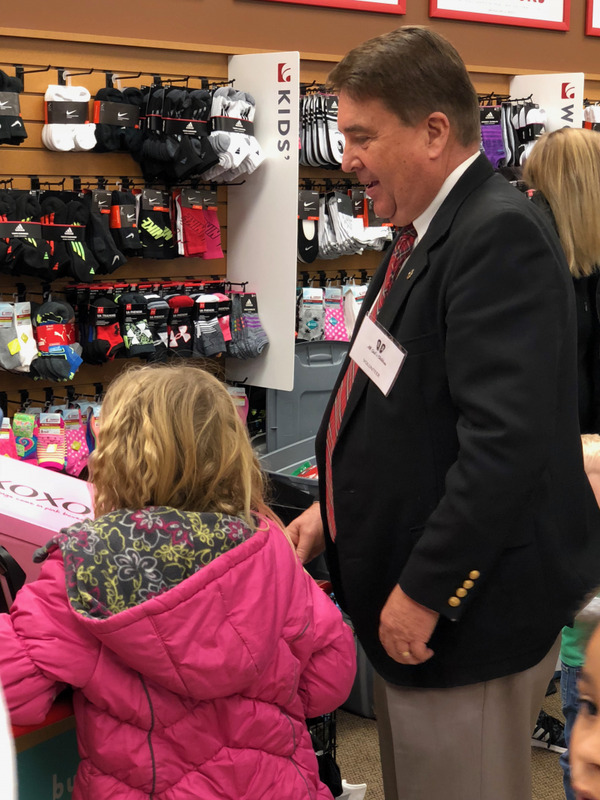 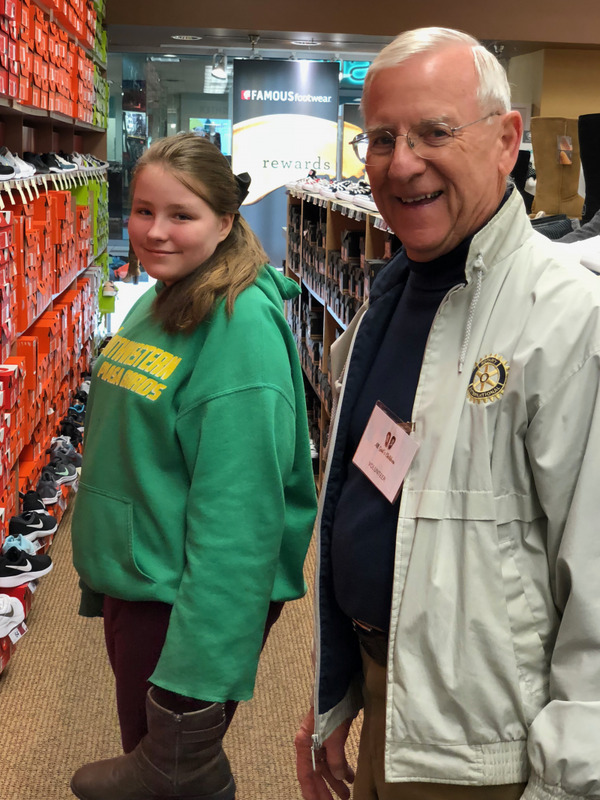 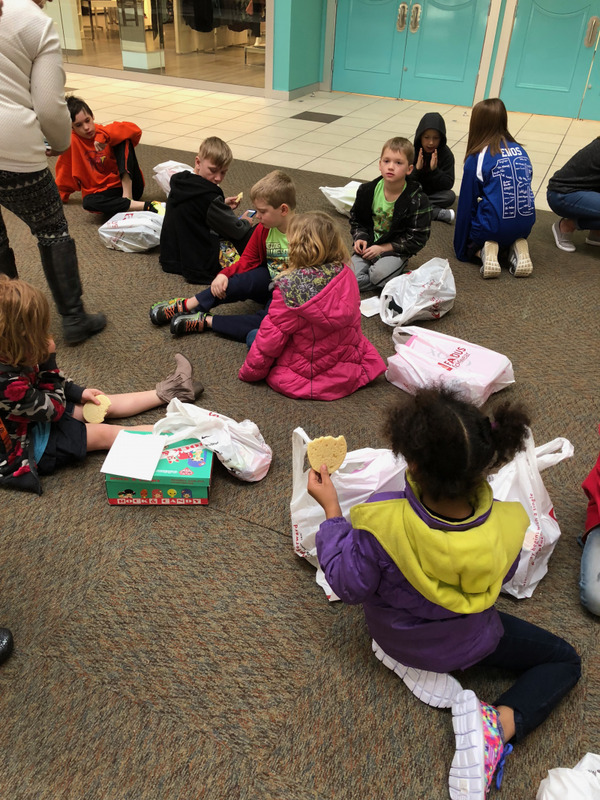 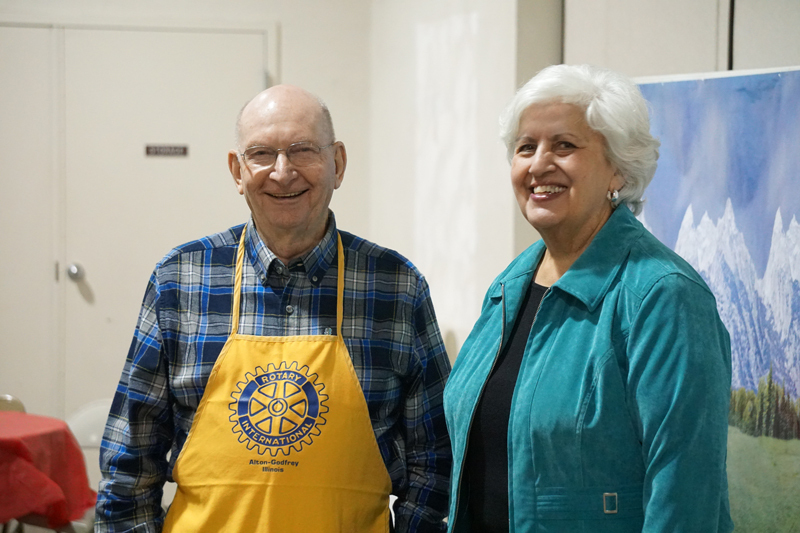 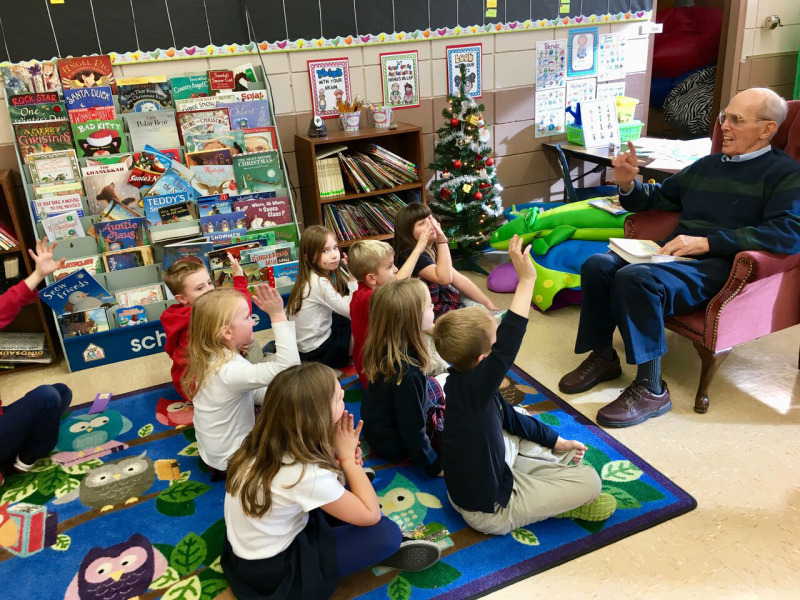 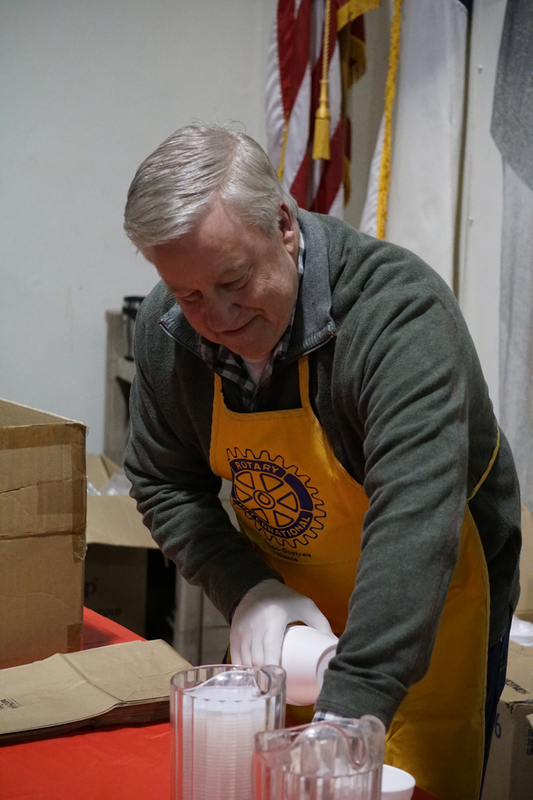 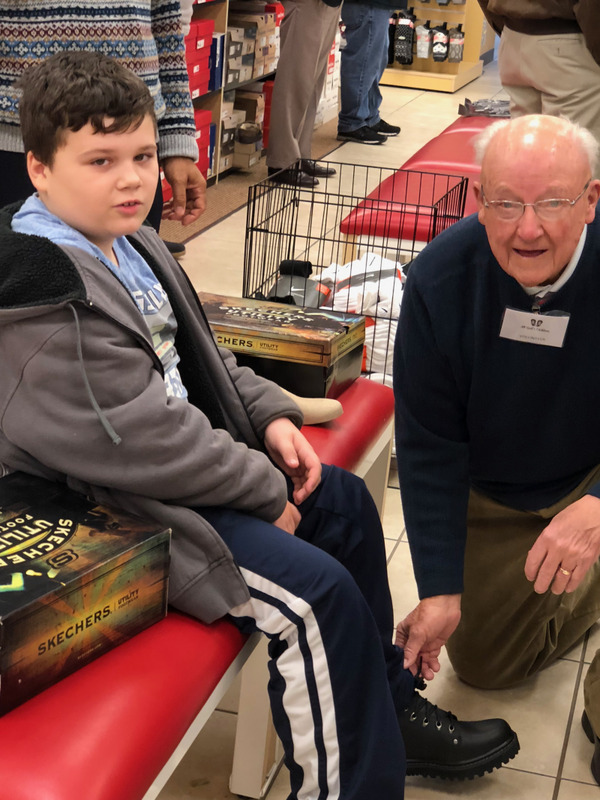 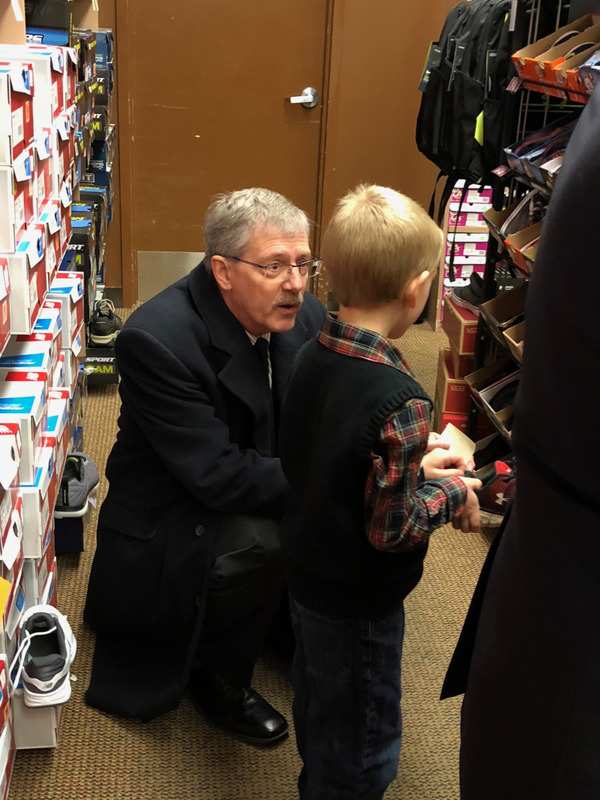 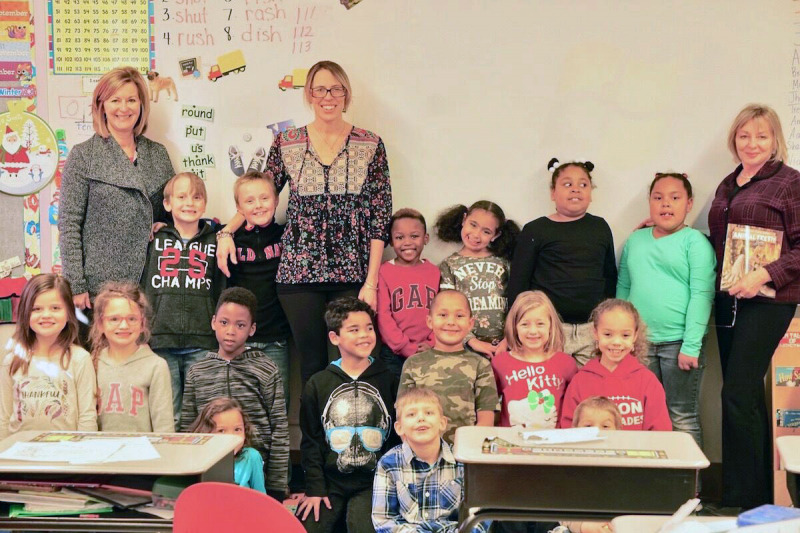 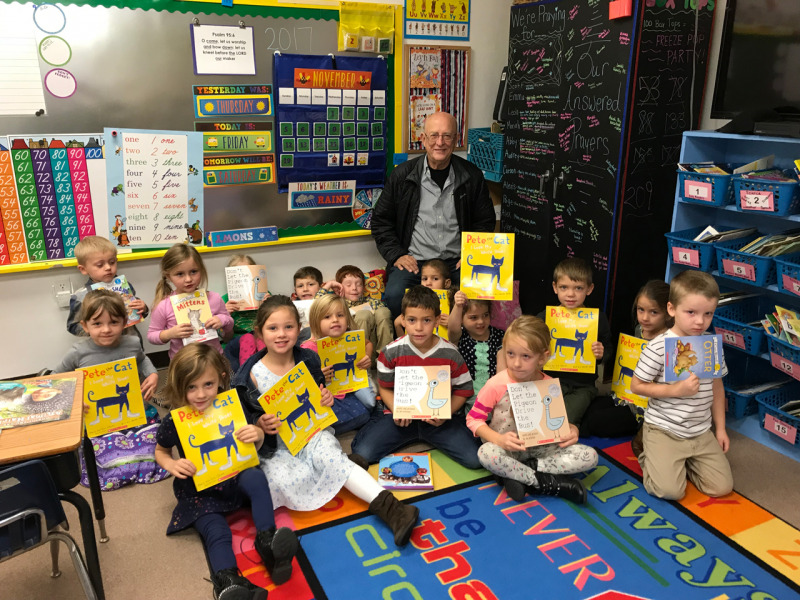 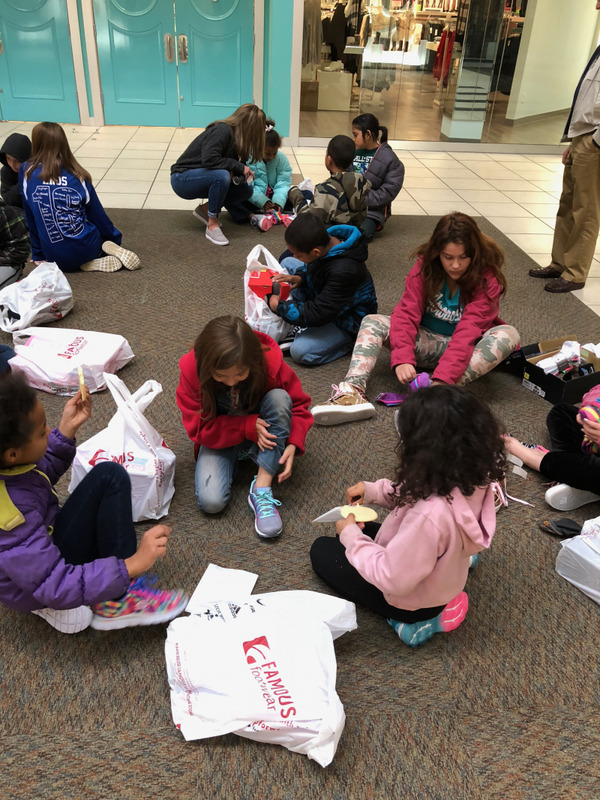 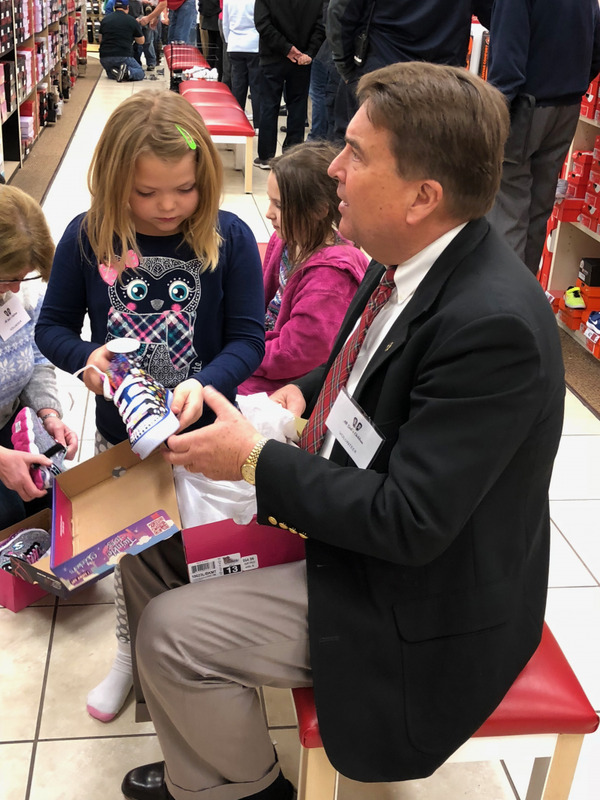 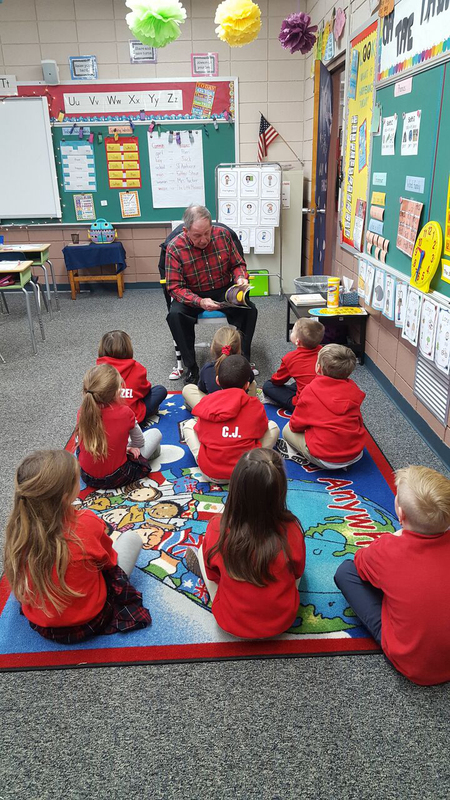 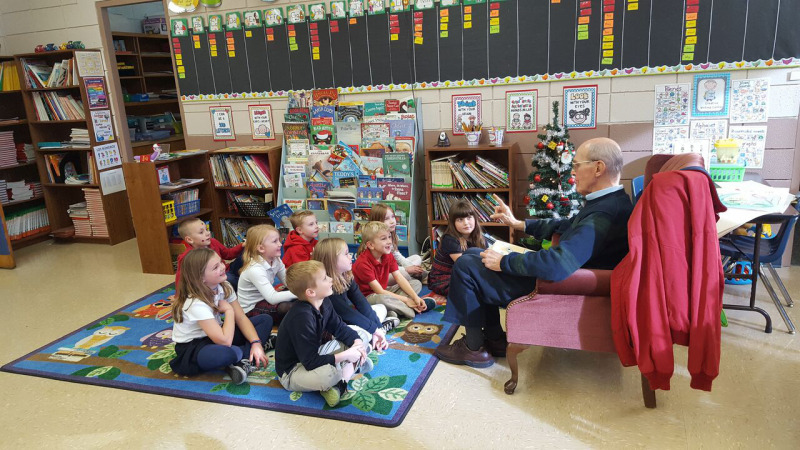 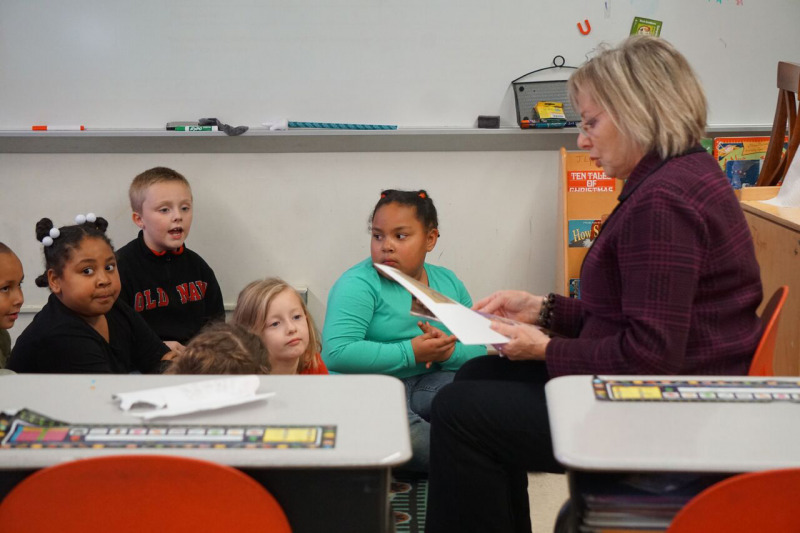 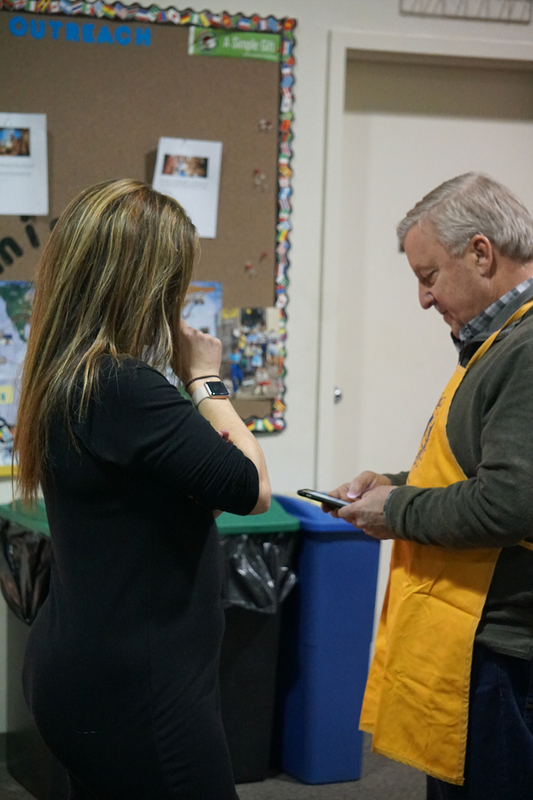 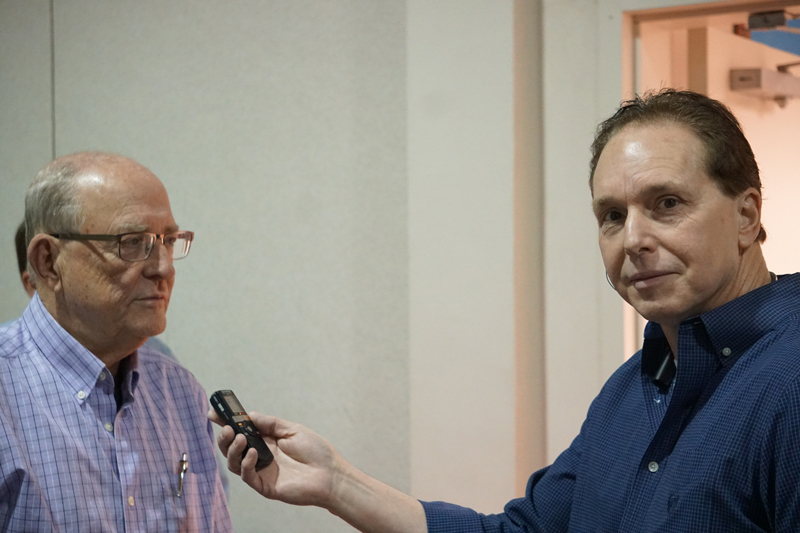 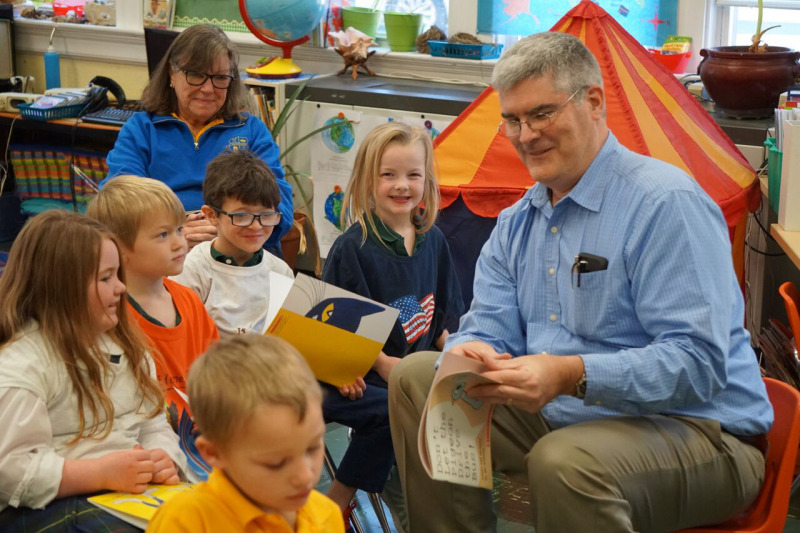 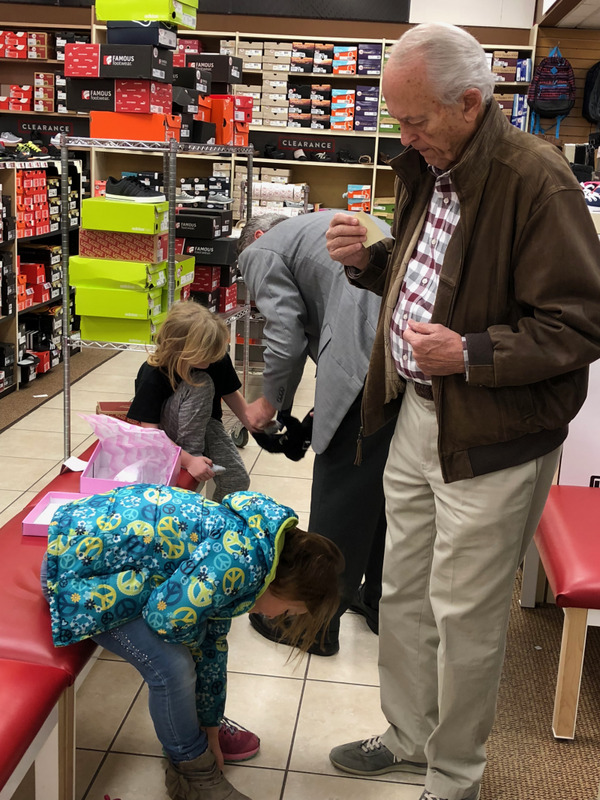 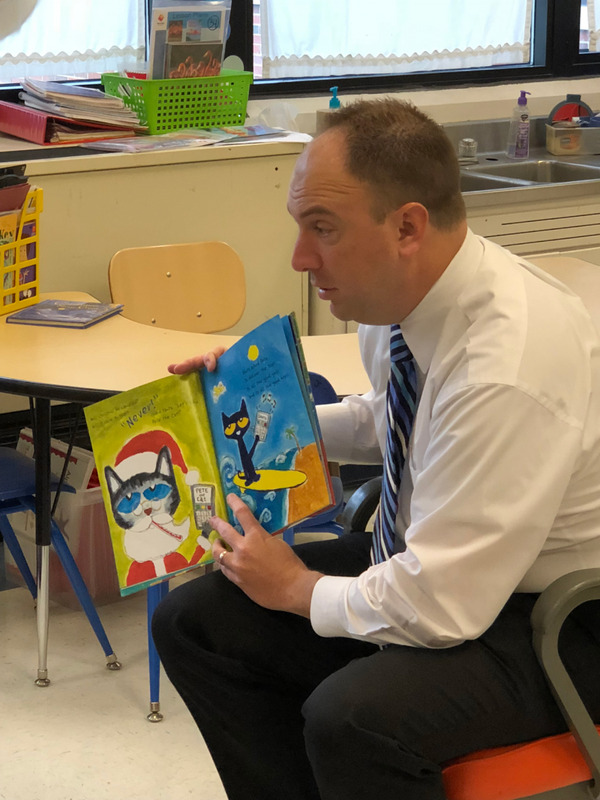 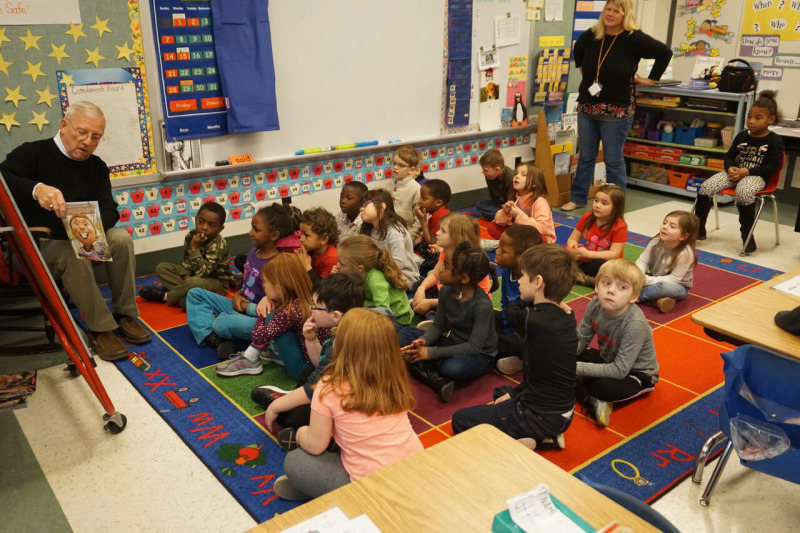 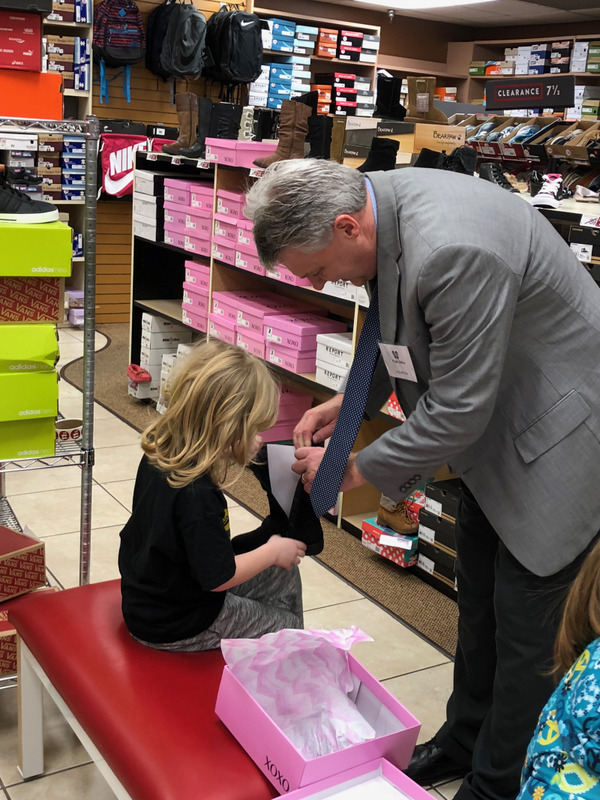 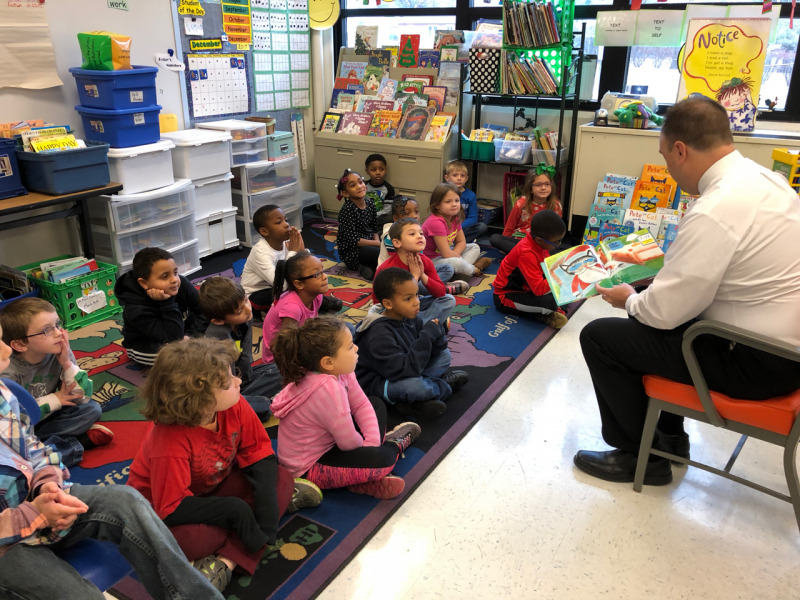 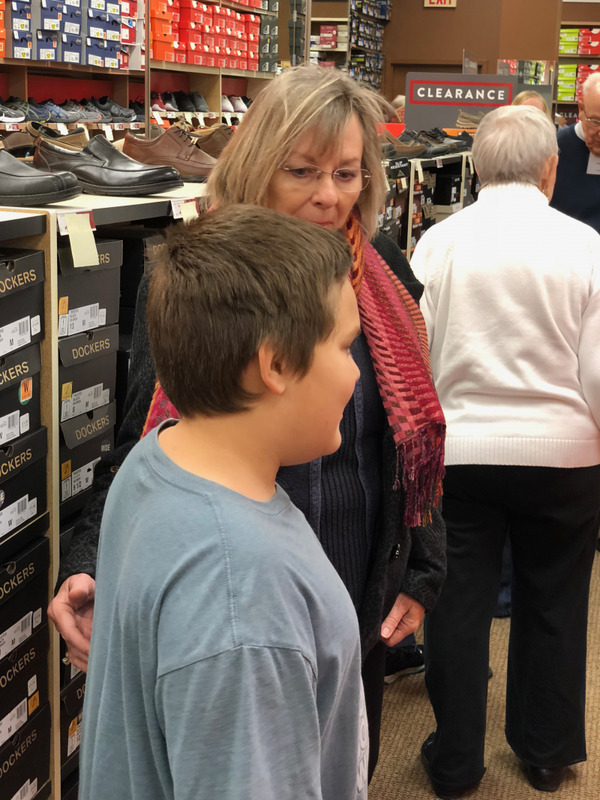 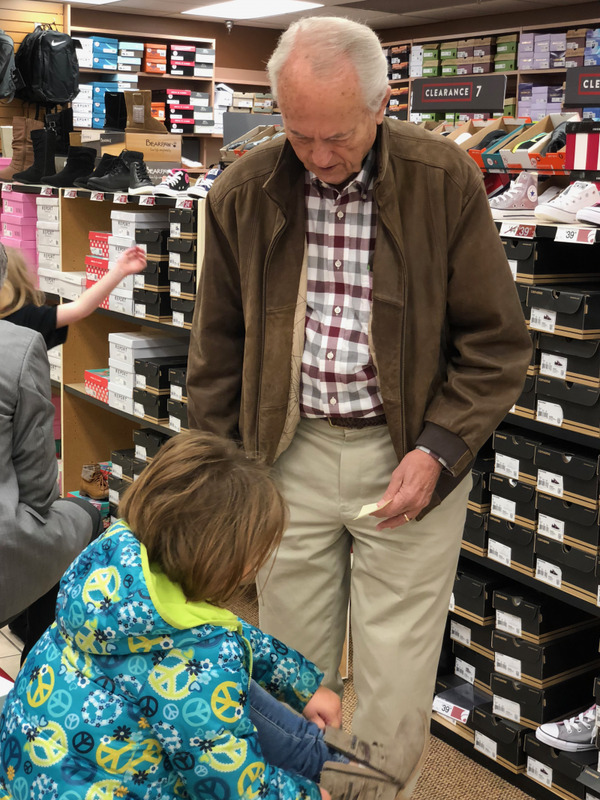 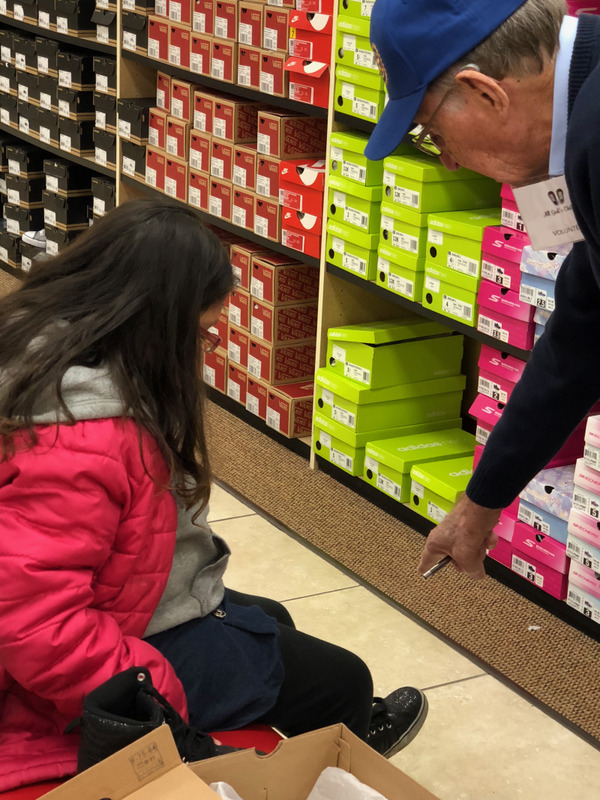 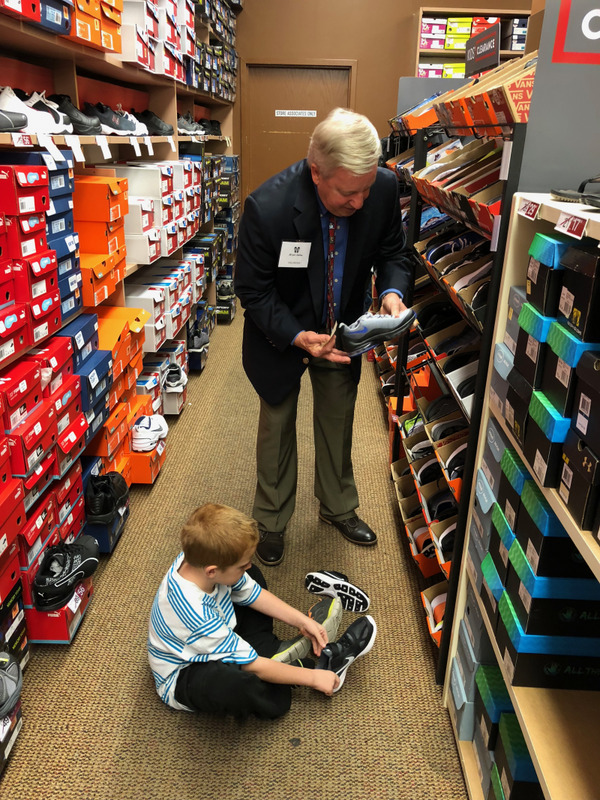 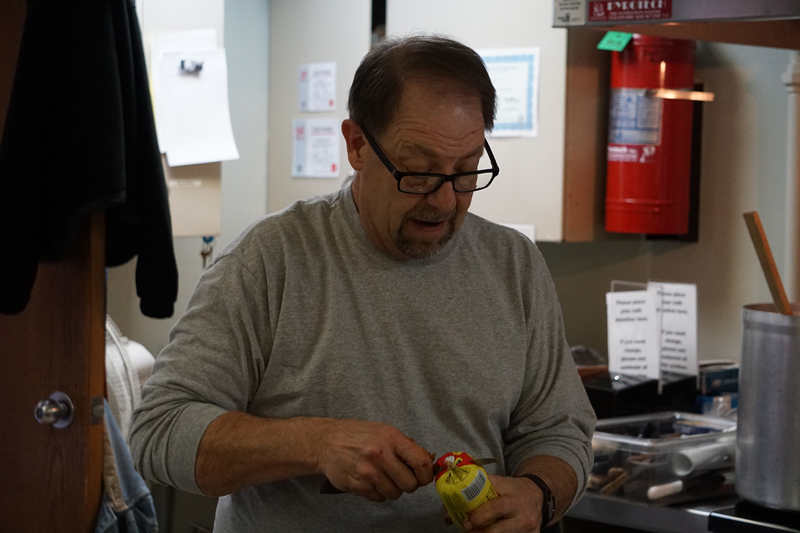 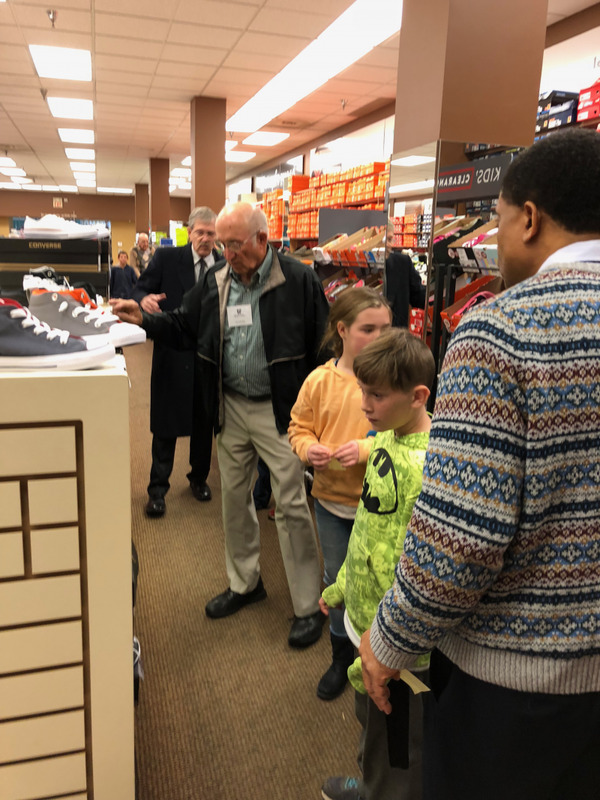 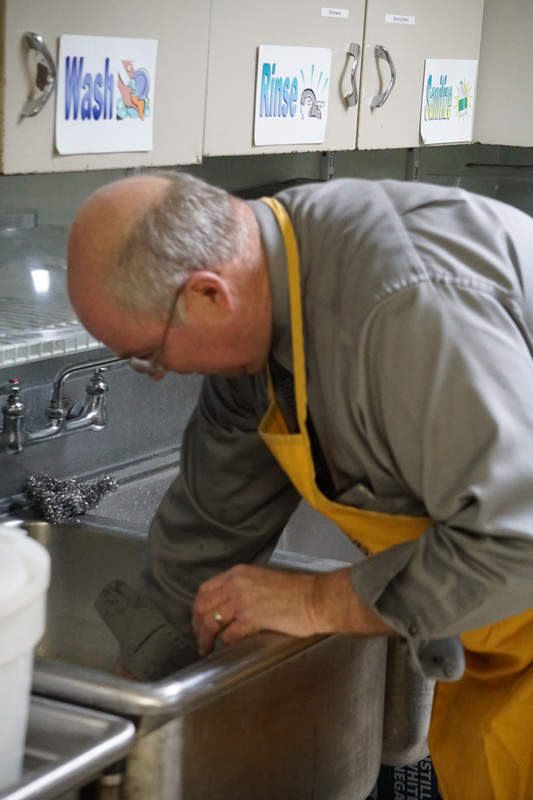 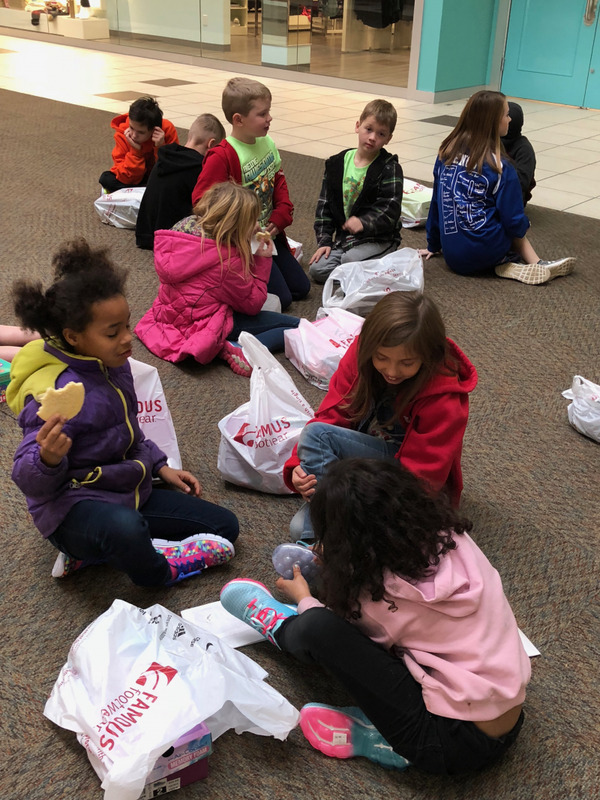 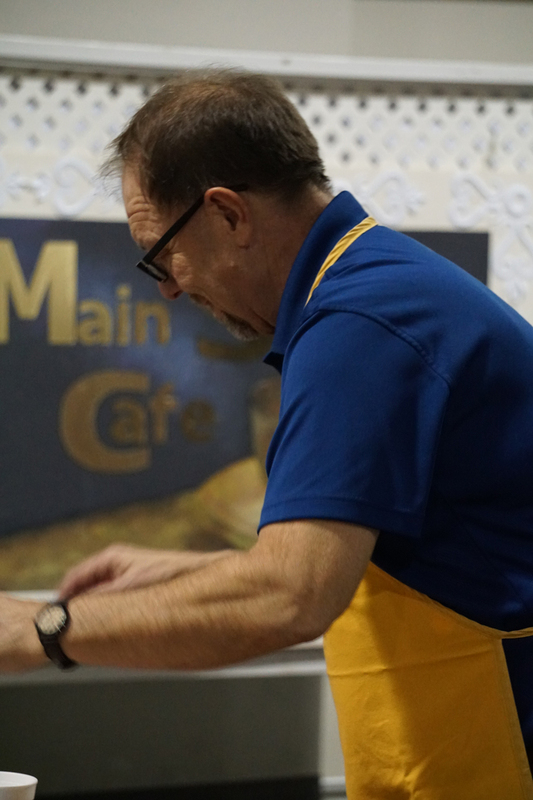 On December 5, several Rotarians and friends assisted school children from the Alton School District and the Southwestern School District in getting new shoes. 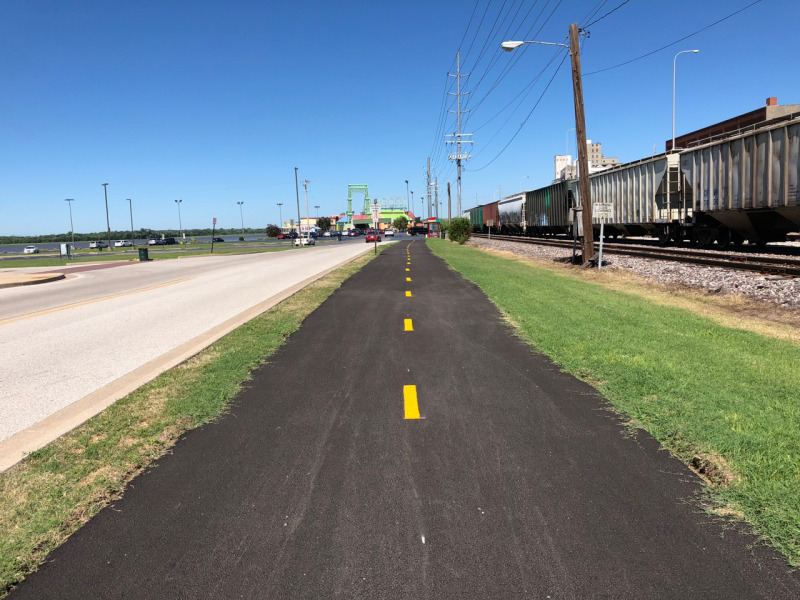 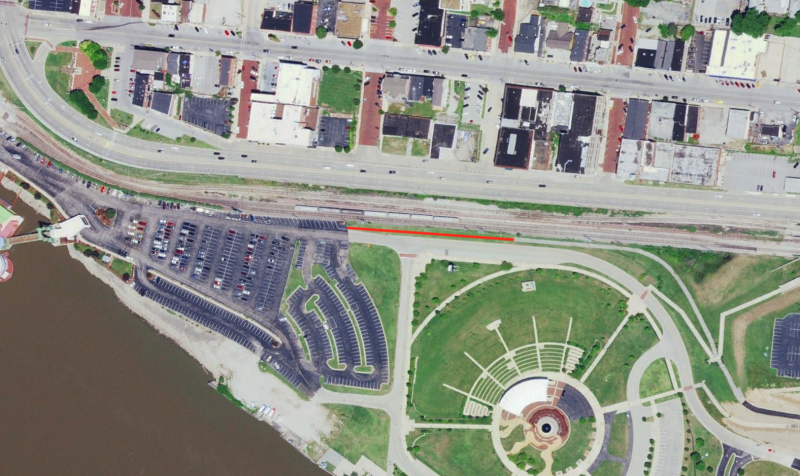 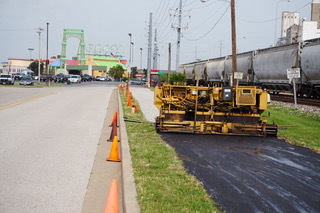 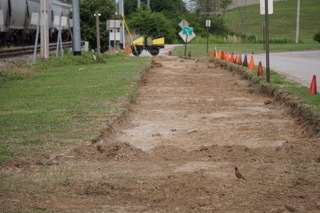 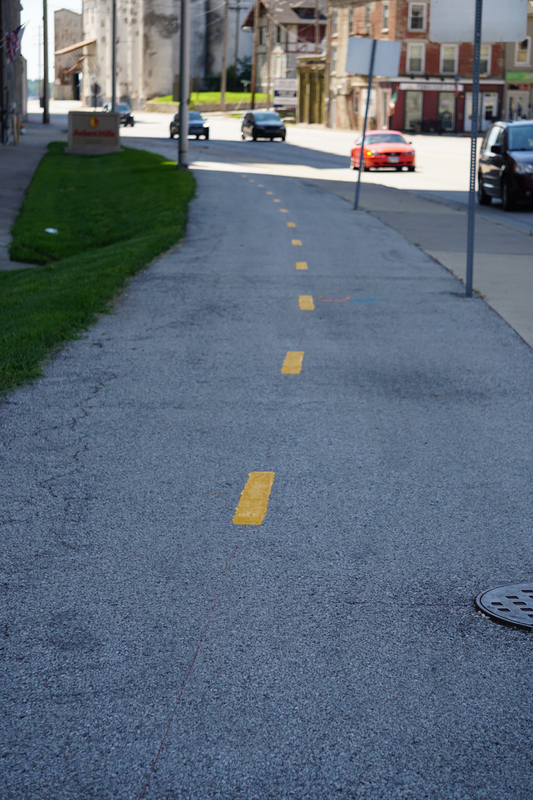 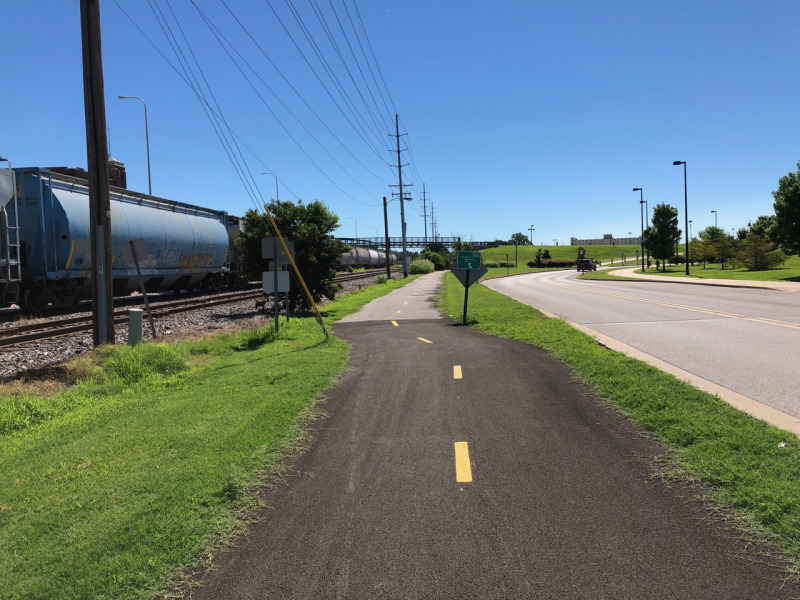 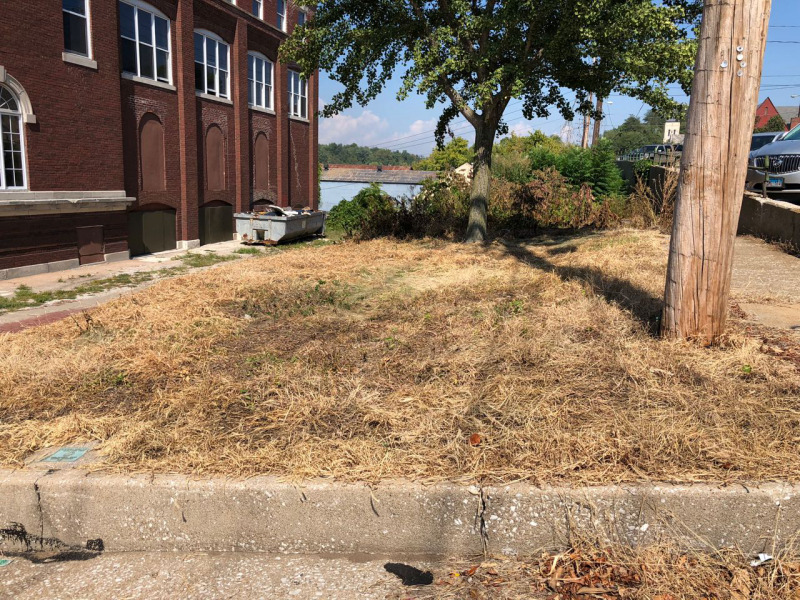 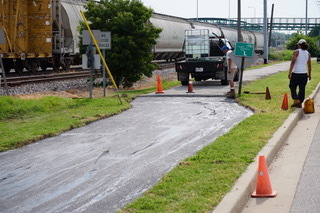 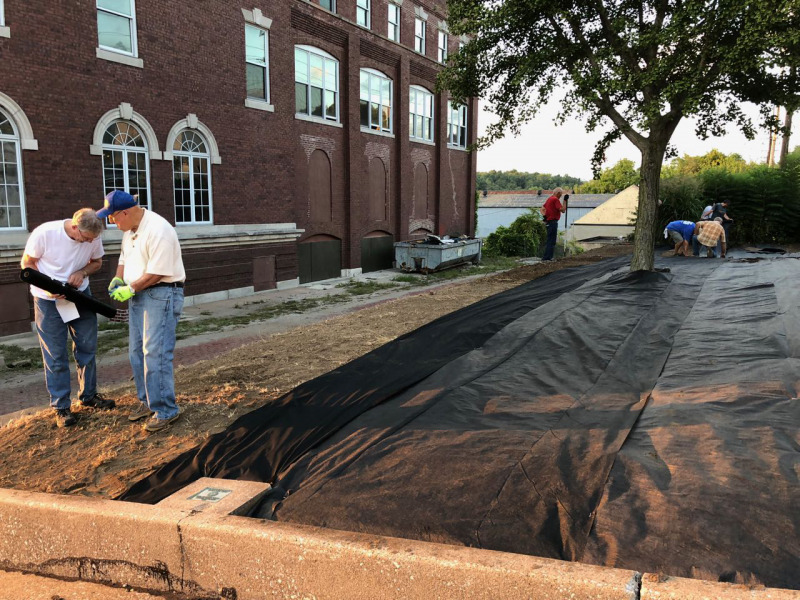 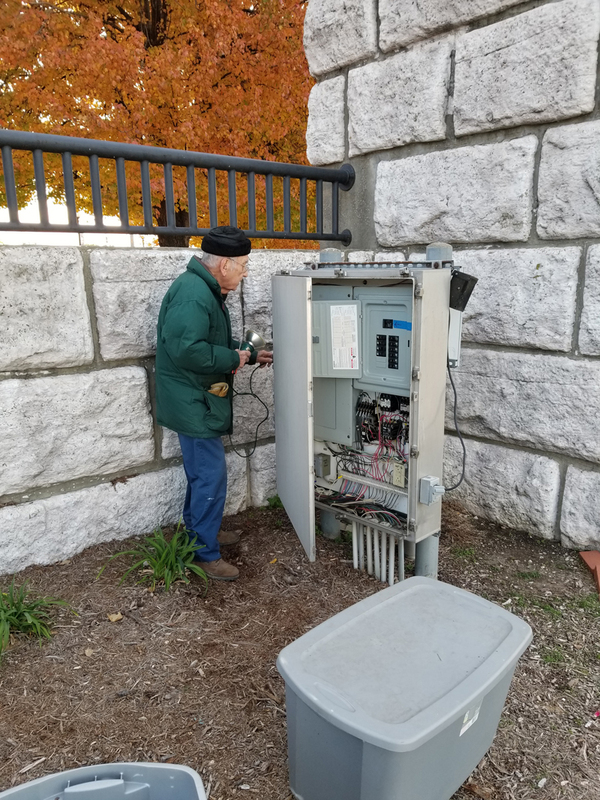 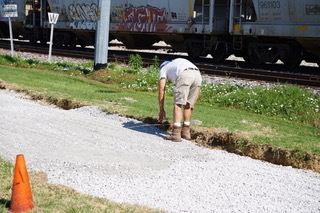 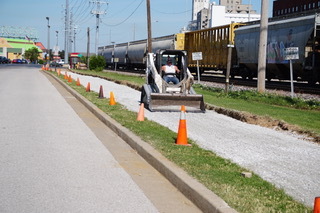 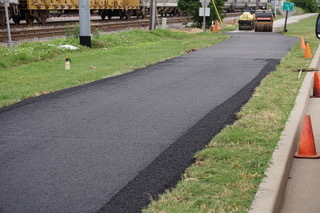 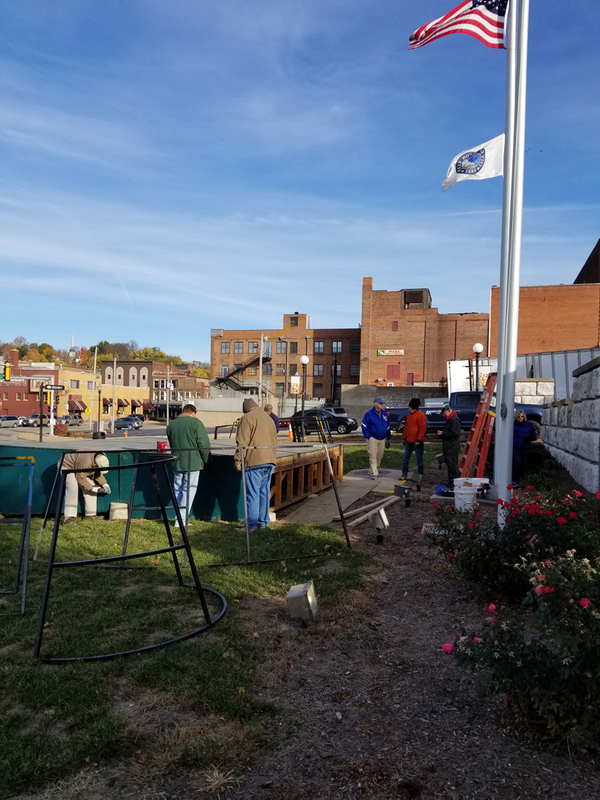 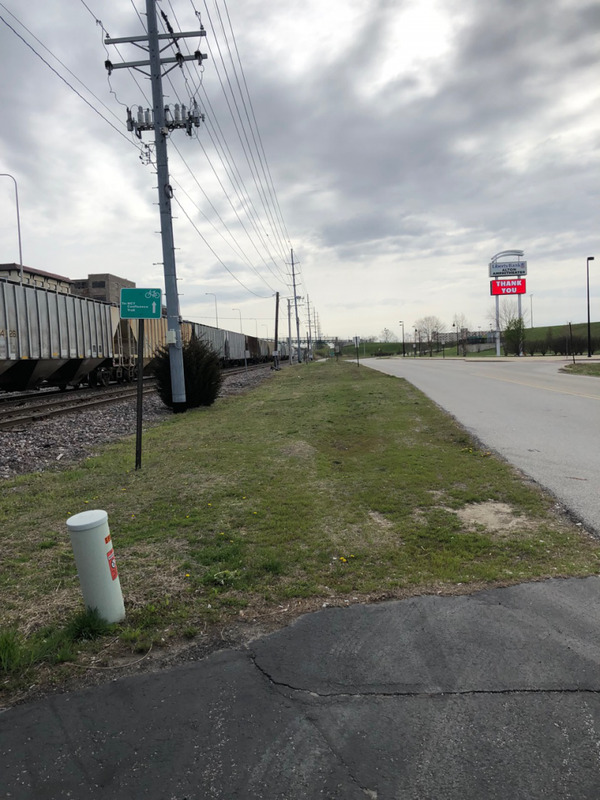 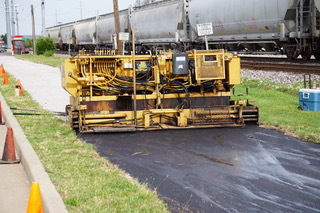 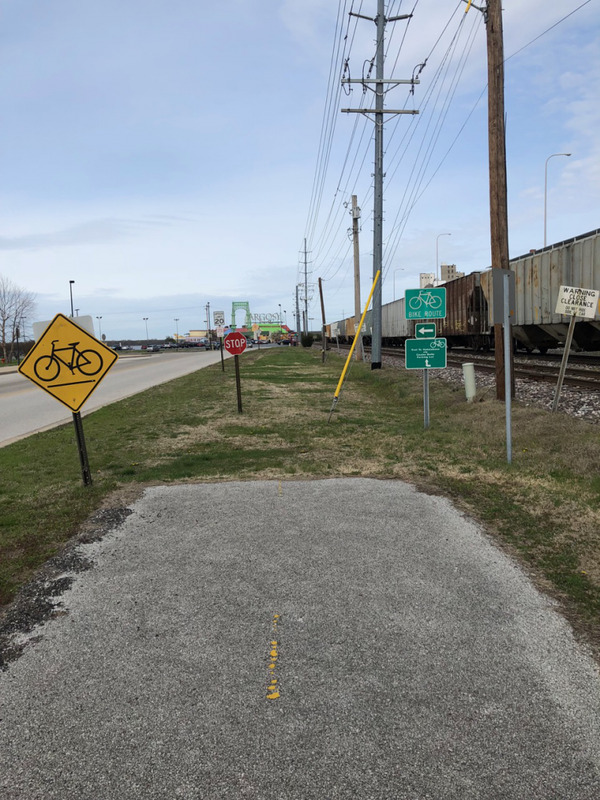 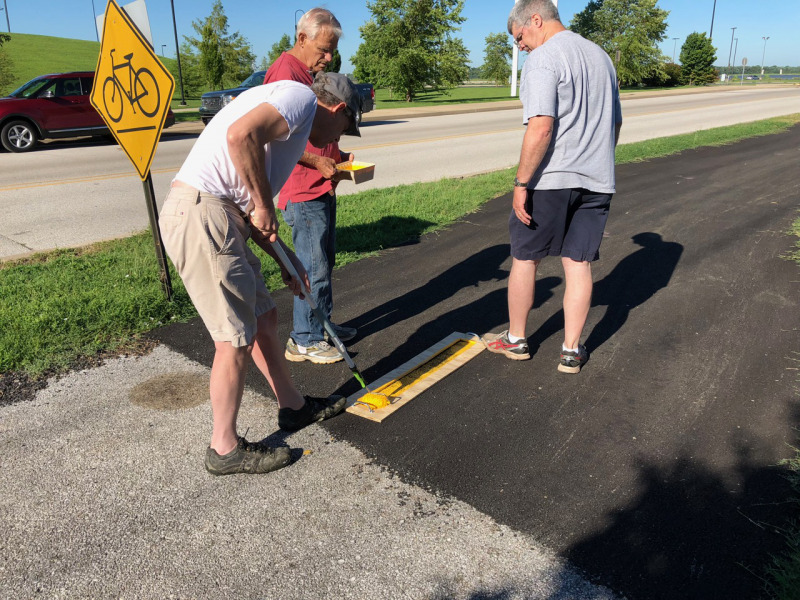 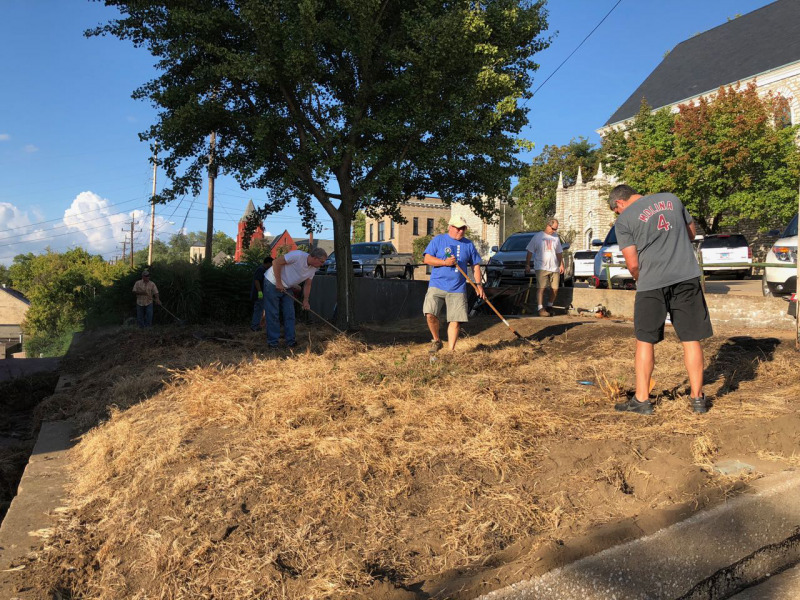 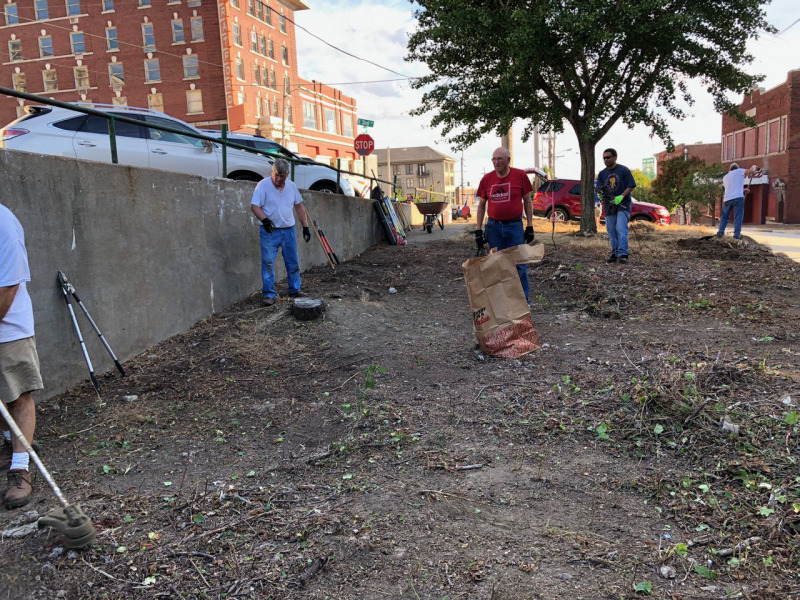 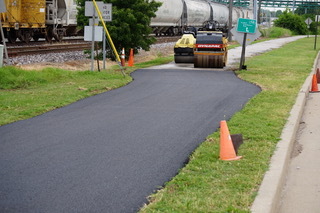 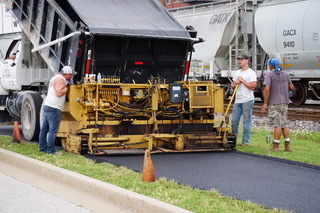 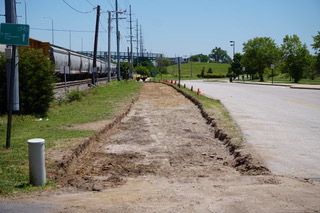 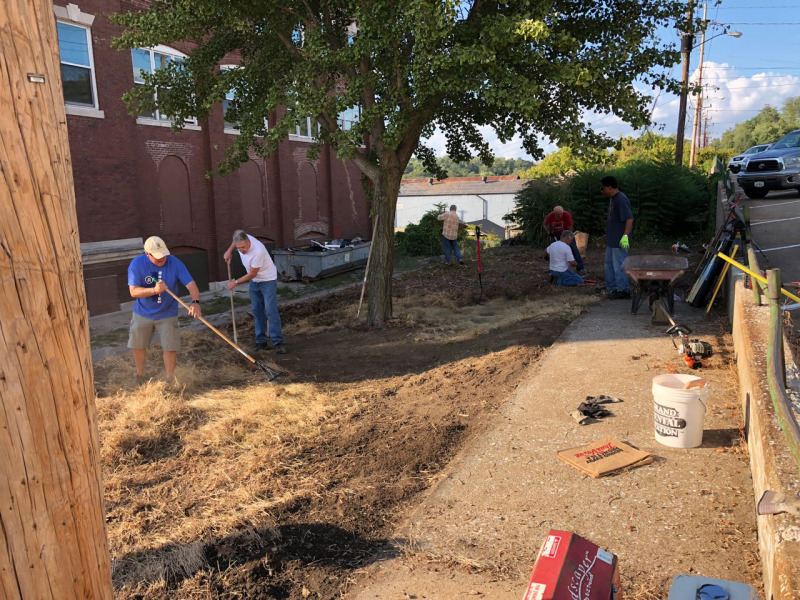 These photos show progress on the construction of the missing part of the connector bike trail through Riverfront Park in Alton, IL. 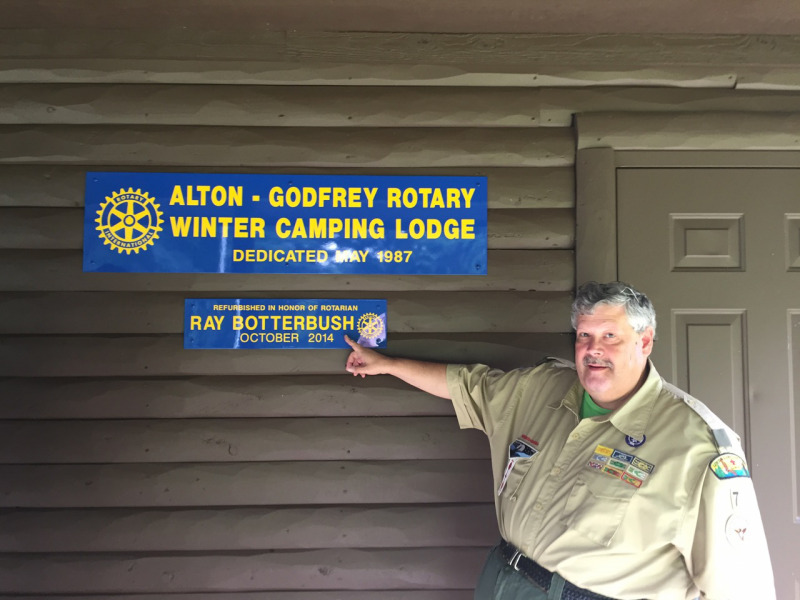 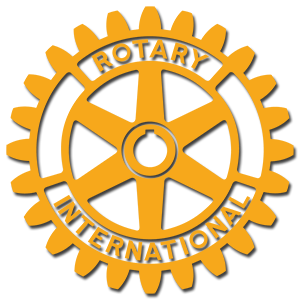 The Rotary Club of Alton Godfrey conducts this fund raiser each year to provide scholarships for our annual student of the year program. 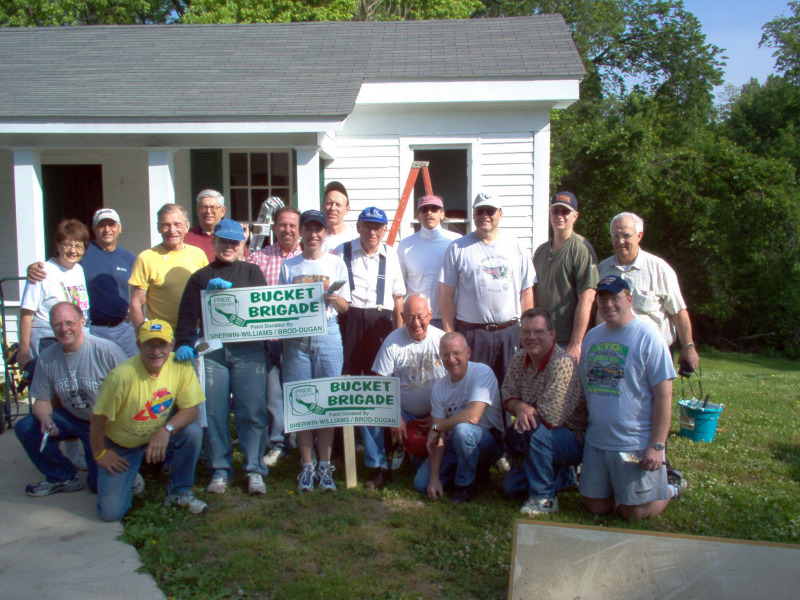 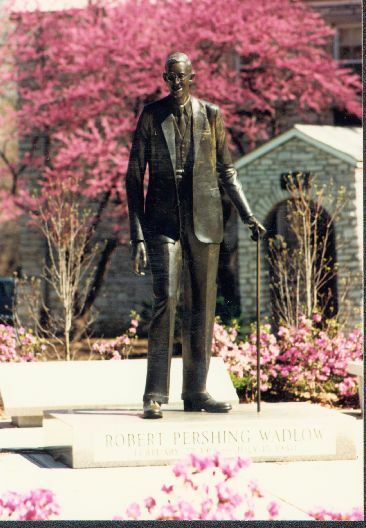 Each year the board of directors may choose special projects and use income from all of the club fund raisers to pay project expenses.